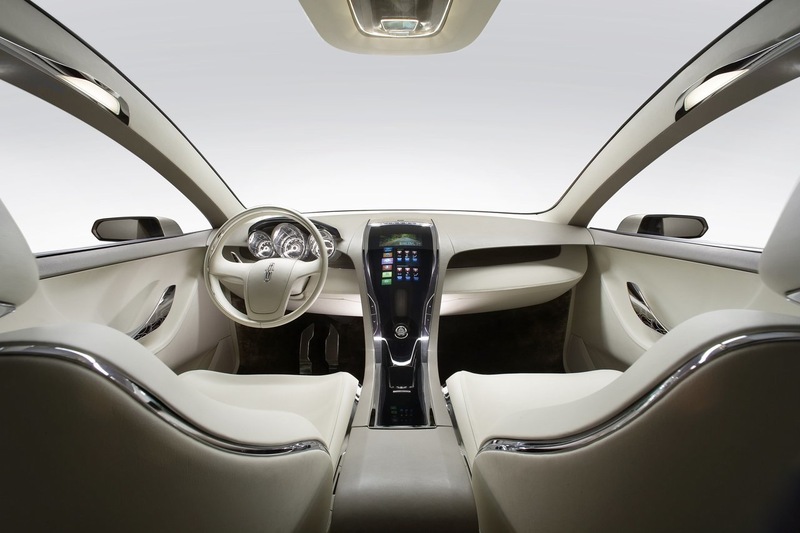 The Lincoln Motor Company (also known simply as Lincoln) is a division of the Ford Motor Company that sells luxury vehicles under the Lincoln brand. 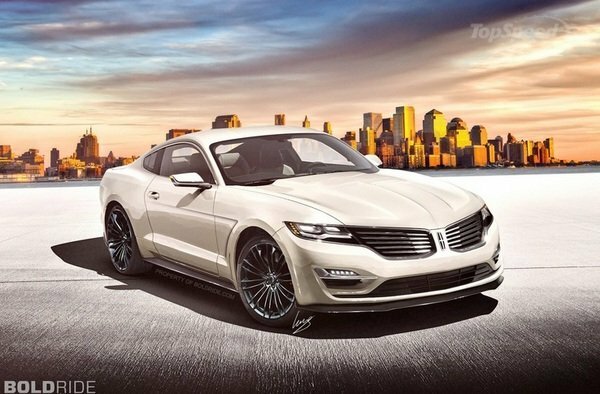 While currently sold primarily in North America and the Middle East, Ford will also be bringing the Lincoln brand to China by the end of 2014. 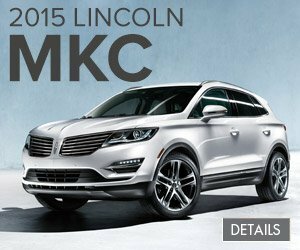 Founded in 1917 by Henry M. Leland, Lincoln has been a subsidiary of Ford since 1922. 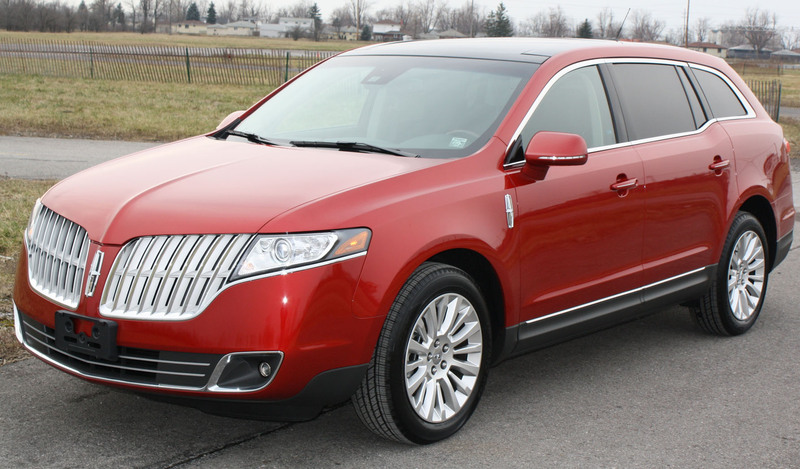 The current Lincoln model range in North America consists of two sedans (MKS and MKZ), three crossover utility vehicles (MKC, MKT and MKX), and two sport utility vehicles (Navigator/Navigator L). 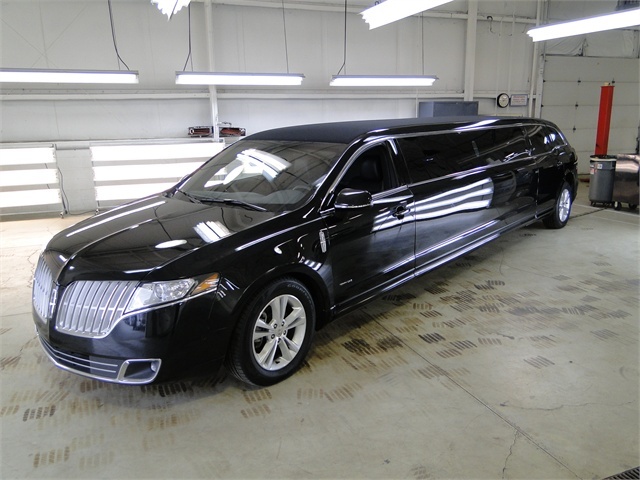 Lincoln also sells two vehicles specifically for limousine/livery use, both based on the MKT. In Mexico, Lincoln sells the Lincoln Mark LT pickup truck which is based on the Ford F-150. Athough since the introduction of the 2015 Ford F-150, no Lincoln variant has been announced. 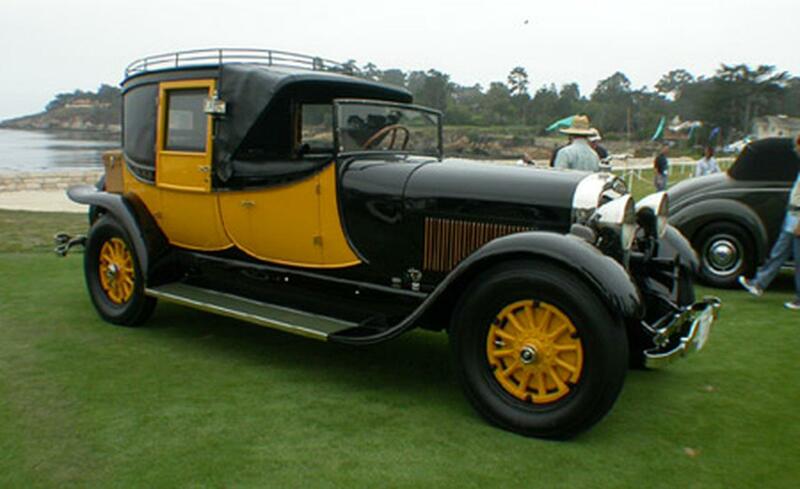 The company encountered severe financial troubles during the early 1920s, coupled with body styling that wasn’t comparable to other luxury makers. 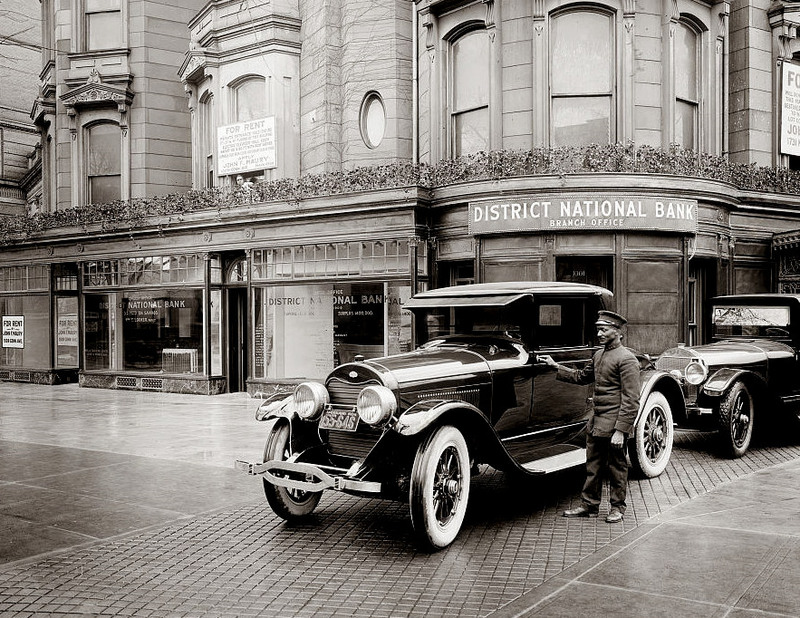 After having produced only 150 Lincoln L-series cars in 1922, Lincoln Motor Company was forced into bankruptcy and sold for US$8,000,000 to the Ford Motor Company on February 4, 1922; some of the proceeds of the sale went to pay off its creditors. 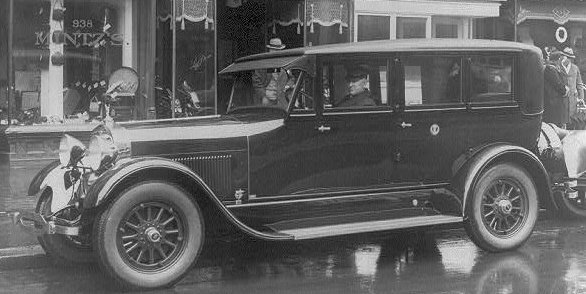 The purchase of Lincoln was a personal triumph for Henry Ford, who had been forced out of his second company (after Detroit Automobile Company) by a group of investors led by Leland. 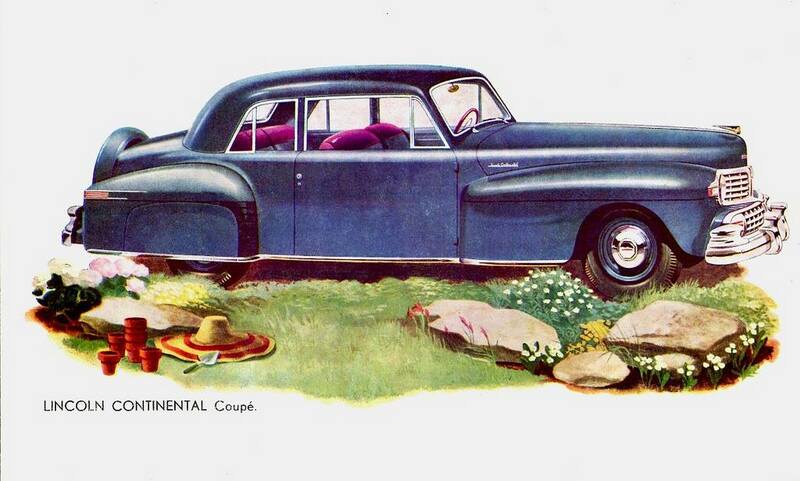 :52–57 Leland’s company, renamed Cadillac in 1902 and purchased by rival General Motors in 1909, was Lincoln’s chief competitor. 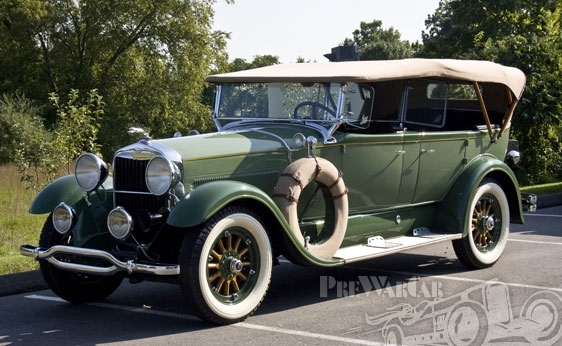 Henry Ford had previously produced luxury vehicles under the Ford nameplate, called the Ford Model B in 1904, the Ford Model F in 1905, and the Ford Model K in 1906 but they weren’t accepted by the automotive buying market. 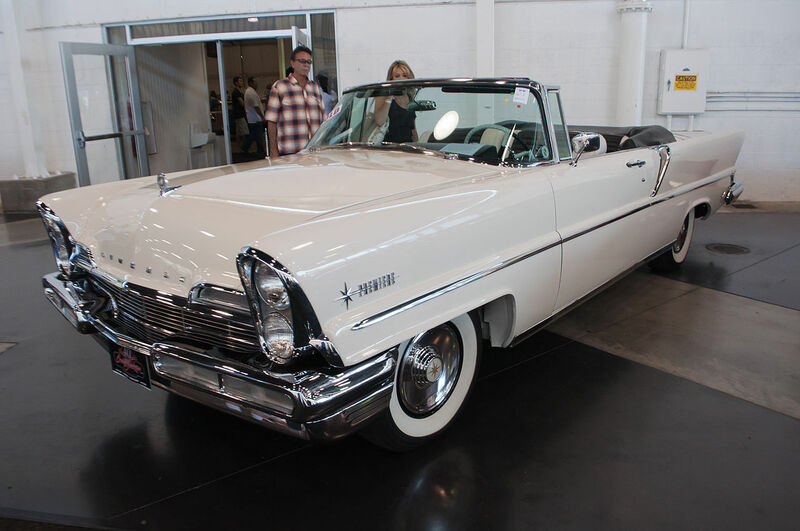 When Ford acquired Lincoln, it quickly became one of America’s top selling luxury brands alongside Cadillac, Pierce-Arrow, Marmon, Peerless, Duesenberg, and Packard. 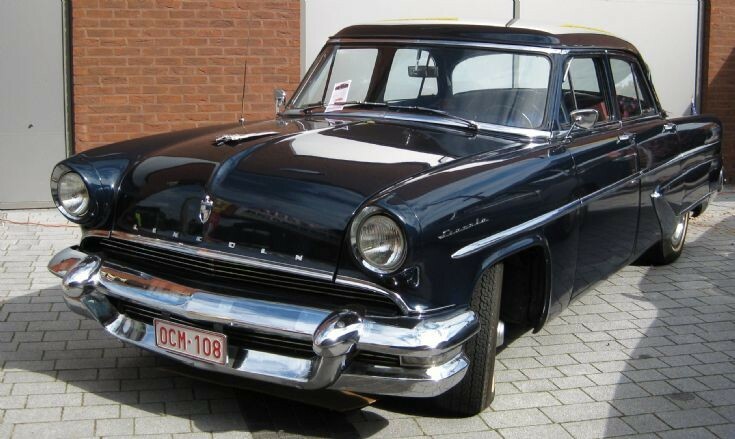 Ford made no immediate change, either in the chassis or the V8 L-head engine which was rated 36.4 SAE and produced 90 bhp (67 kW; 91 PS) at 2,800 rpm. An unusual feature of this power unit was the 60 degree separation of the cylinder blocks that helped to cut down on synchronous vibration found with similar engines with 90 degree separation produced at the time. 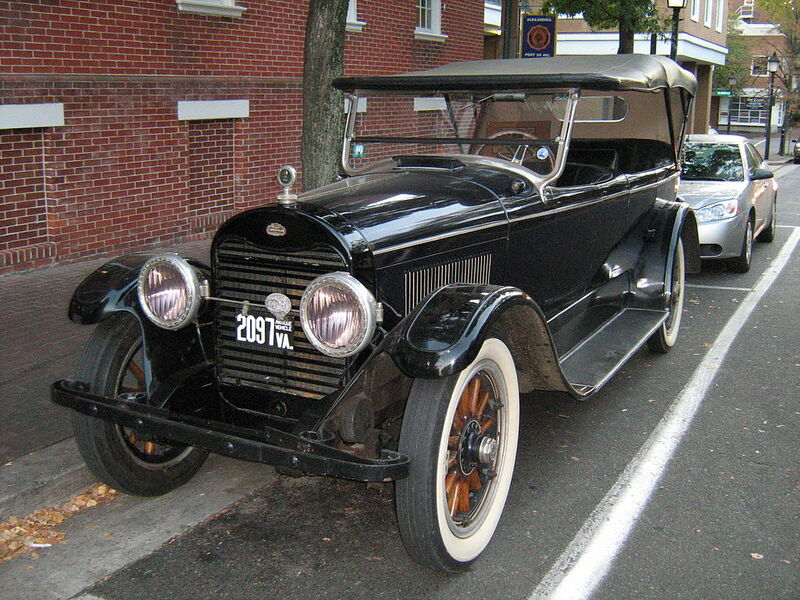 After the Ford takeover, bodywork changes and reduced prices increased sales to 5,512 vehicles from March to December 1922. 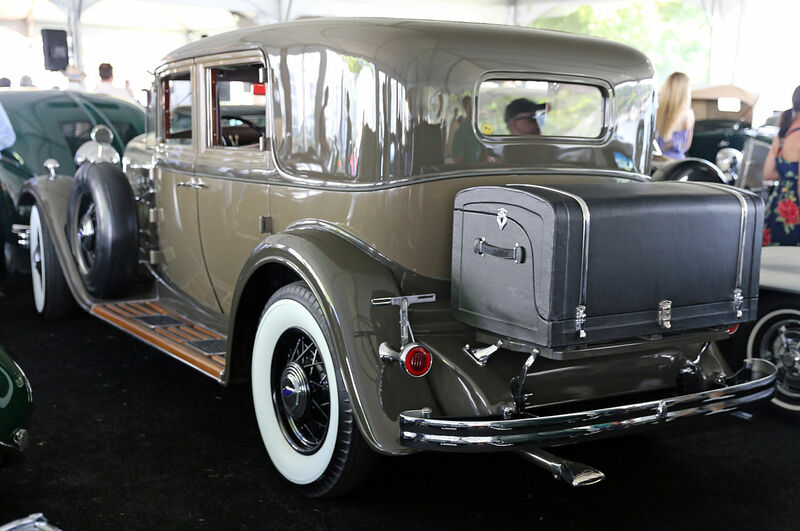 At the direction of Henry’s son Edsel, in 1923 several body styles were introduced, that included two- and three-window, four-door sedans and a phaeton that accommodated four passengers. 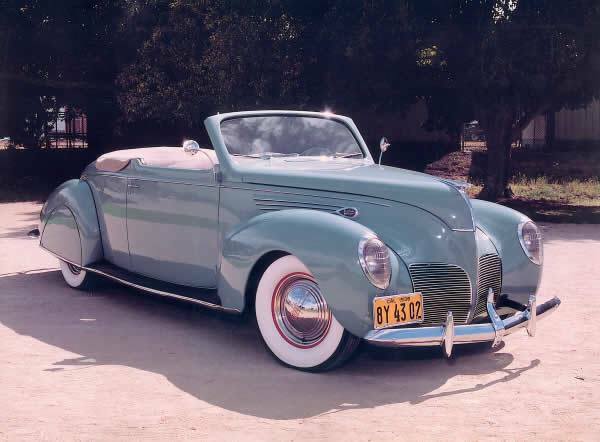 They also offered a two-passenger roadster and a seven-passenger touring sedan and limousine, which was sold for $5,200. 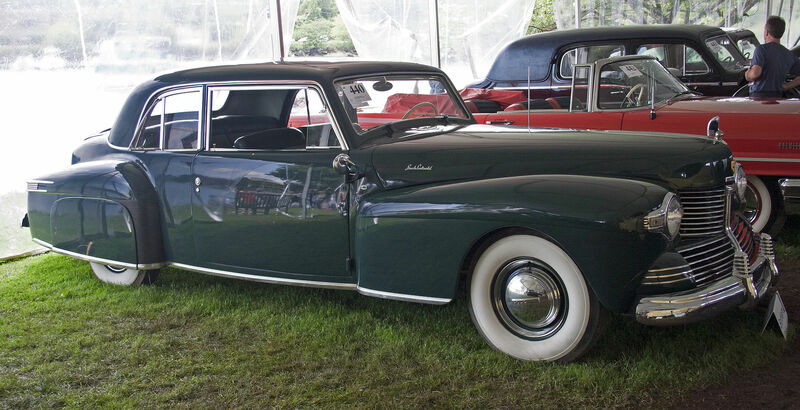 A sedan, limo, cabriolet and town car were also offered by coachbuilders Fleetwood, Derham and Dietrich, and a second cabriolet was offered by coachbuilder Brunn. 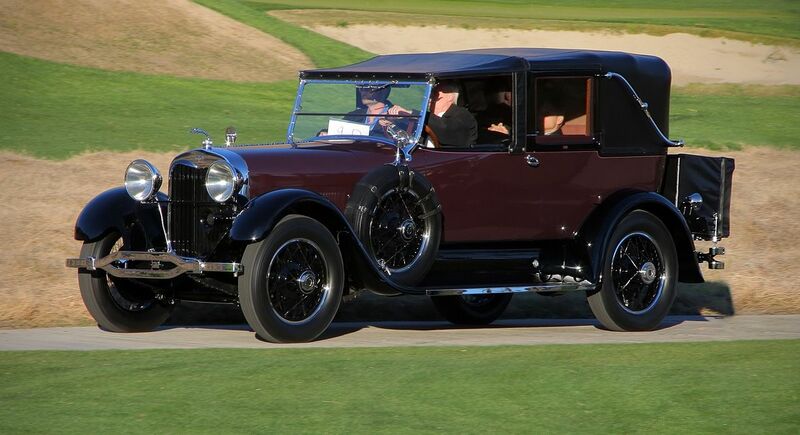 Lincoln contracted with dozens of coachbuilders during the 1920s and early 30s to create multiple custom built vehicles, to include American, Anderson, Babcock, Holbrook, Judkins, Lang, LeBaron, Locke, Murray, Towson, and Willoughby in the 1920s. Murphy, Rollston, and Waterhouse were added in the 1930s. 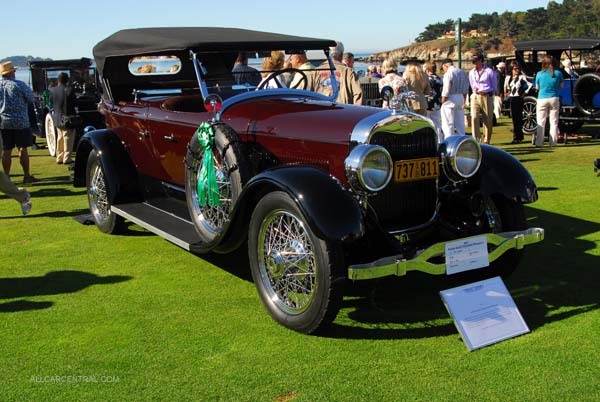 In 1932, Lincoln introduced the V12-powered KB platform alongside the V8 powered KA platform with an all new streamlined appearance. 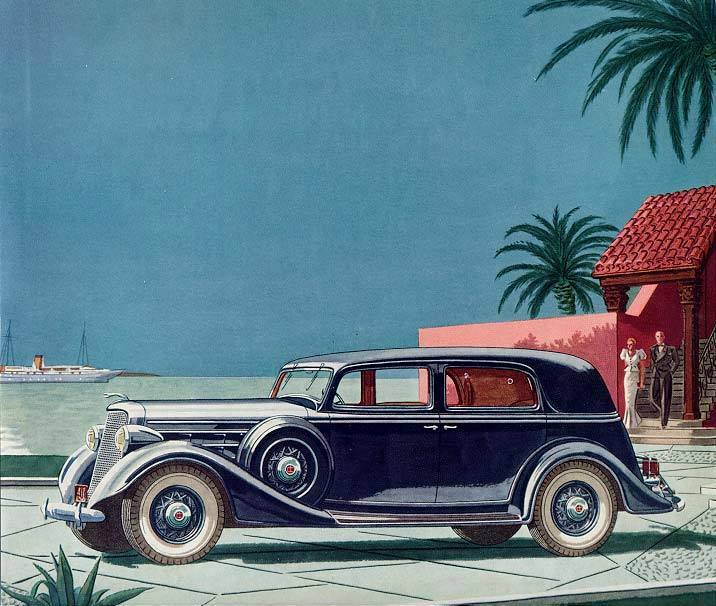 In 1933, Eugene T. “Bob” Gregorie, at the styling studio created by Edsel Ford, began designing the smaller Lincoln-Zephyr,:130 which led to the first Continental, a bespoke one-off specially created for Edsel Ford, Henry’s son. 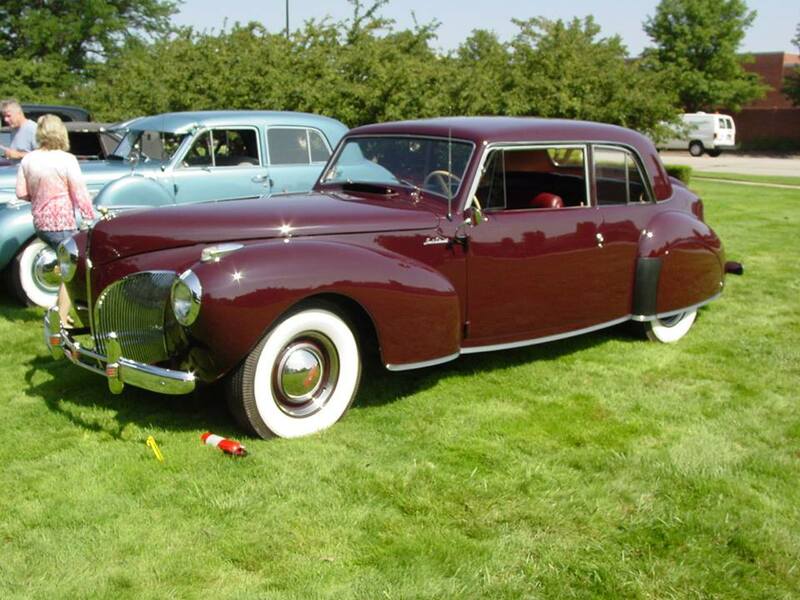 The smaller Lincoln-Zephyr was introduced for the 1936 model year as a marque of its own,:155 with a 267 cu in (4.4 L) V12. 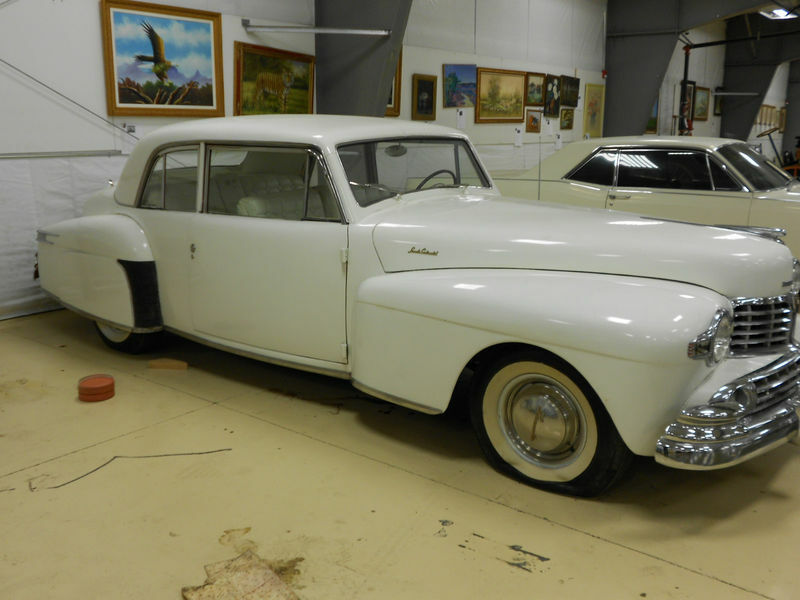 The Lincoln-Zephyr was so successful in its first year as to increase Lincoln sales nearly ninefold. 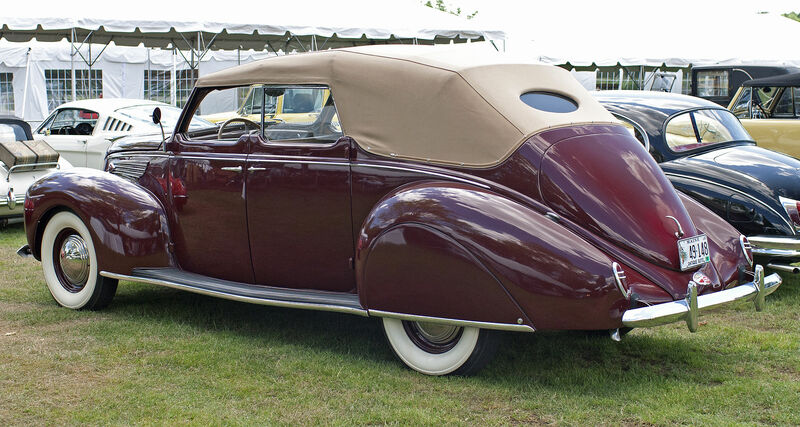 :1196–1197 It remained a separate marque until the end of the 1940 model year and then became a model under Lincoln,:206 when the large Lincoln Twelve was discontinued. 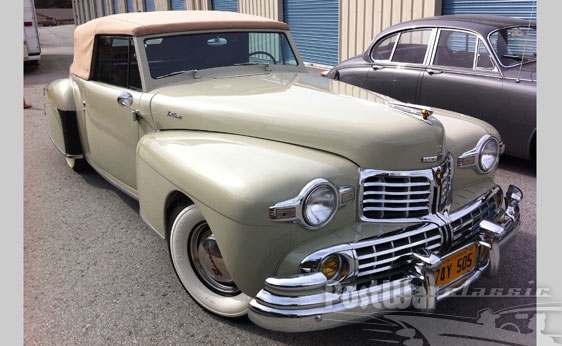 In the 1941 model year, all Lincolns were based on the Zephyr chassis, and when production resumed after the War the Zephyr rocked name was not continued. 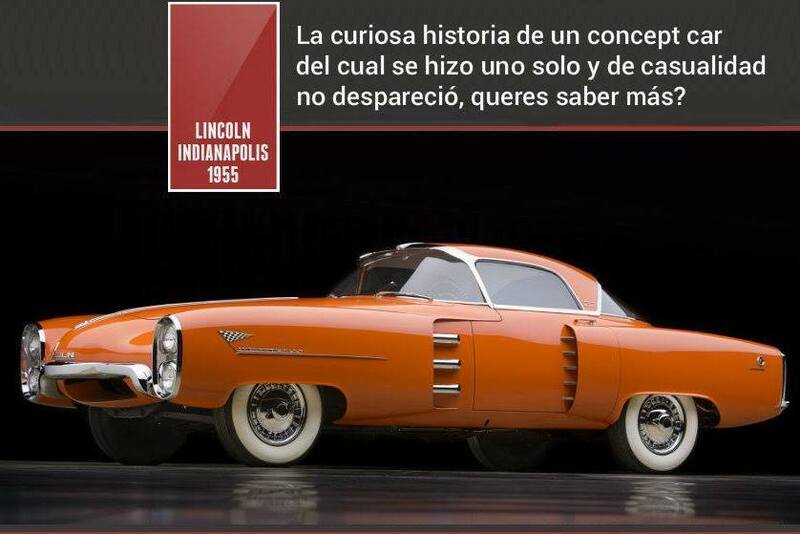 On April 30, 1940, the operation of Lincoln changed as the Lincoln Motor Company became the Lincoln Division of Ford Motor Company. 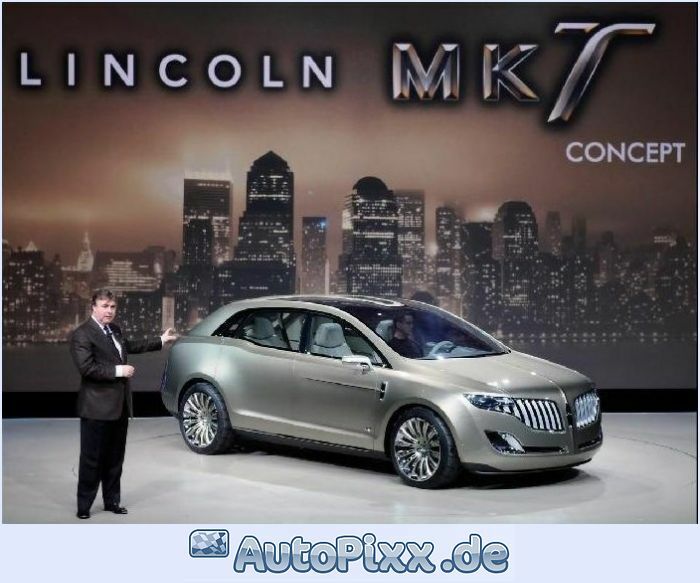 :199 Once an autonomous entity, Lincoln was now brought closer under Ford control, in part to modernize the division to better compete with the equivalent competition from Chrysler (Imperial) and General Motors (Cadillac). 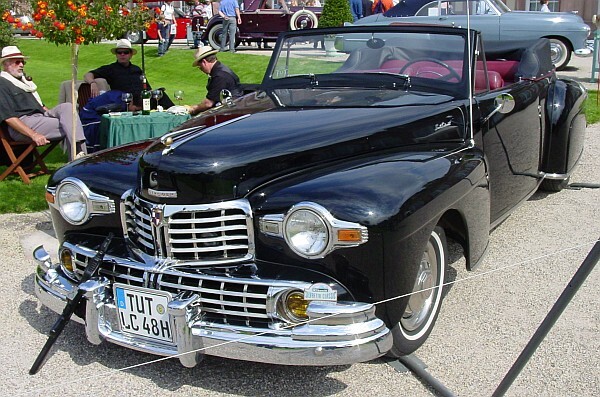 In 1940, the Lincoln Continental commenced production as a personal luxury car quite literally due to the popularity of the personal car of Edsel Ford. 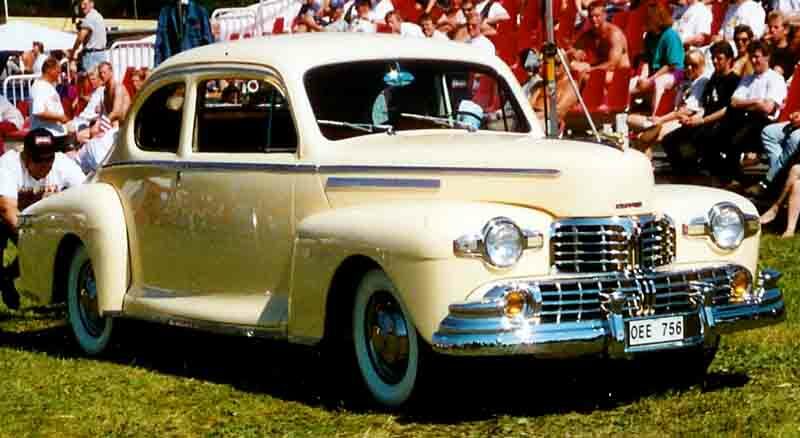 Dissatisfied with the boxy designs produced by his father, Edsel wanted a European-style car to drive around on vacations in Florida. 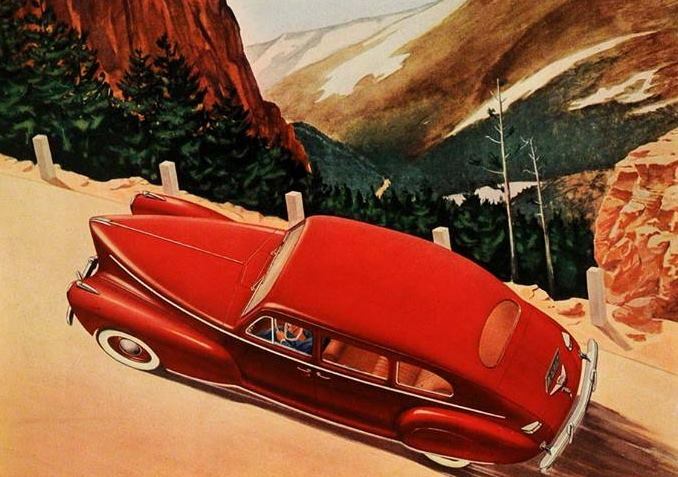 In 1938, he commissioned Ford Chief Stylist E.T. 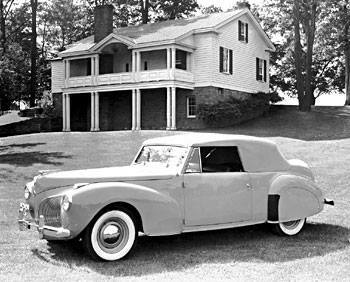 Gregorie to design a body for a 1939 Lincoln-Zephyr V12 Convertible Coupe. 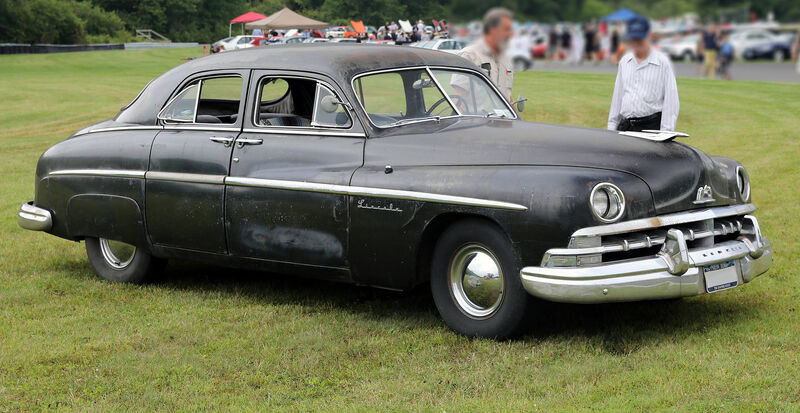 Most of the bodywork involved sectioning the body 4 inches (102 mm) and the deletion of the running boards,and an external-mounted spare tire on the trunklid. 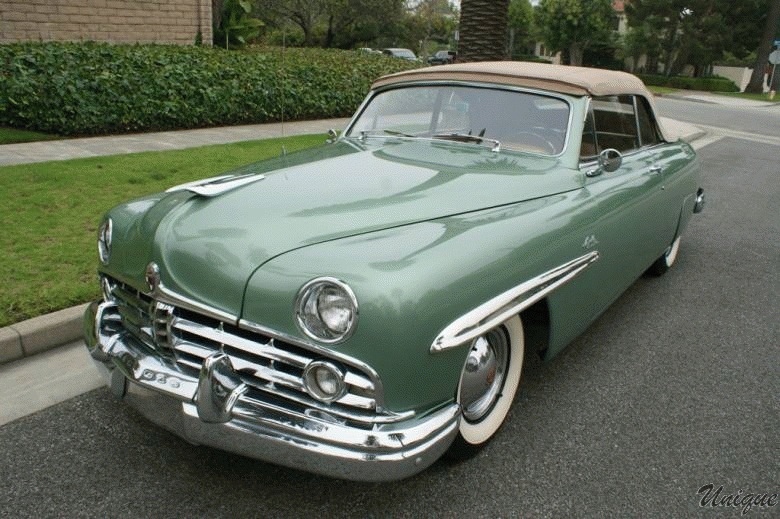 The styling of the rear tire mount proved popular; it would become a styling feature of the Lincoln Mark series and those who work on custom cars call a similar mount a “Continental kit“. 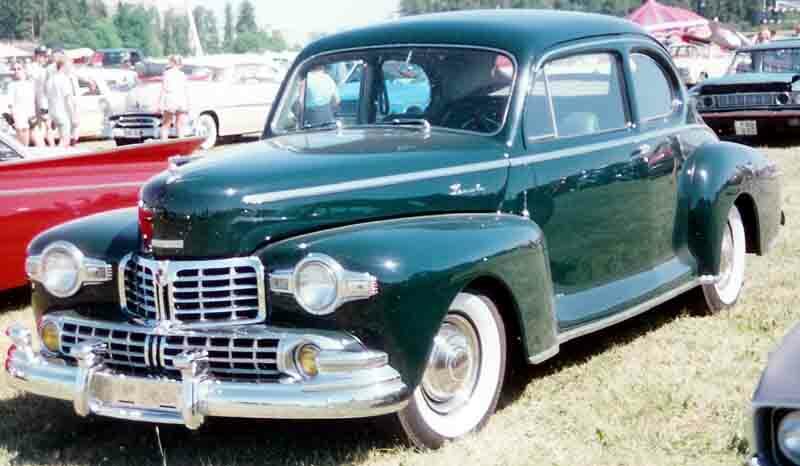 The car was put in production for the 1940 model year as a model under Lincoln-Zephyr. 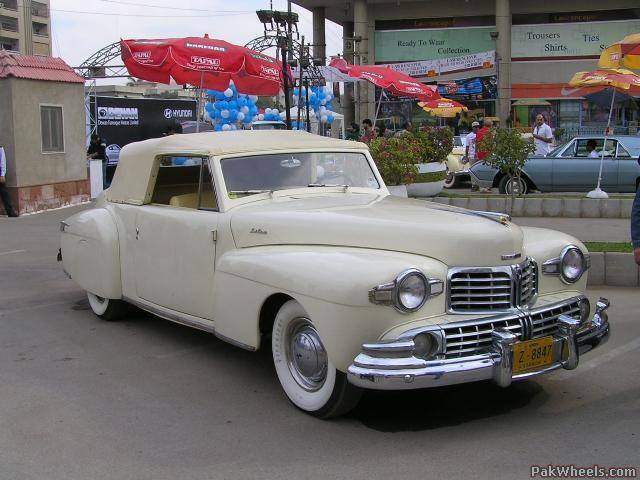 :198 In June 1940 the Club Coupe was added and from 1941-48 it was a model under Lincoln marque. 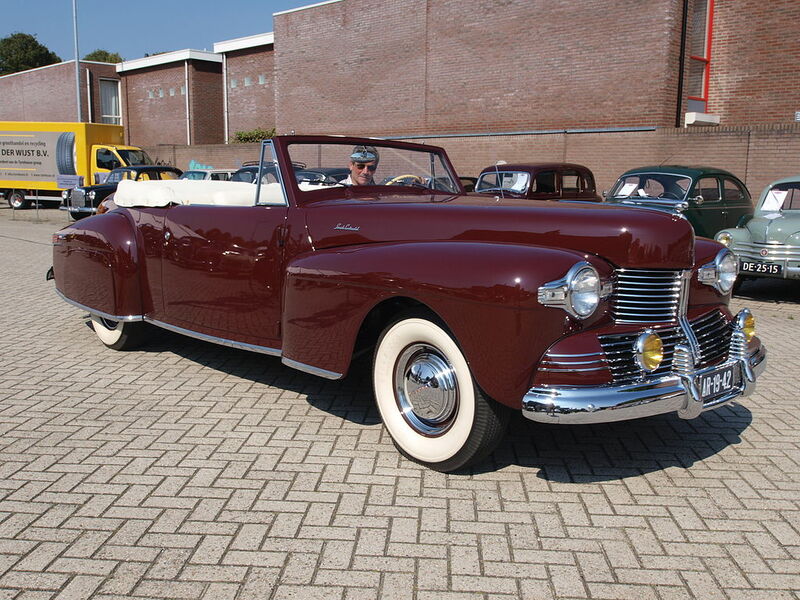 When production ceased in 1948 a total of 5322 had been built. 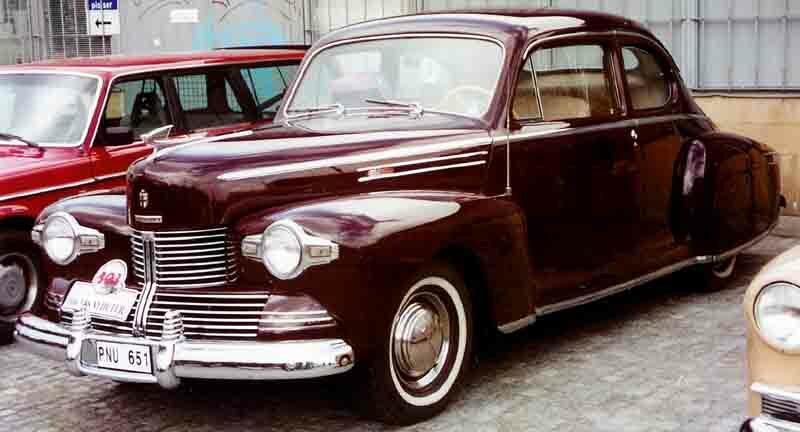 In 1945, Ford Motor Company merged the Mercury and Lincoln divisions together, forming the combined Lincoln-Mercury division. 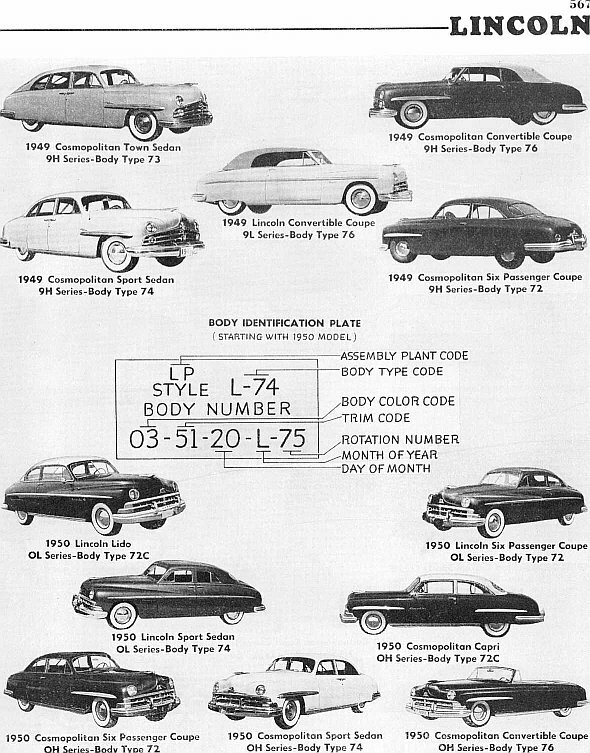 For the revival of civilian production in 1946, Lincoln introduced a two-model lineup: Continental and the Zephyr-based range. 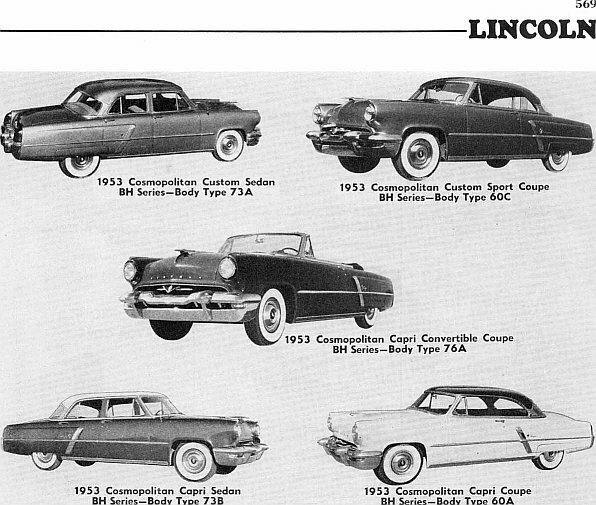 Based on the former Zephyr, the standard Lincoln range only wore the Lincoln nameplate. 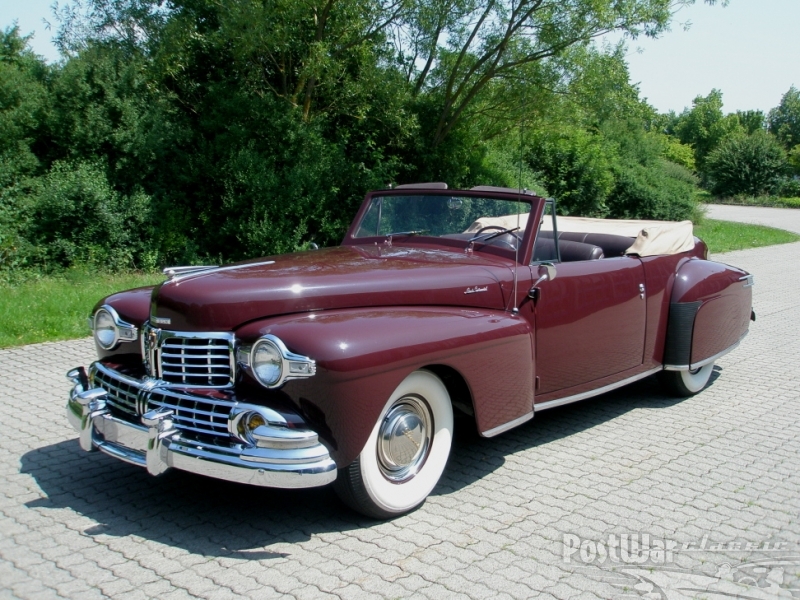 In 1949, both the H-Series Lincoln and the Continental were discontinued. In their place were a new generation of cars. 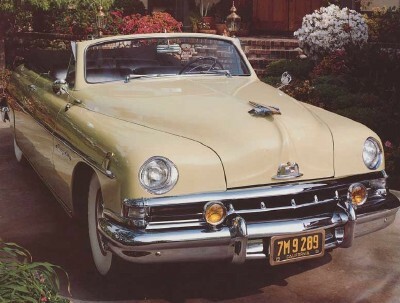 Magnifying the relationship between Lincoln and Mercury was the new EL-Series, as its styling shared much with that of the Mercury Eight. 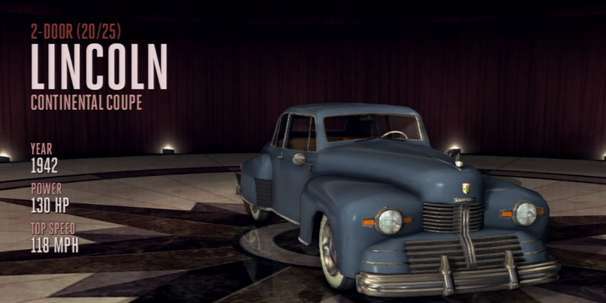 More significantly, the 1949 Lincoln and Cosmopolitan were the first Lincolns since 1932 without a V12 engine; as Lincoln could not develop a new V12 in time, a V8 was borrowed from the Ford F-8 medium-duty truck. 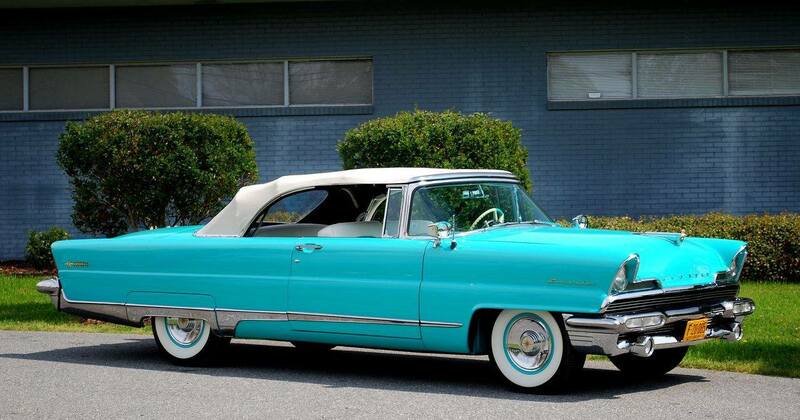 In 1952, Lincoln developed its own Overhead valve V8 engine, the Y-block. 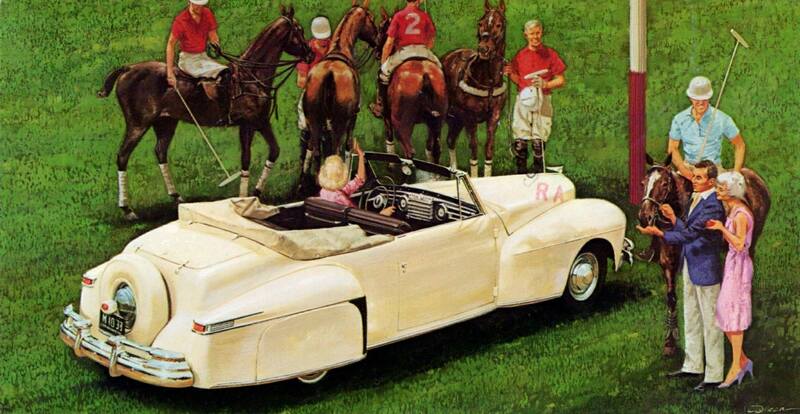 For 1956, Lincoln revisited the original concept of the 1940-1940 Continental. 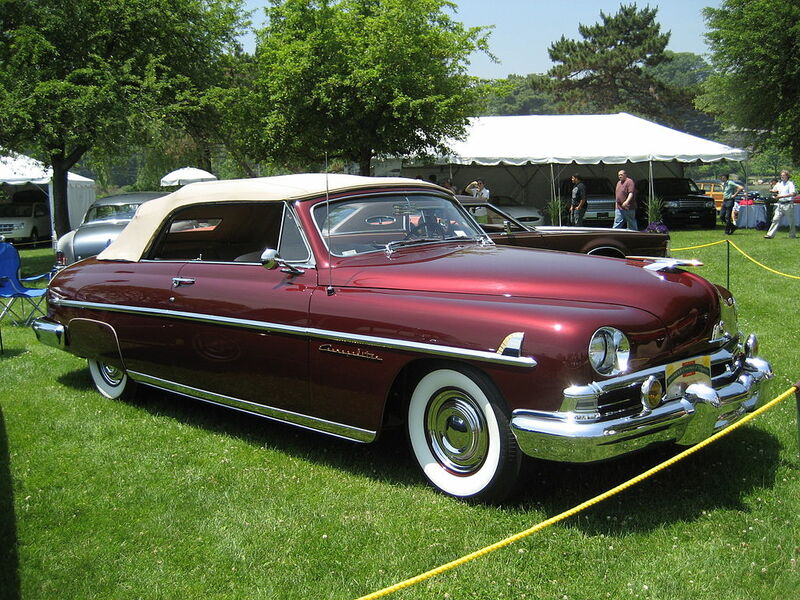 Organized under a separate sub-marque (the Continental Division), the Continental Mark II was a two-door hardtop coupe. 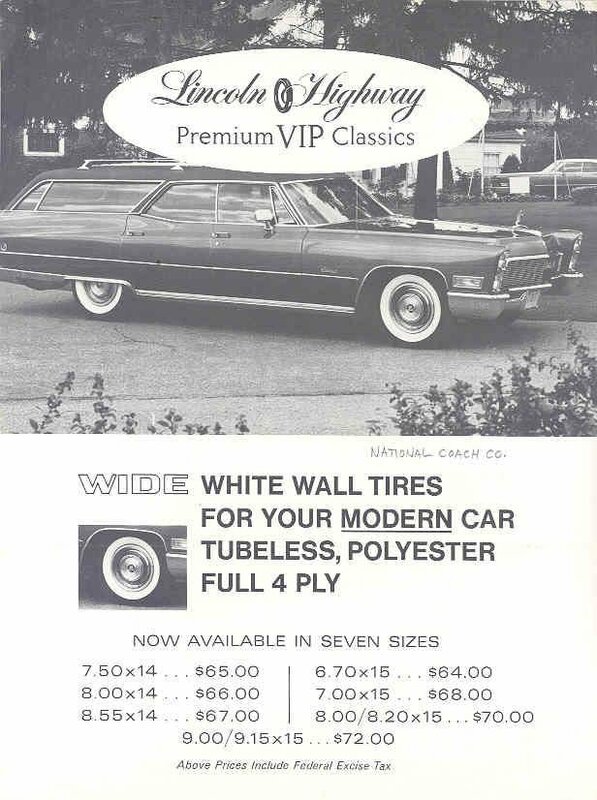 Instead of an actual spare tire mounted on the trunklid, the trunklid was styled with a tire-shaped hump. 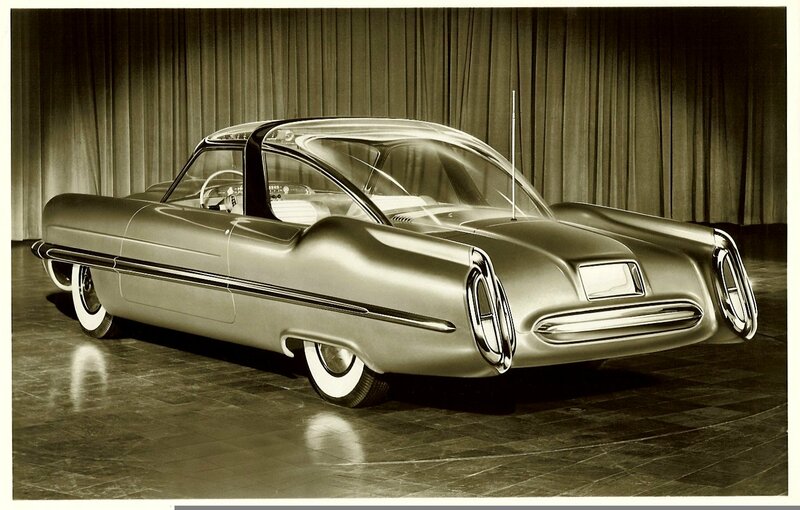 Unlike many cars of the era, the Mark II wore conservative styling; relatively little chrome trim was used on the body and tailfins were notably absent. 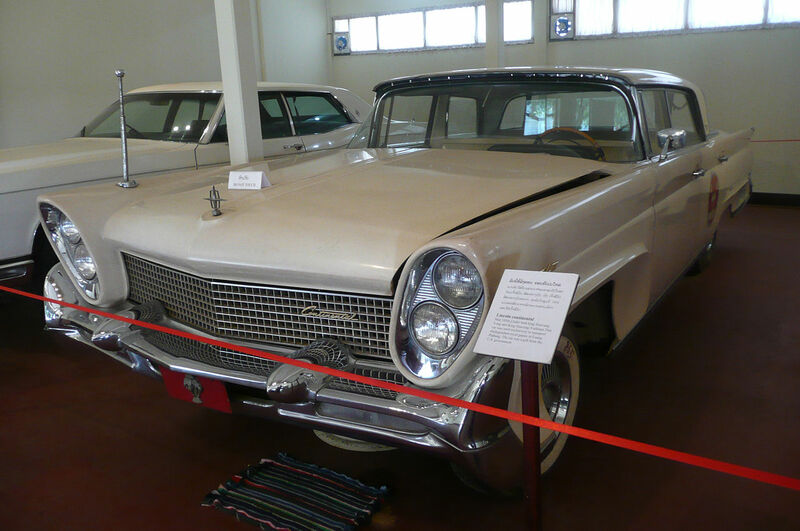 Positioned above the Lincoln marque, the Continental Division and the Mark II were the flagship of Ford Motor Company. 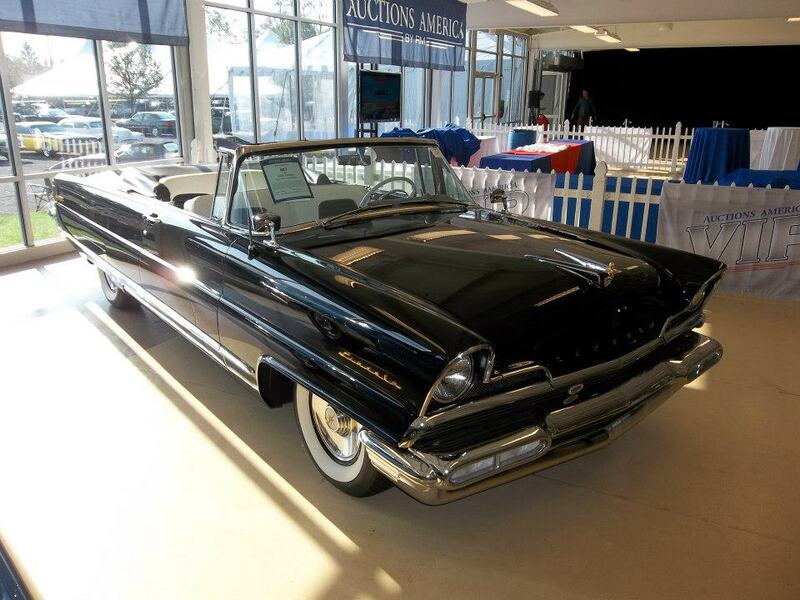 At a base price of $10,000 (nearly $86,000 in 2013 dollars), comparable to a Rolls-Royce Silver Cloud. 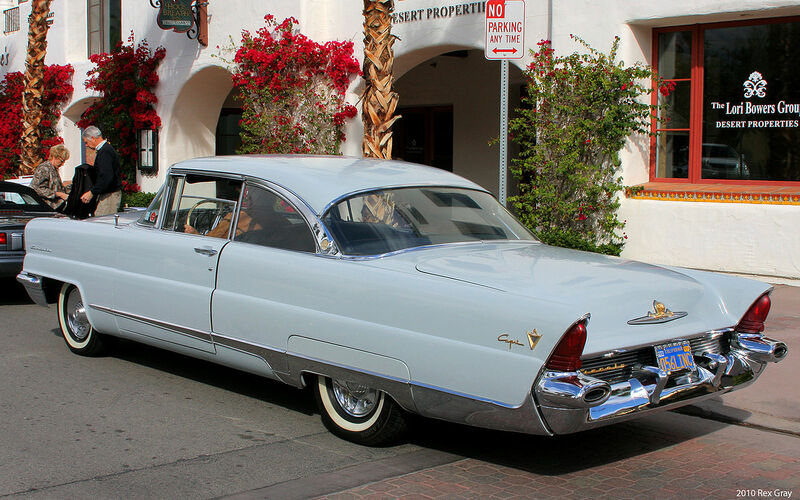 Until the introduction of the 1957 Cadillac Eldorado Brougham, it was the most expensive American-produced car. 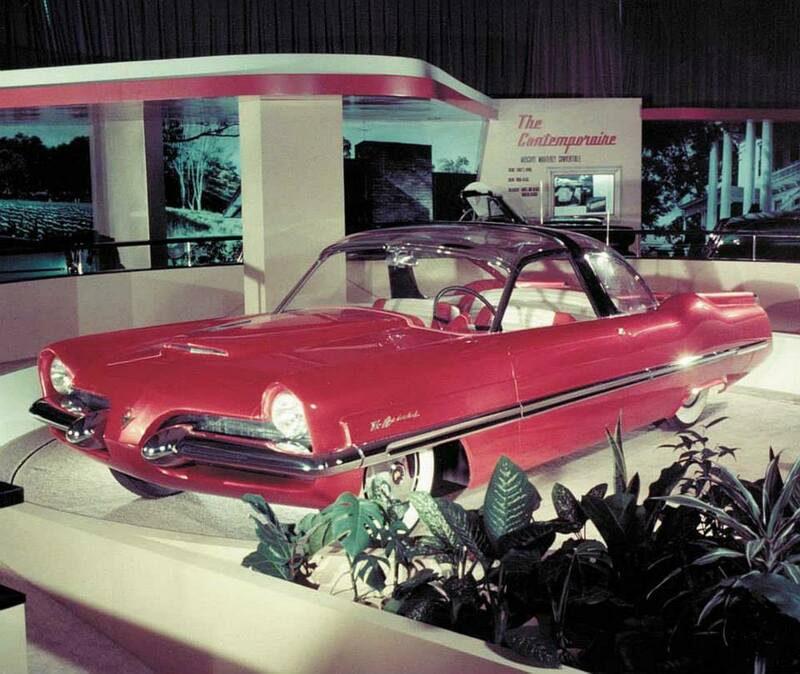 As a result of its largely hand-built construction, every Mark II was sold at a loss of over $1,000. 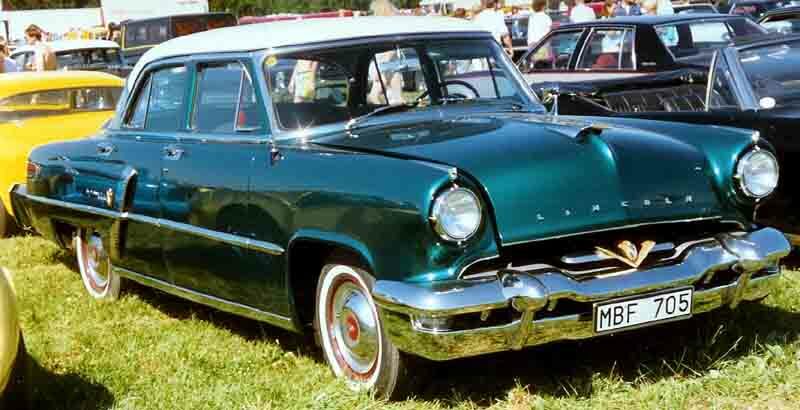 Production of the Mark II ran from June 1955 to May 1957. 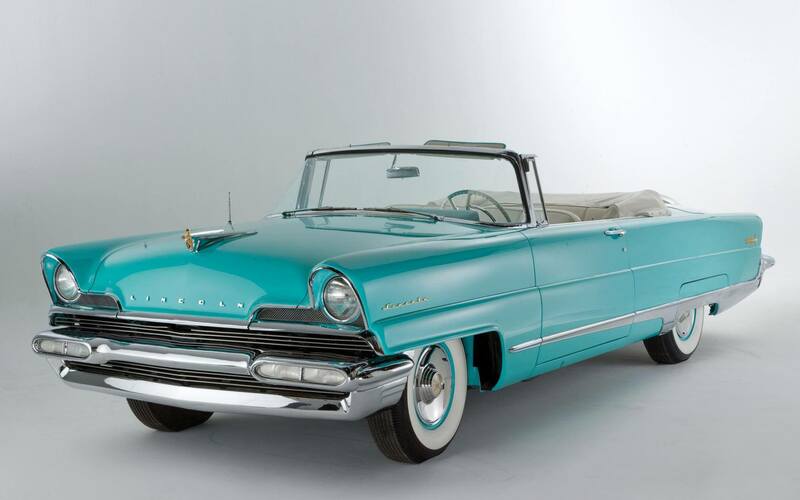 For the 1958 model year, a number of changes were made to Lincoln. 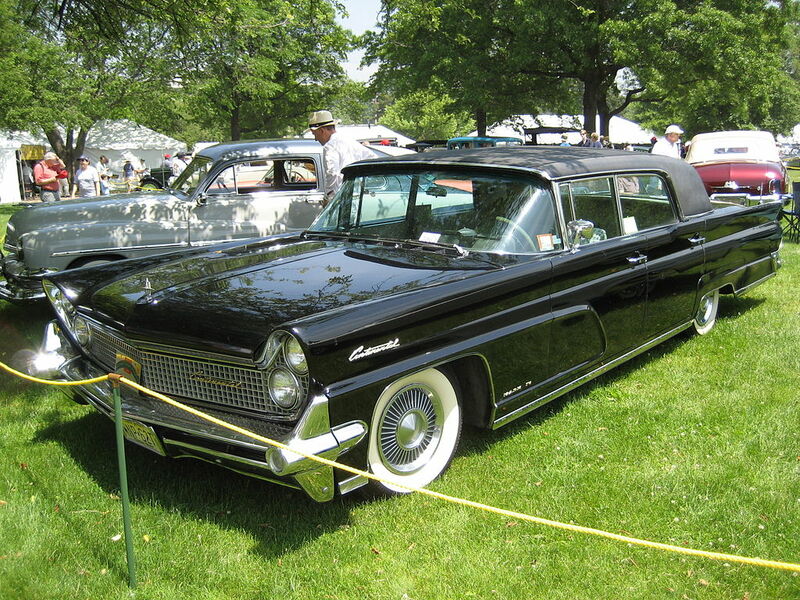 Along with the integration of Edsel to form the Mercury-Edsel-Lincoln (M-E-L) division, production of all Lincoln and Continental vehicles was shifted to an all-new assembly plant in Wixom, Michigan. Showcasing the new assembly plant was a redesigned product lineup. The new V-8 430 cu. in. 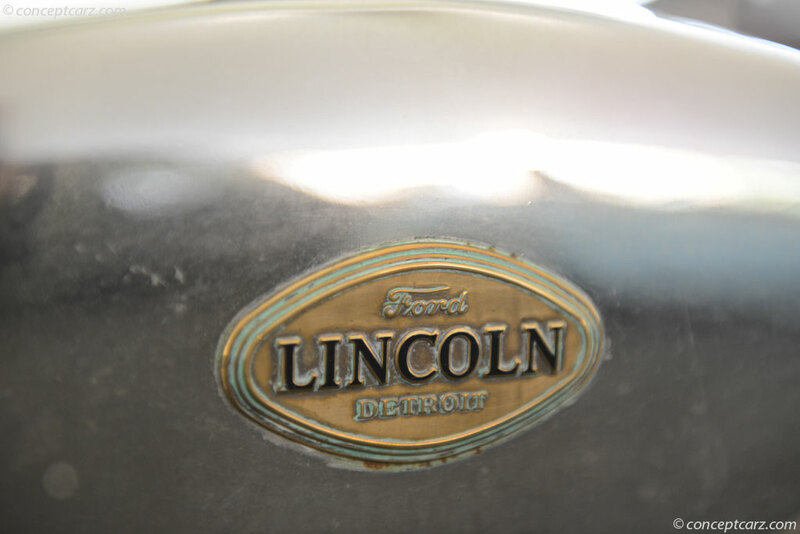 Ford MEL engine was used in all Lincolns. 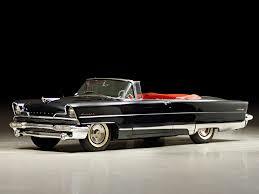 In a radical change from 1957 Lincolns, the chassis was of unibody construction. 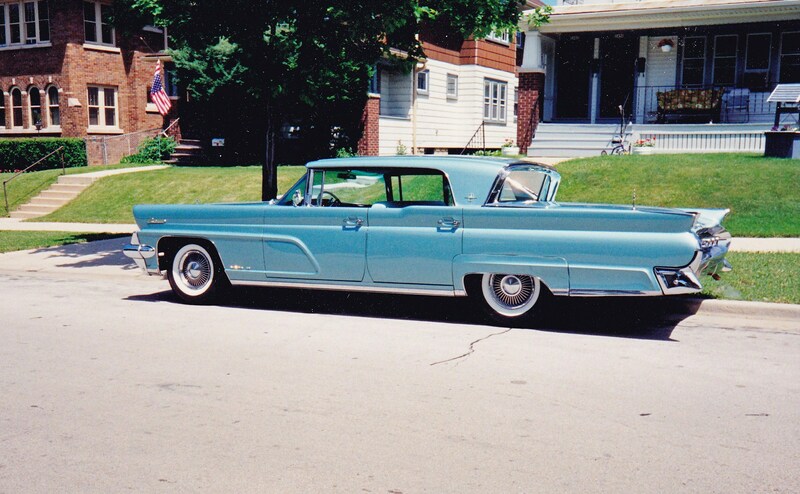 Sharing a body with the Continental marque, the 1958-1960 Lincolns would become some of the largest production vehicles ever built; they are the longest Lincolns produced without 5-mph bumpers. 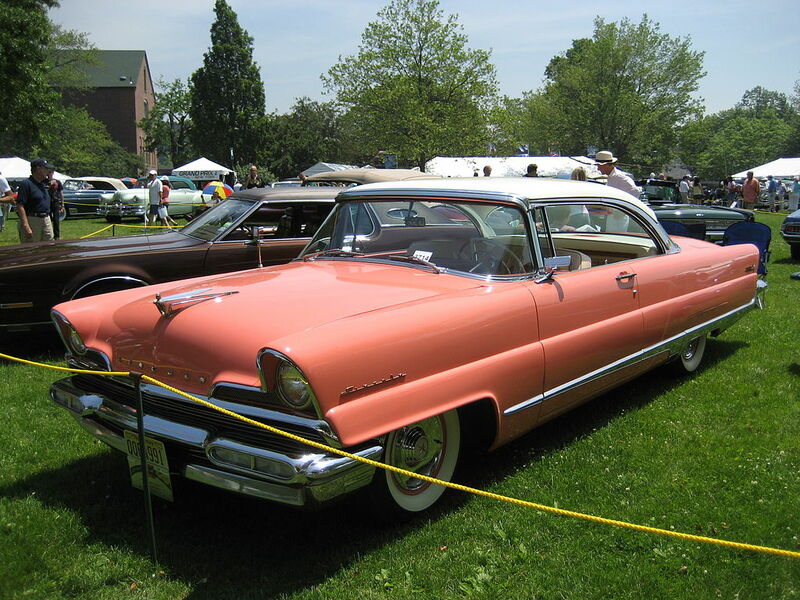 They are the longest-wheelbase cars ever produced by Ford Motor Company. 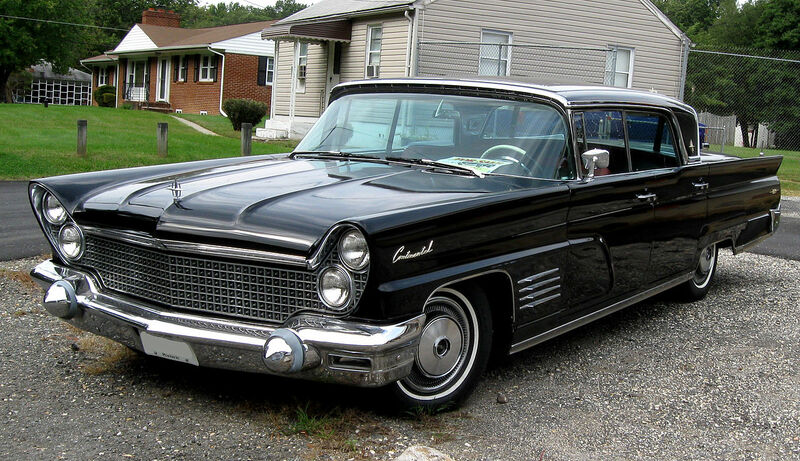 In 1959, the Town Car name made its first appearance. 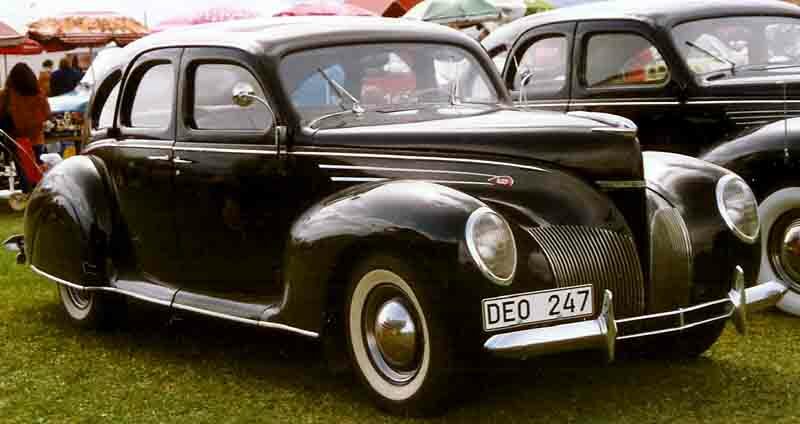 A formal-roof sedan, it was available only in black. 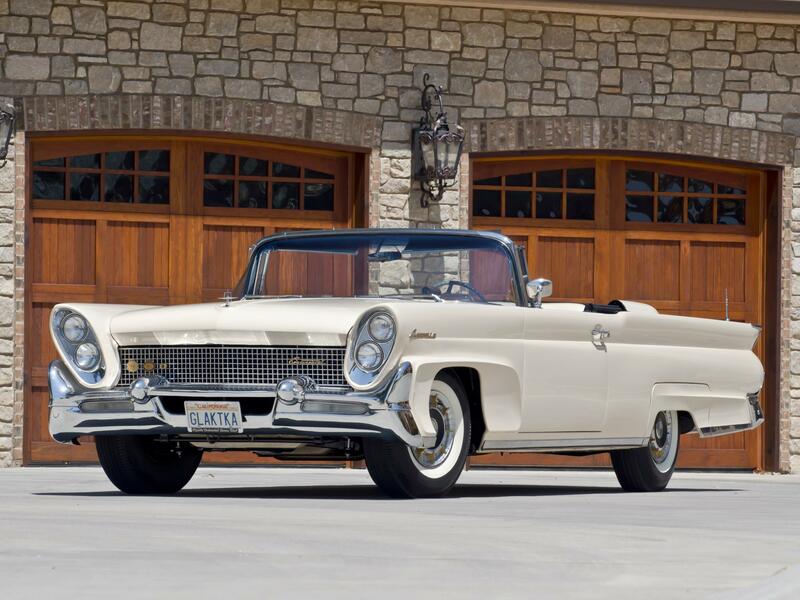 For the 1961 model year, Lincoln made a major change in its model lineup as it pared its model lineup from three cars (Capri, Premiere, Continental Mark V) to a single car; Continental as a marque disappeared. 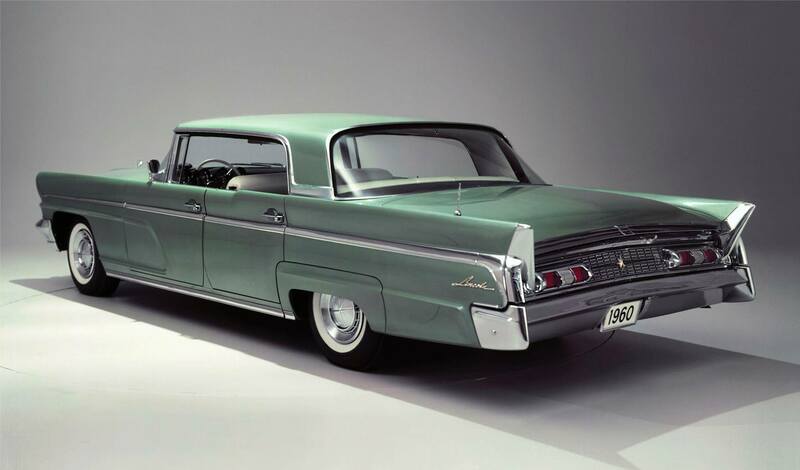 Dubbed the Lincoln Continental, the 1961 Lincolns were distinctive for several reasons: their (relatively) conservative styling, their radically smaller size (15 inches shorter than the 1960 Lincolns), and their use of rear suicide doors. 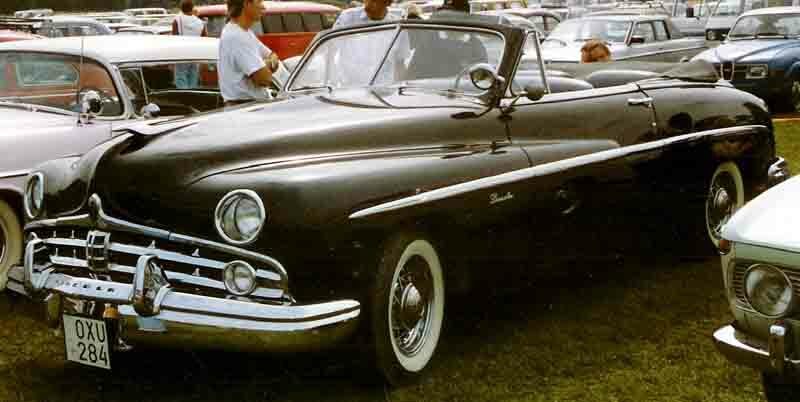 Available as a sedan and convertible, the Continental would become the last American 4-door production convertible. 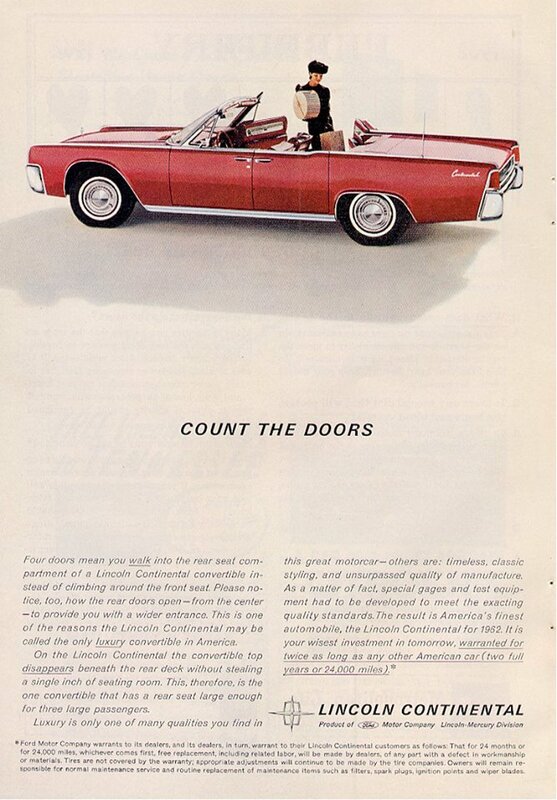 During the 1960s, the Continental underwent minor year-to-year changes. 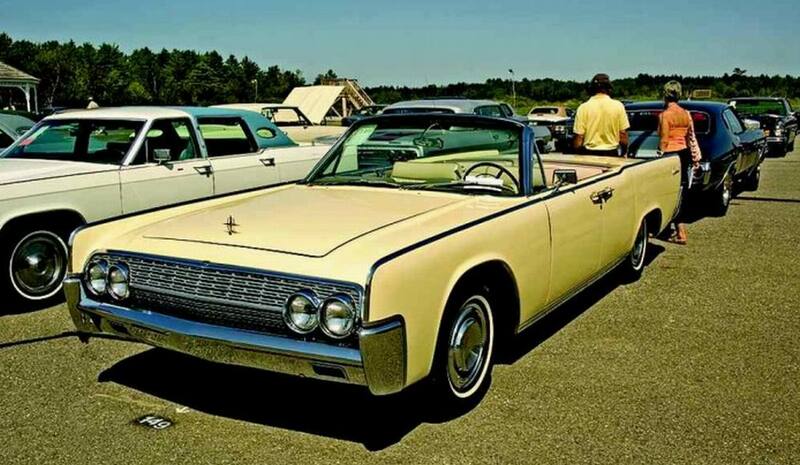 In 1966, a two-door model joined the sedan and convertible while the latter ended production in 1967. 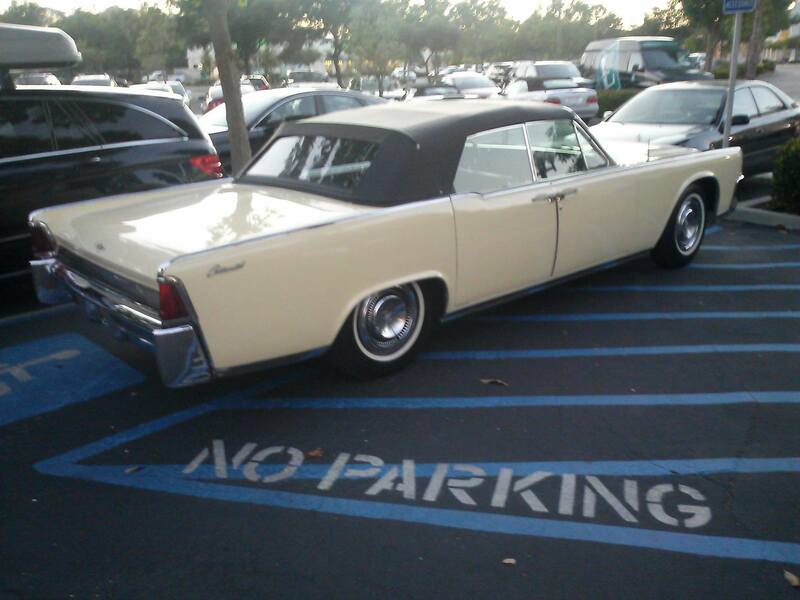 For 1970, the Continental underwent a massive redesign. 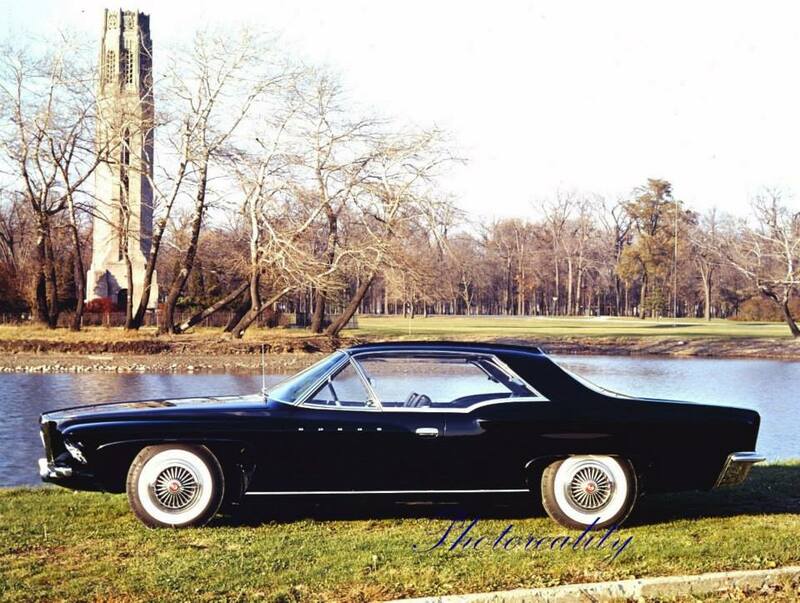 In 1968, the division revisited the concept of the personal-luxury car, developing a competitor to the Cadillac Eldorado. 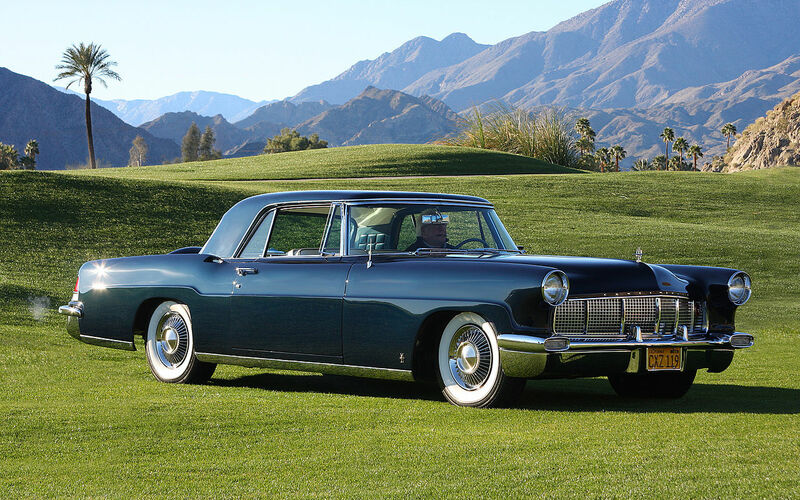 While taking on the Mark series nameplate, the Continental Mark III was engineered to be both the halo car in the form of its predecessor for a much wider audience. 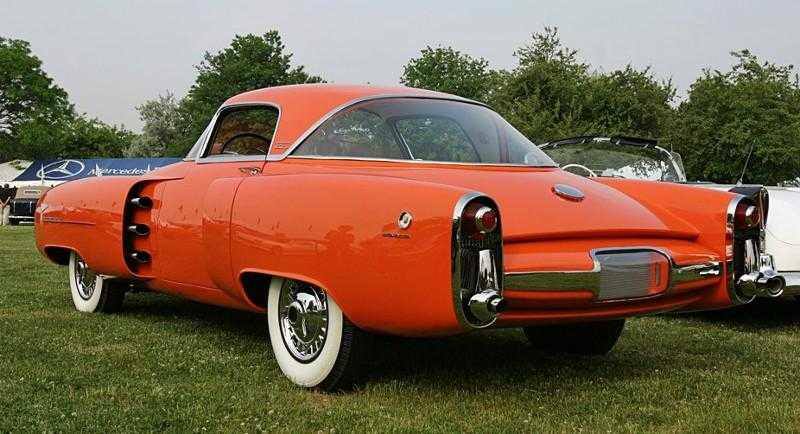 Based on the four-door version of the Ford Thunderbird, the Mark III revived the Mark II’s spare tire hump while bringing new styling themes into the division. 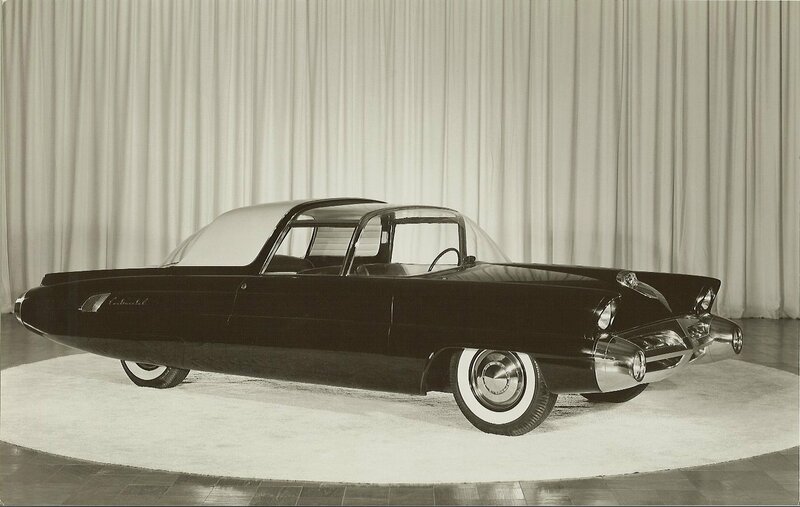 While not the first automaker to use them, Lincoln would popularize the use of hidden headlights behind body-color flaps. 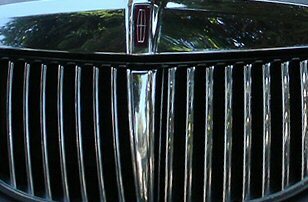 A key styling feature introduced by the Mark III was the Rolls-Royce style radiator grille; in various forms, this would be used by Lincoln into the late 1990s. The Mark Series revival was a success for the division. 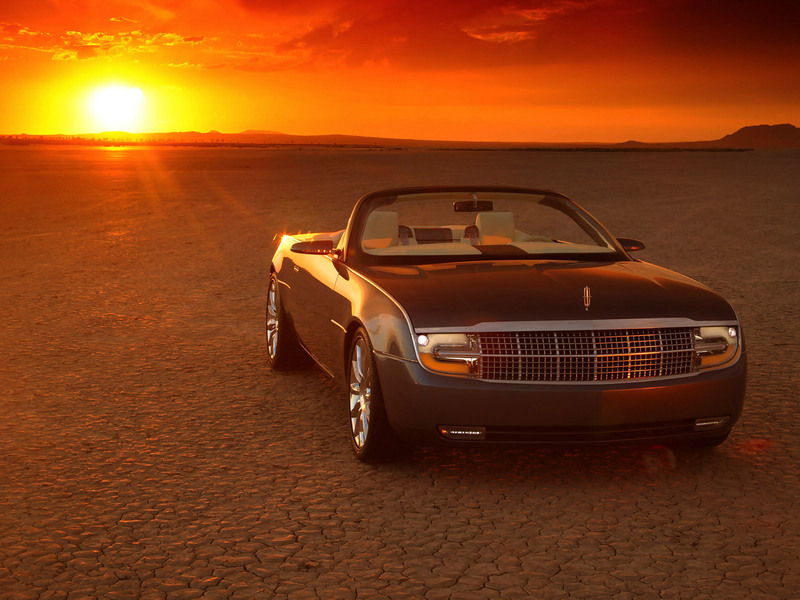 With the exception of the 1980-1983 Mark VI, the Mark Series would be developed alongside the Ford Thunderbird. 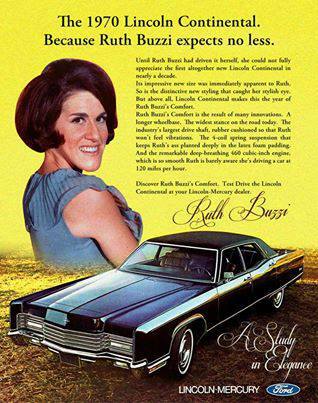 During the 1970s, Lincoln made a number of moves in order to remain competitive in the luxury-car marketplace. 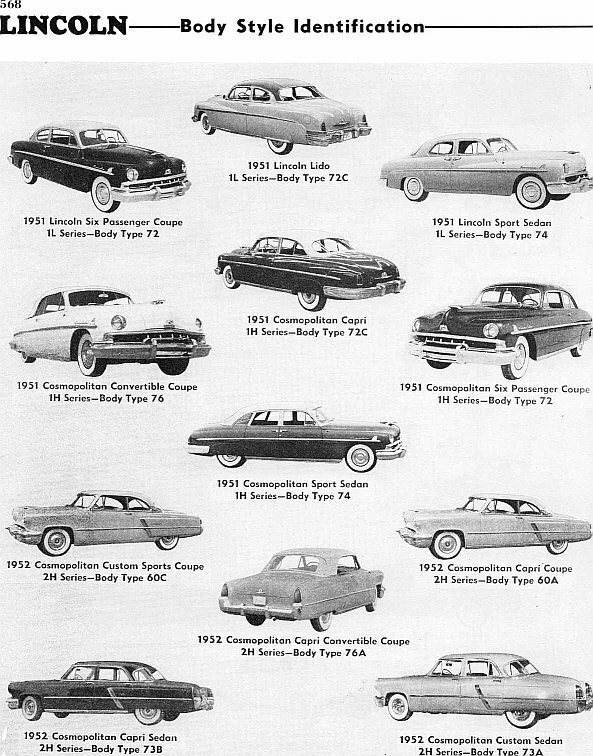 While many of these changes were necessitated to control costs within Ford, others were in response to federal safety regulations. 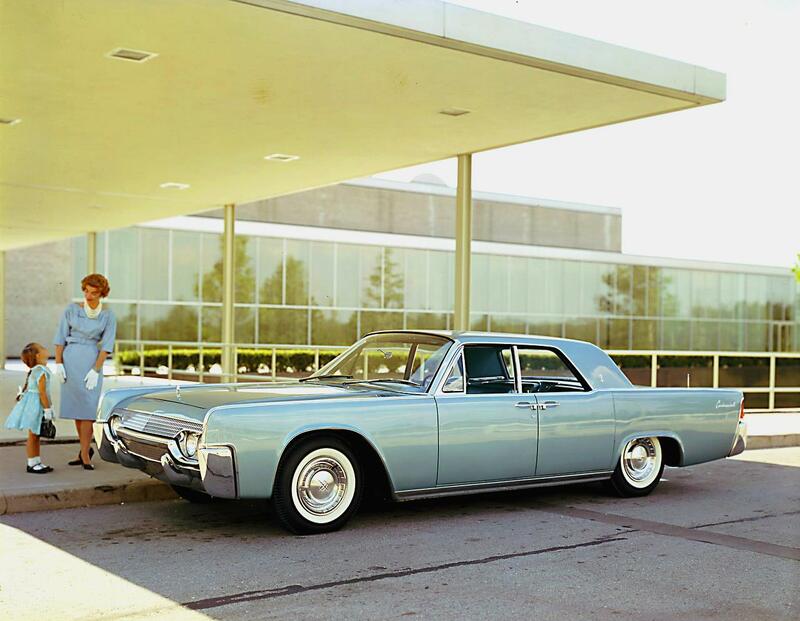 The fuel crisis of 1973 would also play a role in the engineering of Lincolns later in the decade. 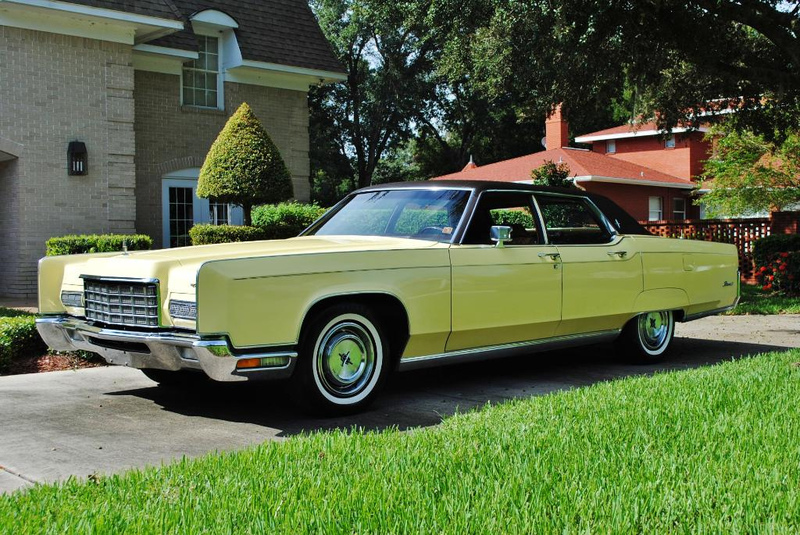 For the 1970 model year, the Continental range was given its first complete redesign since 1961. While styling was influenced by both the Mark III and its 1969 predecessor, the new generation marked a major departure from its predecessor in terms of layout. 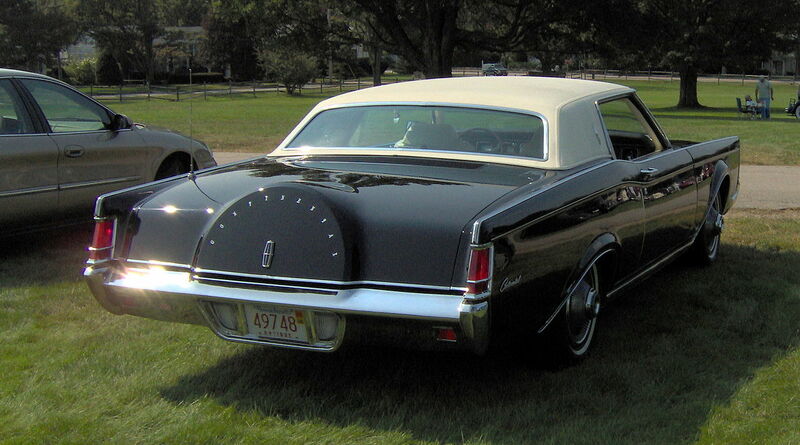 In a return to body-on-frame construction, the 1970 Continental marked the return of front-hinged rear doors. 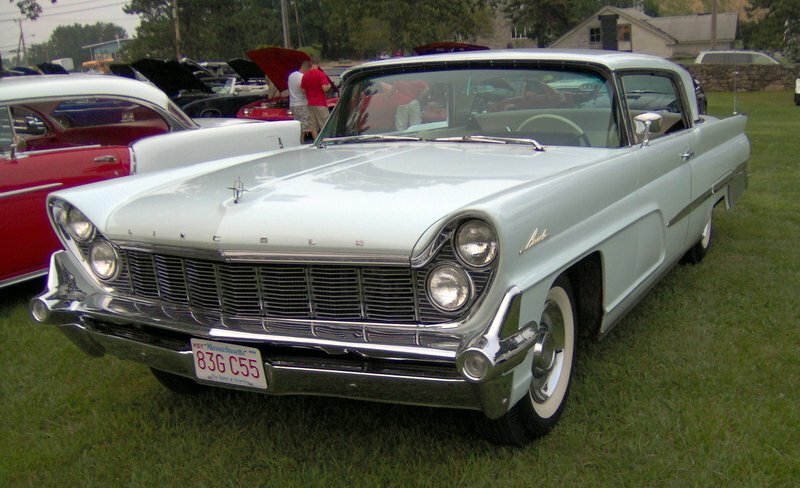 To lower its development costs, while Lincoln would retain its unique body and wheelbase, the chassis and basic underpinnings were now shared with the Ford LTD/Mercury Marquis. 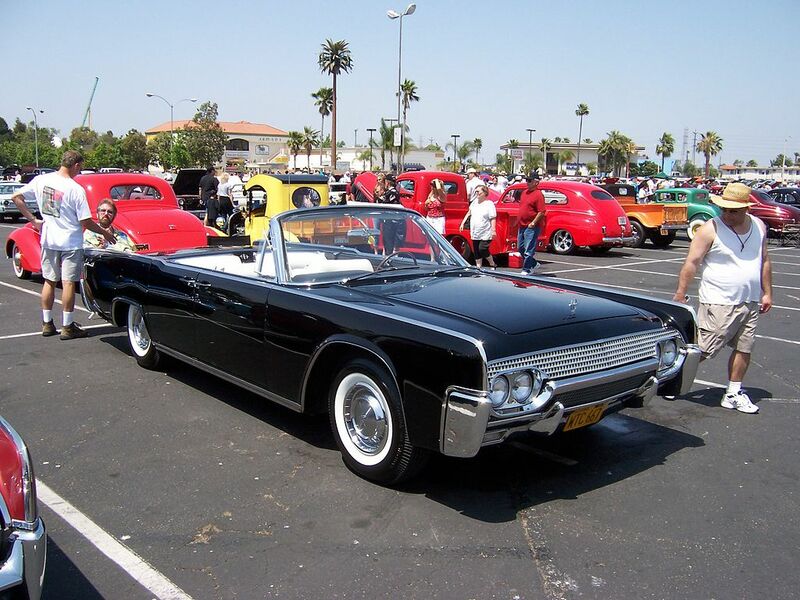 The 460 cubic-inch V8 introduced by Lincoln in 1968 became an option in Mercury models in 1972. 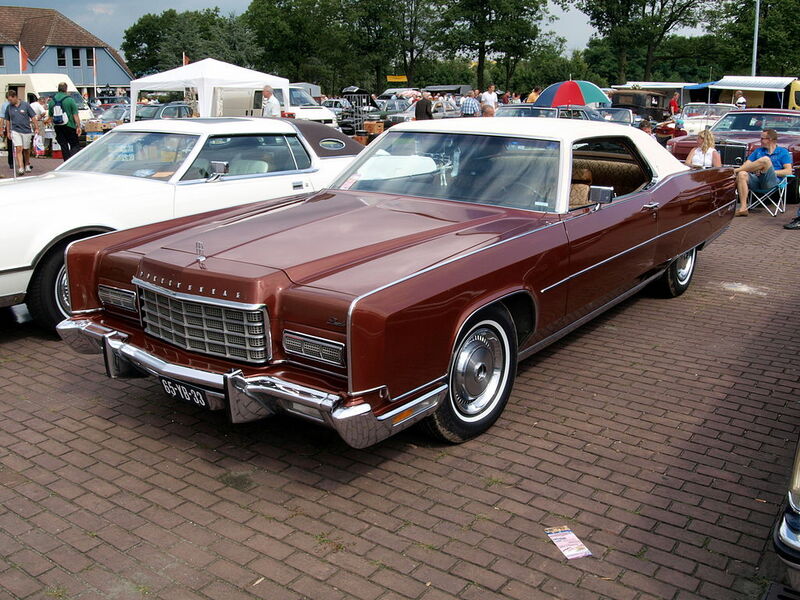 To distance itself from the Marquis hardtop, the Continental was given a new roofline for 1975. 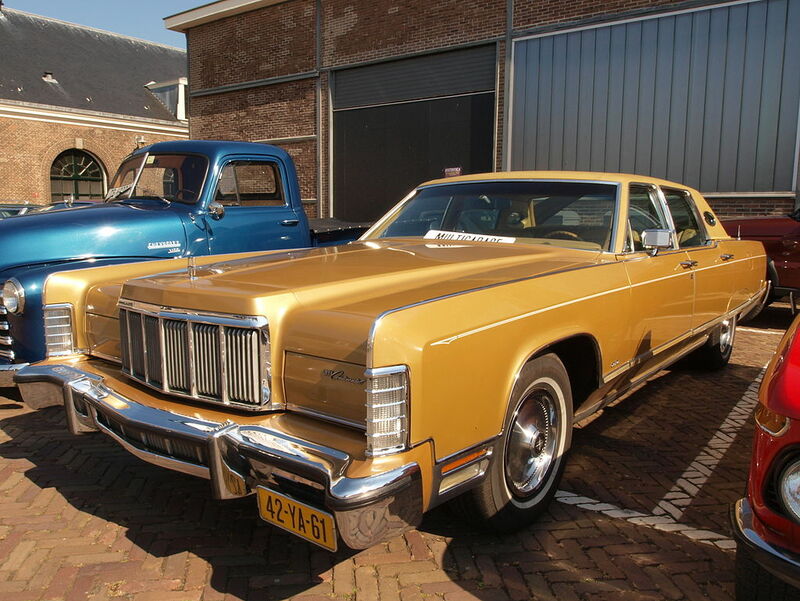 In 1977, a Rolls-Royce style radiator grille was added to the Continental. 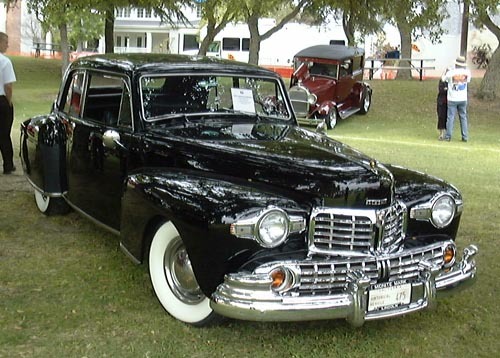 The success of the Mark III led Lincoln to follow up with a successor. 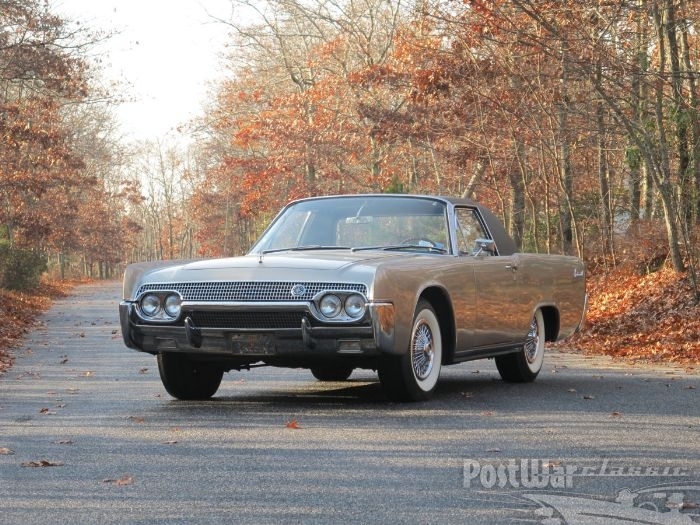 Again based upon the Ford Thunderbird, the Mark IV was introduced for the 1972 model year. 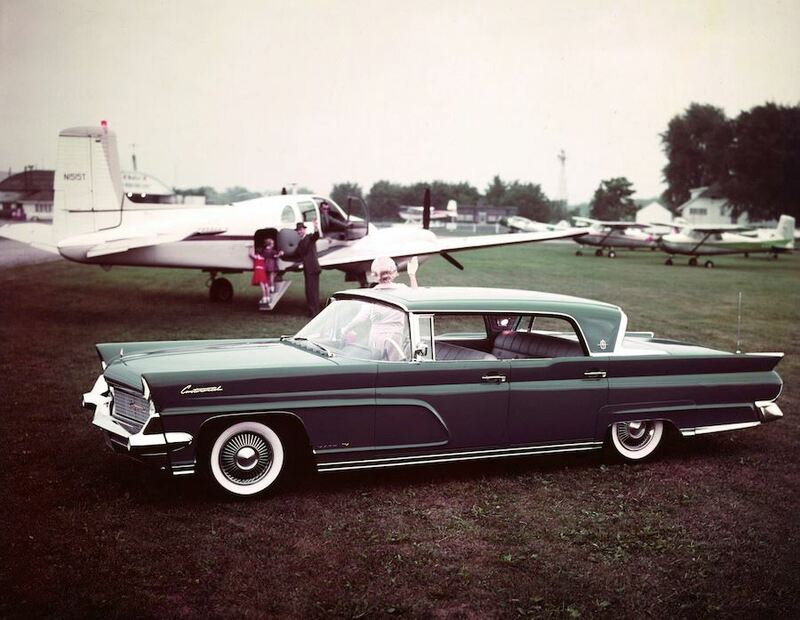 While sharing more in common with the Thunderbird than its predecessor, the Mark IV would distinguish itself by starting a new tradition for the Lincoln division. 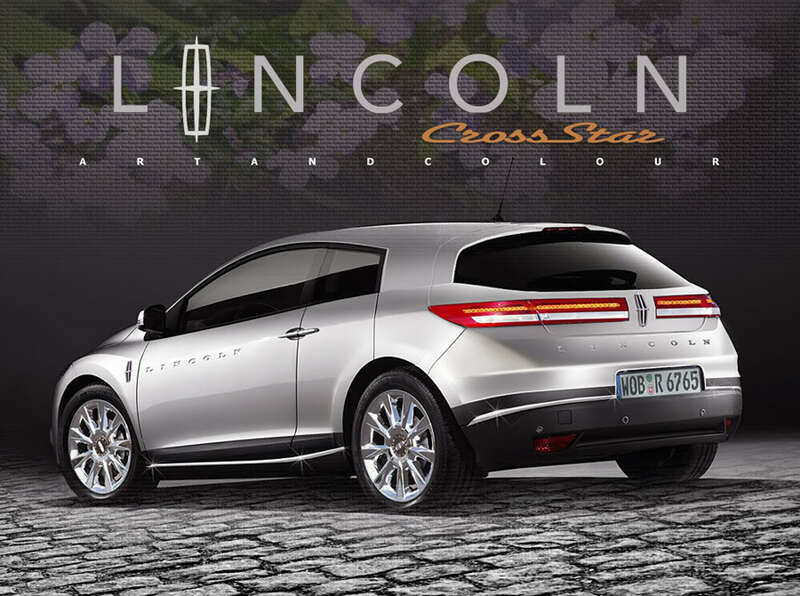 In tandem with several fashion designers, Lincoln would design several special-edition packages; these featured unique color combinations and interior trim. 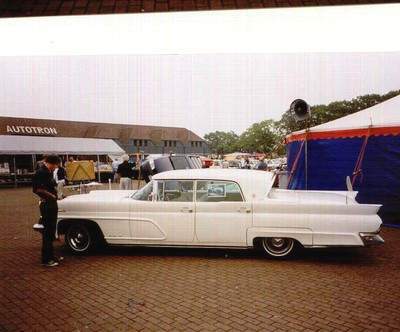 For 1977, the Mark IV was redesigned and replaced by the Mark V; with the Thunderbird now downsized, the Mark V used a body and chassis unique to Lincoln. 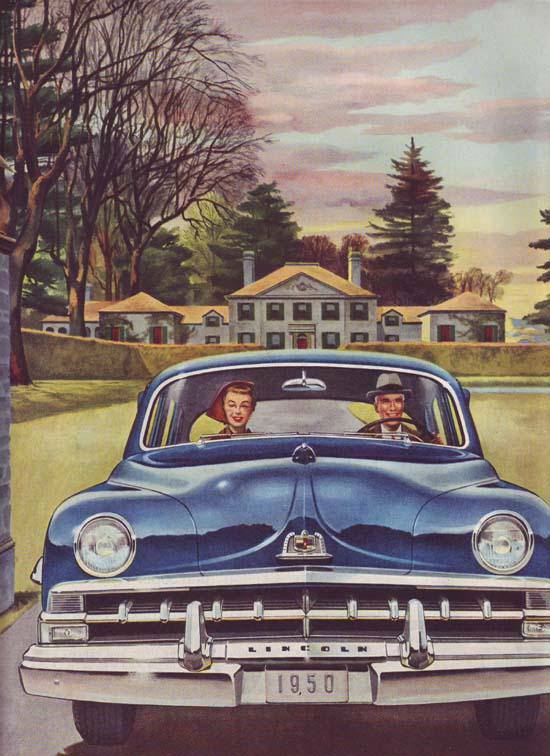 In spite of being a longer car in the beginning of the era of downsizing, the Mark V proved to outsell both of its predecessors. 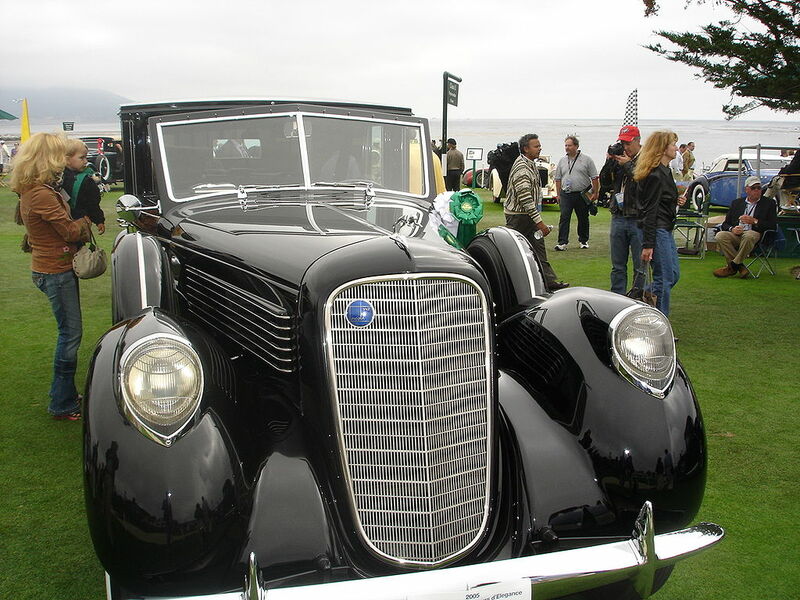 As with the Mark IV, the Mark V continued the tradition of special editions, with various designer and commemorative editions. 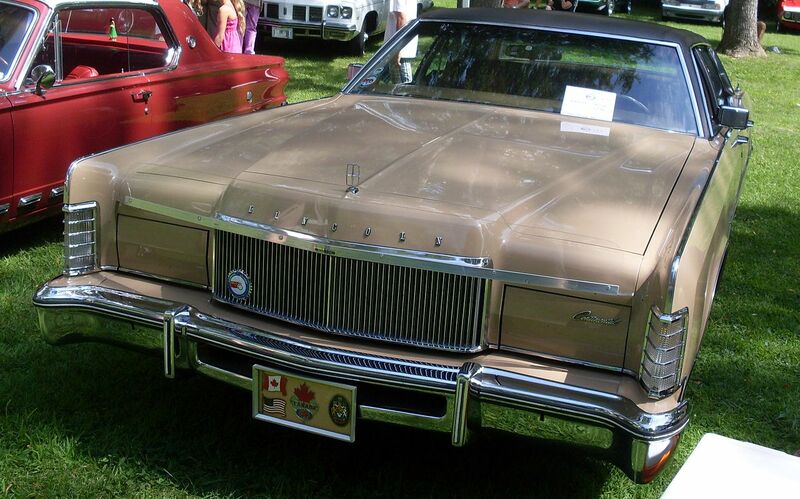 Developed as a response to the popularity of the 1975 Cadillac Seville, the division introduced the Versailles for the 1977 model year. 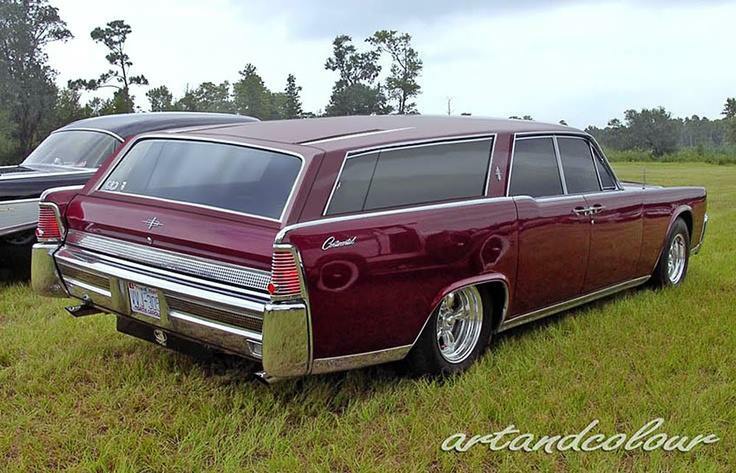 Thirty inches shorter and 1500 lbs lighter than the Continental, the Versailles was based on upon the Ford Granada/Mercury Monarch (as the Seville was based on the Chevrolet Nova). 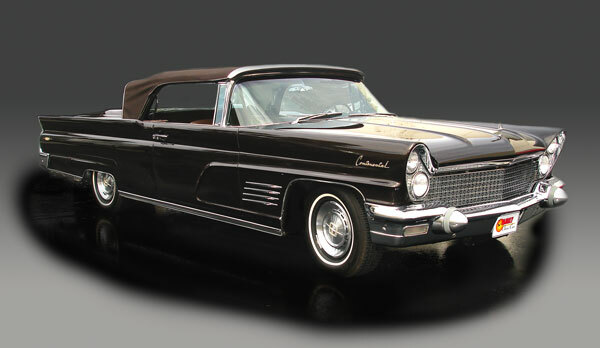 With a smaller budget than General Motors, Lincoln stylists could not afford to give the Versailles the all-new body that the Seville received; the major differences between the Granada/Monarch and the Versailles were the Lincoln-style grille along with the Mark V-style spare tire hump on the rear trunklid. 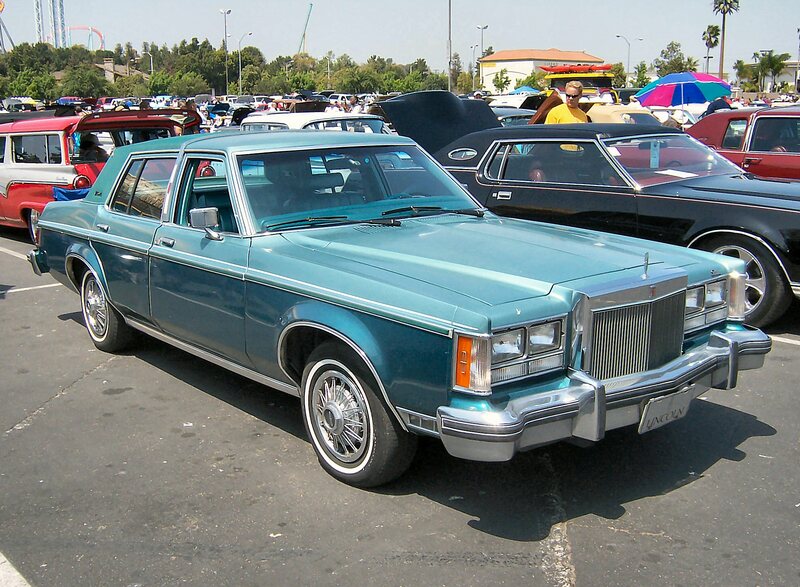 While the Versailles survived only midway through the 1980 model year, it would introduce a number of key features into American cars: clearcoat paint and halogen headlights. After the fuel crises of the mid-1970s and the adoption of CAFE by the U.S. federal government, Lincoln was relatively ill-prepared for the 1980s. 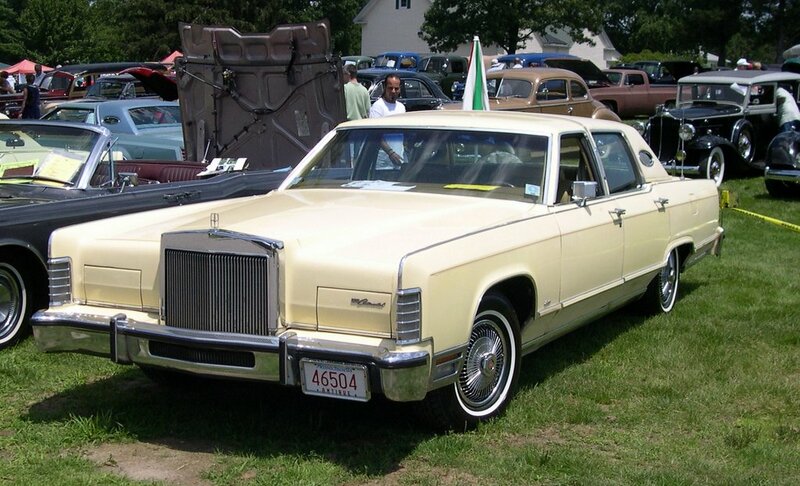 After the 1977 downsizing of the General Motors full-size range, the Continental and Mark V were the two largest mass-produced cars in the world. 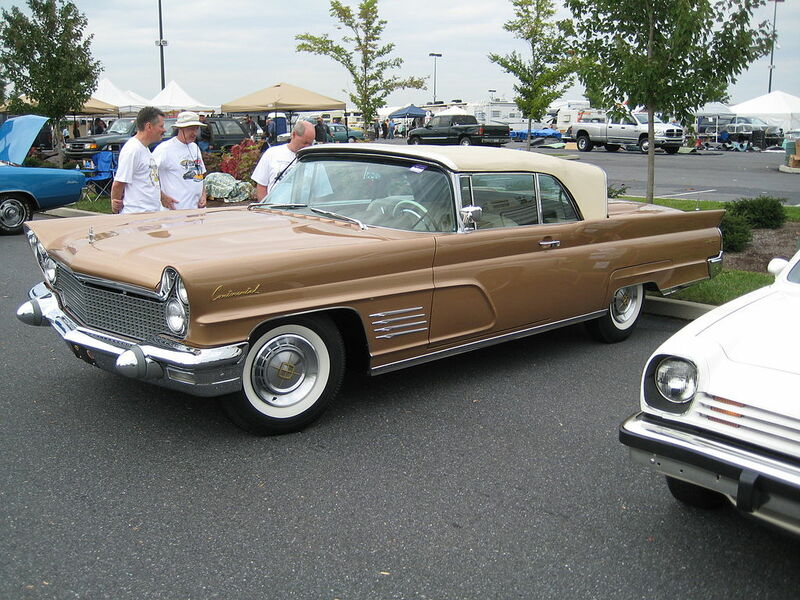 Additionally, the lineup was fast-aging, as the newest Lincoln (the Mark V) was an 8-year old design; the underpinnings of the Versailles dated from 1960. In 1979, Ford and Mercury radically redesigned their full-size ranges on an all-new chassis, the first since 1968. 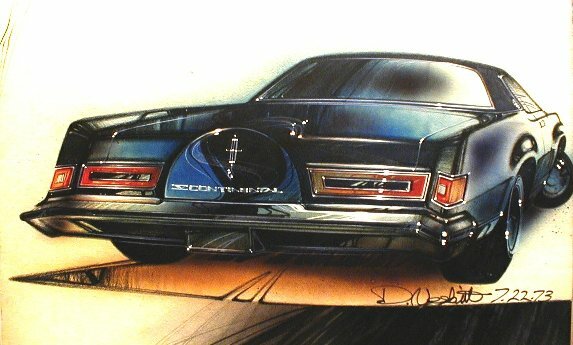 Delayed until the 1980 model year, Lincoln joined its counterpart divisions with the first new Continental since 1970. 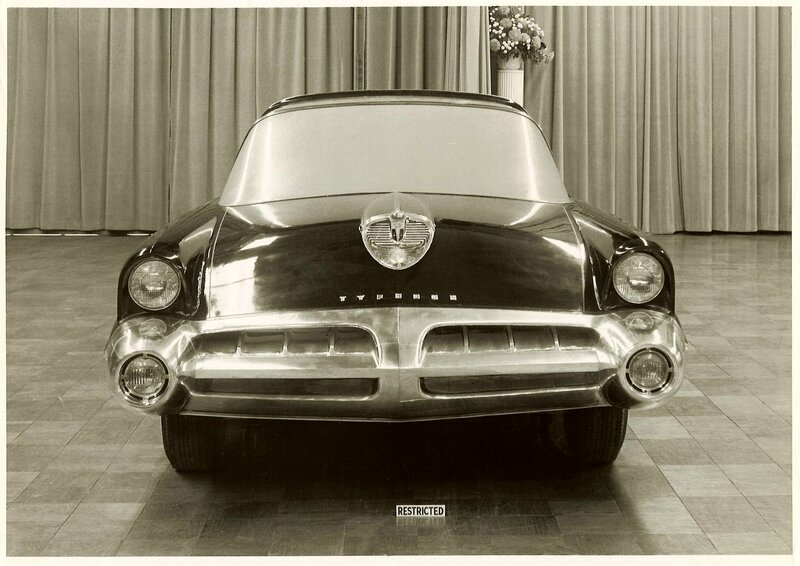 The Mark VI replaced the Mark V; for the first time, the Mark was based upon the full-size chassis. 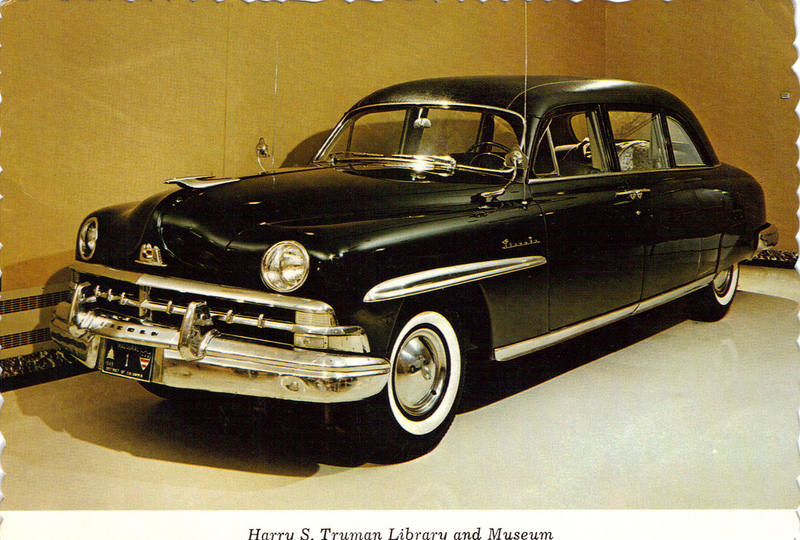 While sharing chassis and powertrain with Mercury and Ford, no body and interior parts were common. 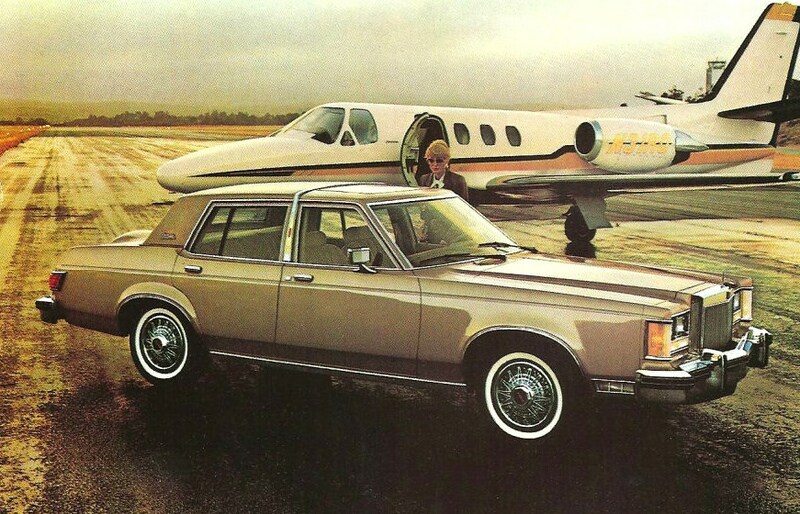 After struggling throughout its entire production run to attract buyers, the Versailles was discontinued early in the 1980 model year. 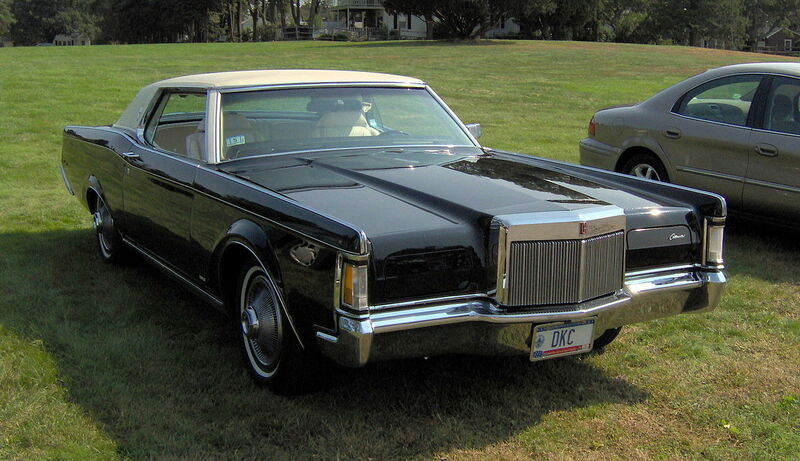 In 1981, a major change was made to Lincoln as the Continental name was put on hiatus. 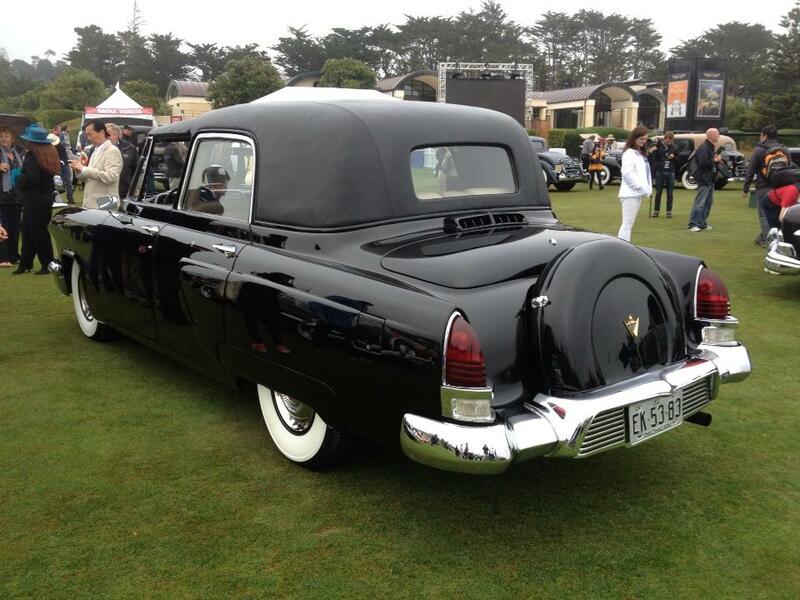 Taking its place as the standard Lincoln was the Town Car/Town Coupe, having been a trim package since 1970. 1982 marked the beginning of major changes to the model lineup. 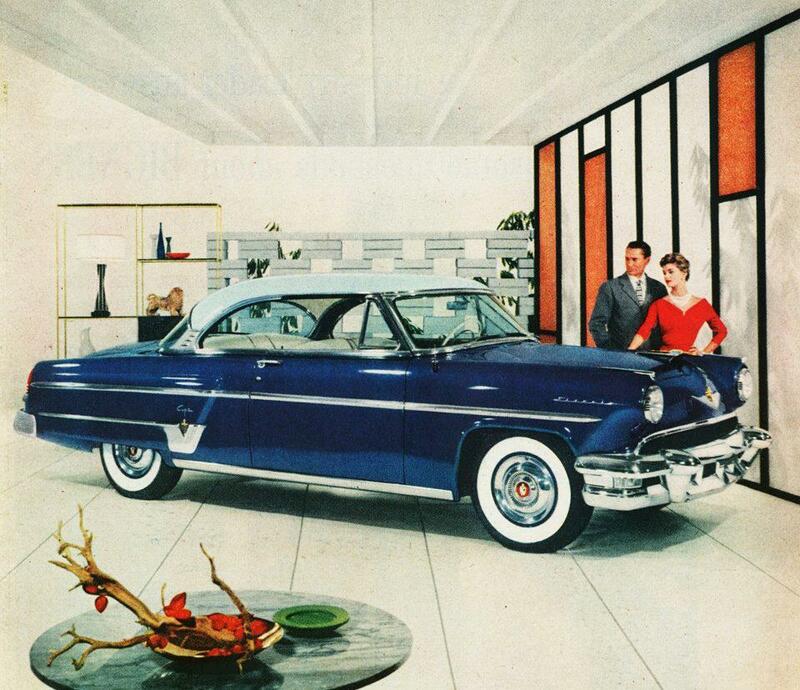 Due to slow sales of full-size two-door sedans, the Town Coupe was discontinued. 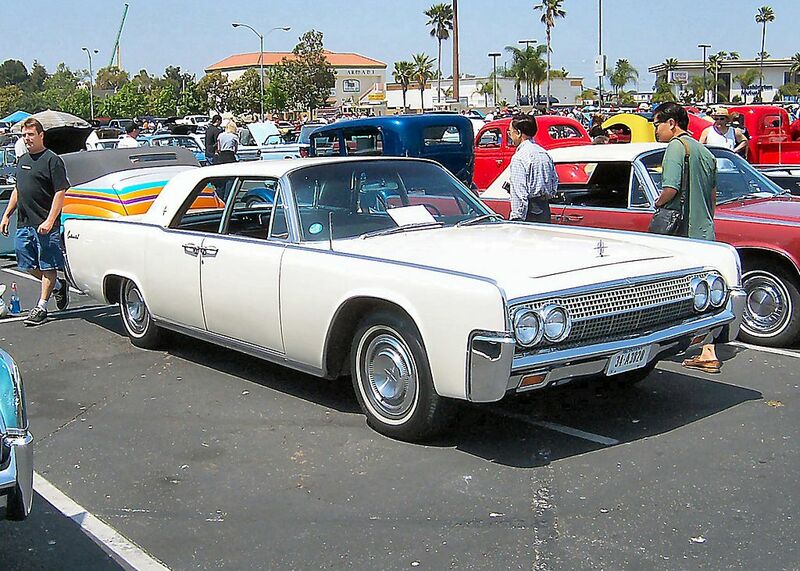 In a move to better compete with Cadillac and German imports, the Lincoln Continental was added back into the lineup. 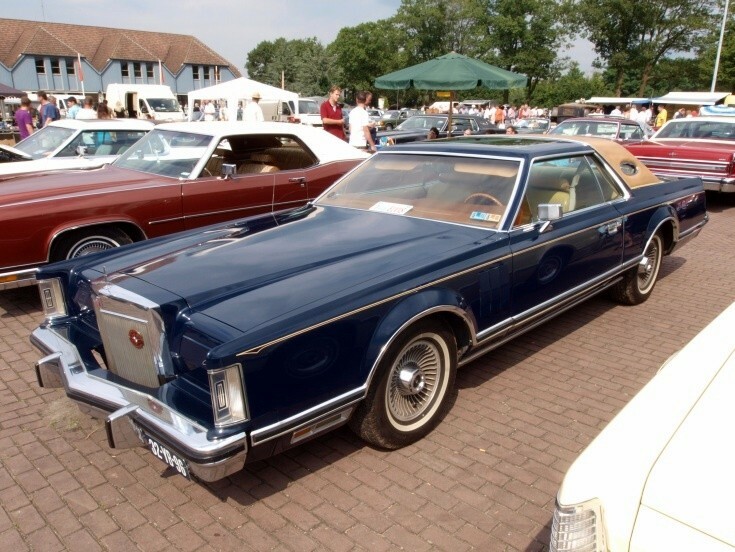 While not directly intended as a second-generation Versailles, the 1982 Continental was sized comparably to the Cadillac Seville. 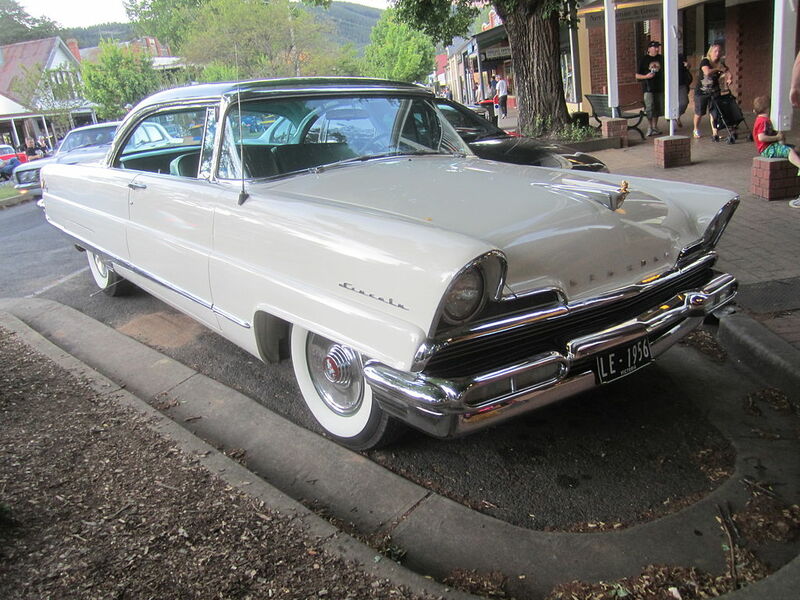 As it shared the chassis with the Ford Thunderbird/Mercury Cougar, it maintained the use of rear-wheel drive. 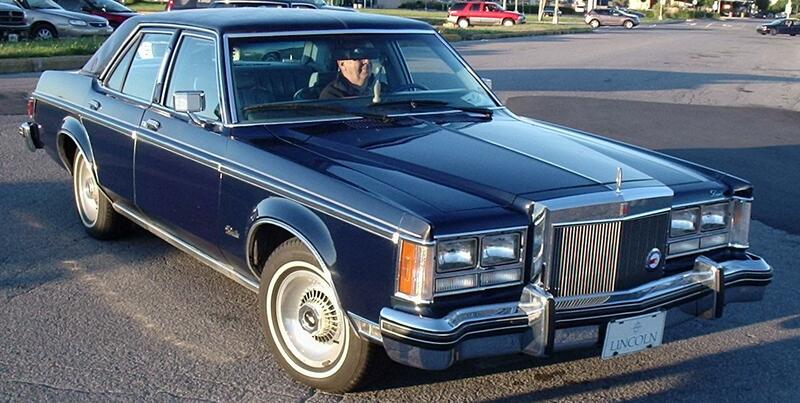 The 1982 Continental would also serve as the basis for the next Mark, the 1984 Continental Mark VII. 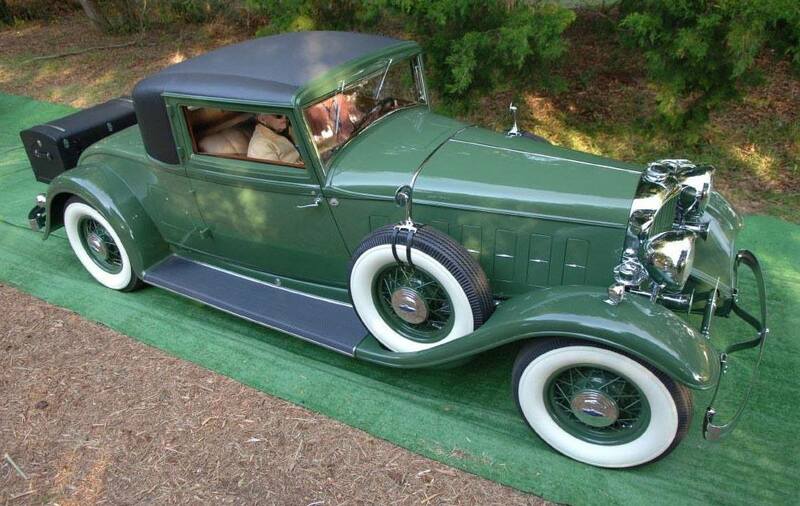 Nearly a yard shorter than the Mark V, the Mark VII was benchmarked against European coupes. 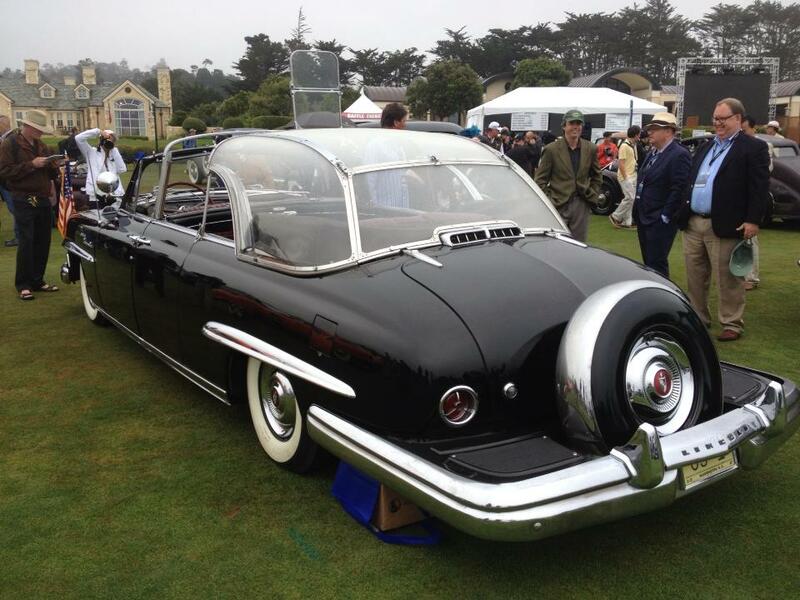 A far more advanced design than its predecessor, the Mark VII was equipped with 4-wheel air suspension and 4-channel ABS (the first American car to do so); the first Mark since the Mark II with exposed headlights was also the first American-legal car to be sold with composite headlights. 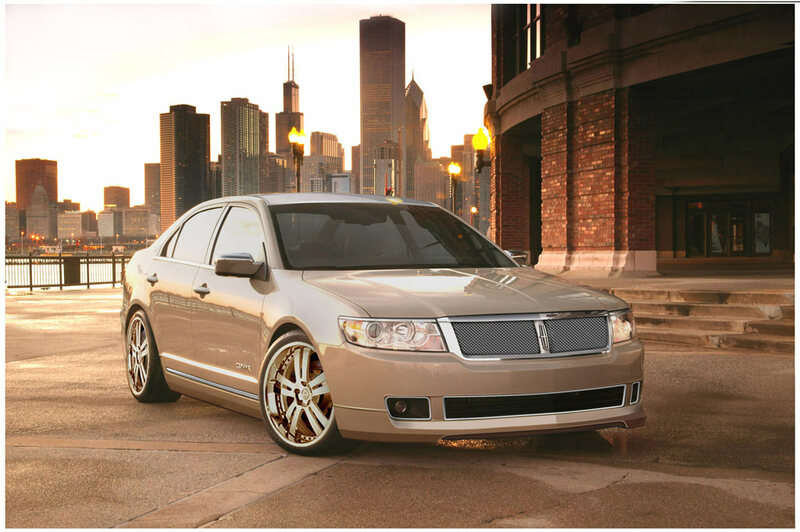 To transition into the 1990s, Lincoln further distinguished and modernized its model lines. 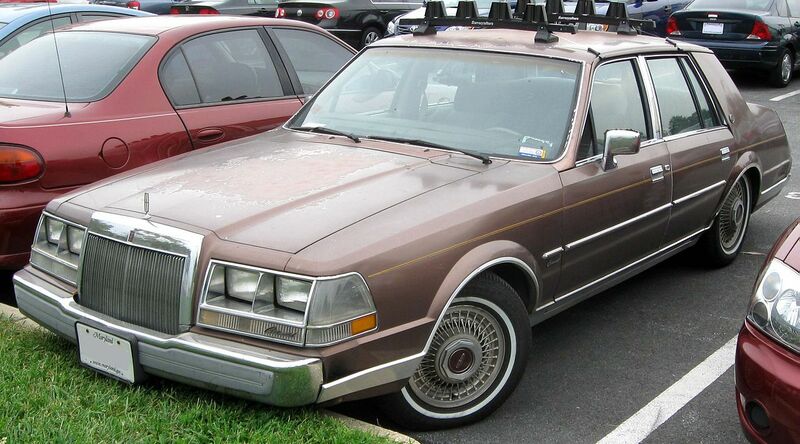 In 1988, the Continental was given a ground-up redesign, becoming the first front-wheel drive Lincoln. 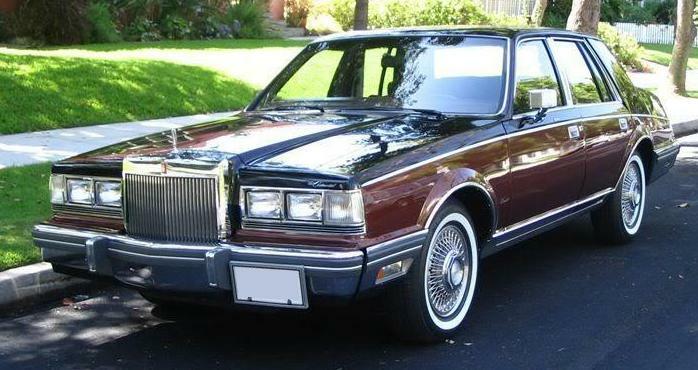 Sharing a chassis with the Ford Taurus and Mercury Sable, the 1988 Continental was larger than its predecessor; it was also the first Lincoln since 1949 without a V8 engine available. 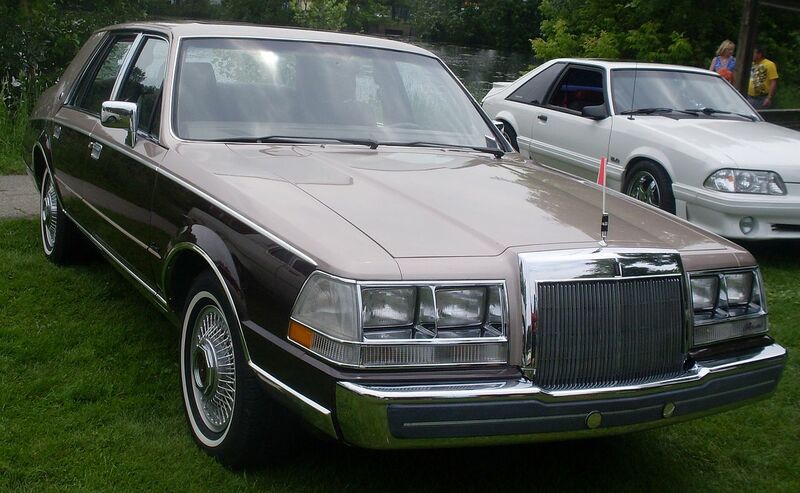 Unlike nearly all of its competition, the Lincoln Town Car had remained in production throughout the 1980s relatively unchanged. 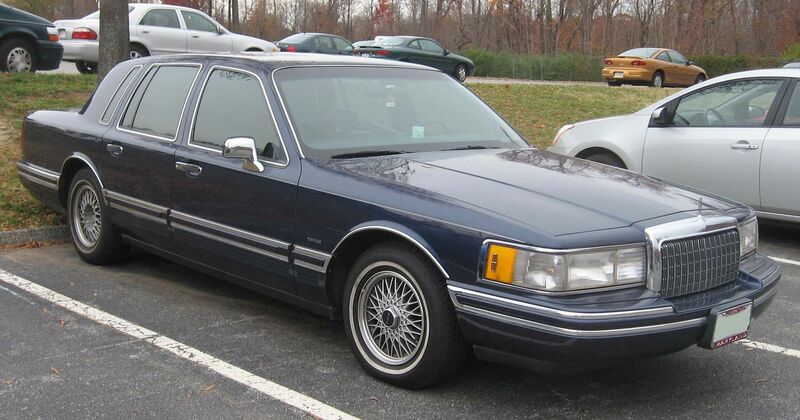 In 1990, it too saw a major update as it was given an all-new body and interior echoing the Mark VII and the Continental; a positive reception in the marketplace led to its naming of the 1990 Motor Trend Car of the Year. 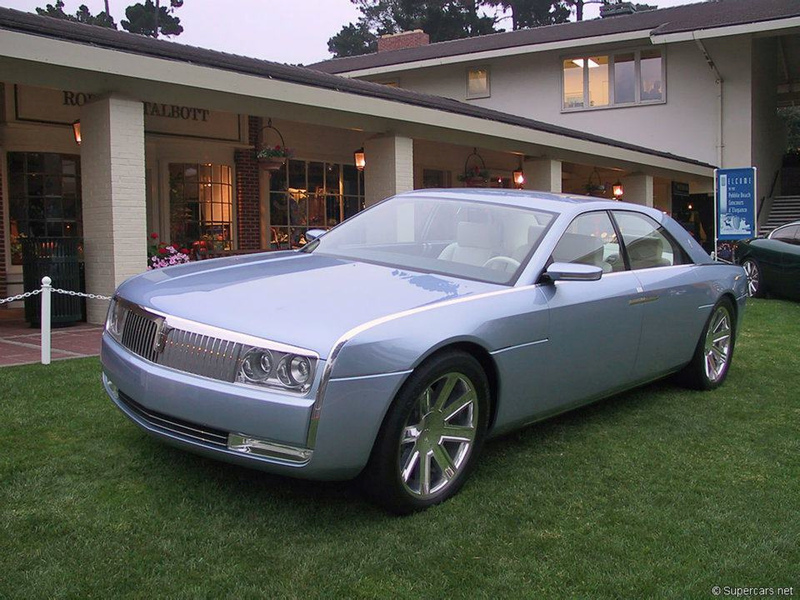 In 1991, the Town Car was fitted with the first overhead-cam 8-cylinder engine in an American car since the Duesenberg Model J. 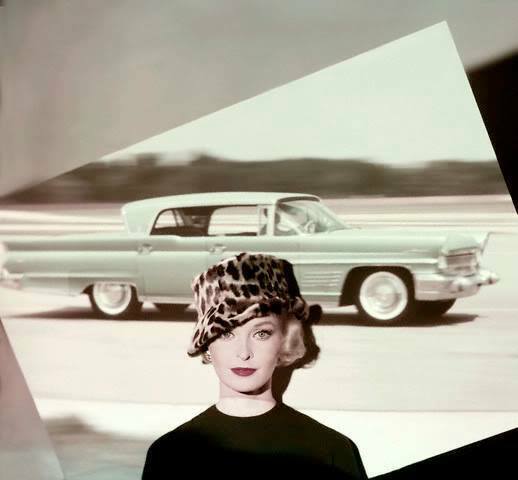 As a division, Lincoln led Ford Motor Company (and the American luxury segment) with the integration of safety features. 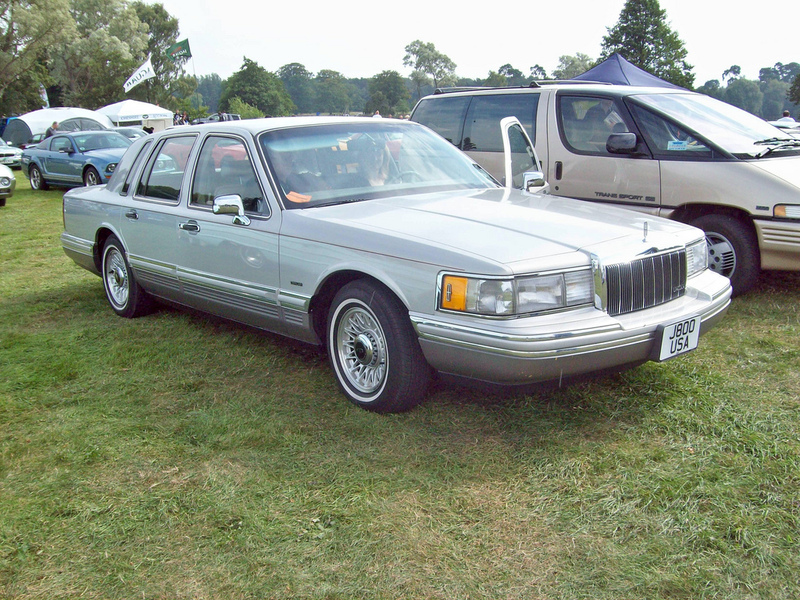 Dual airbags became standard in the Continental in 1989 and the Town Car for 1990; ABS was standard on the Continental in 1988 and Town Car in 1992. 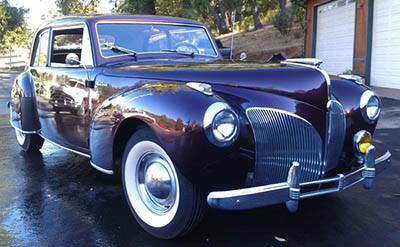 In 1993, the 9 year-old Mark VII was replaced by the Mark VIII. 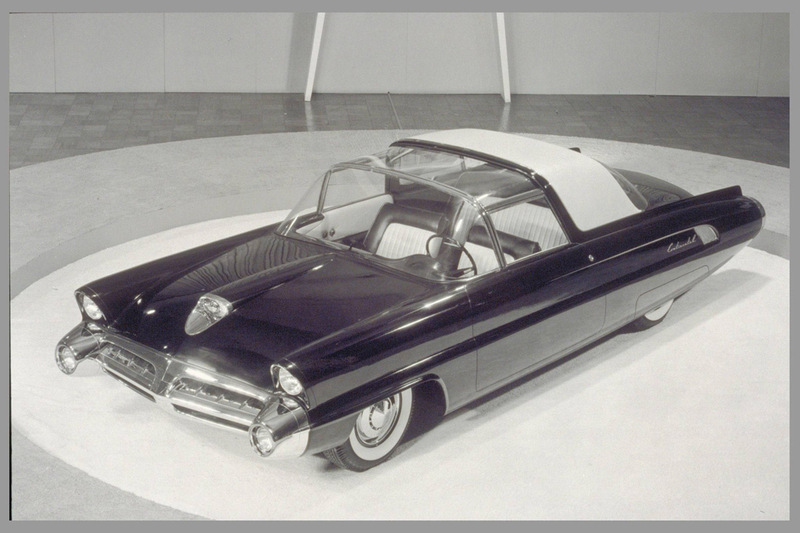 The first Mark branded without the “Continental” nameplate, the Mark VIII again shared an all-new chassis with the Ford Thunderbird and Mercury Cougar; they were the only American-produced rear-wheel drive 4-seat cars with independent rear suspension at the time. 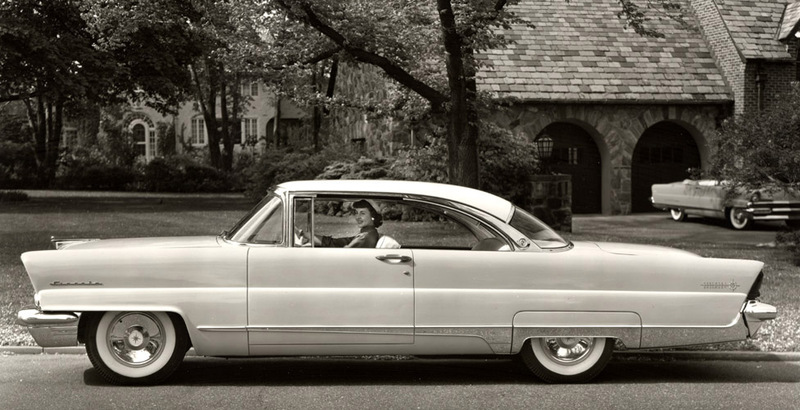 While carrying over the basic body profile from the Mark VII, the Mark VIII was radically streamlined, relegating the spare tire hump to vestigial status. 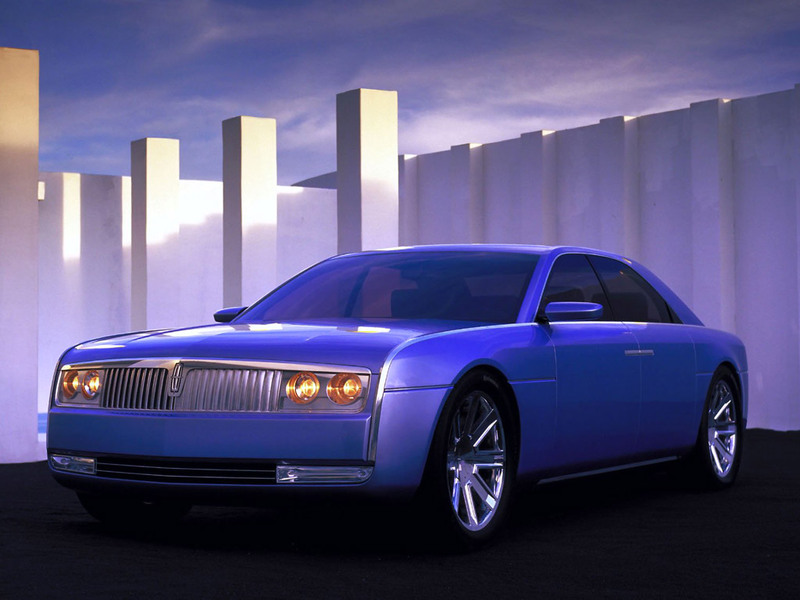 The styling of Mark VIII would carry on into the rest of the Lincoln lineup; it would inspire the much of the design of the 1995 Continental. 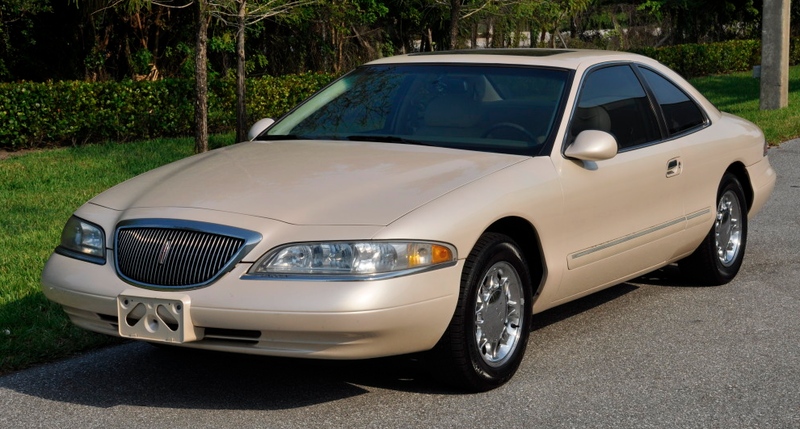 While the exterior remained nearly unchanged, the radical interior of the Mark VIII would have some influence on the 1995 redesign of the Town Car, as well as other Ford products. 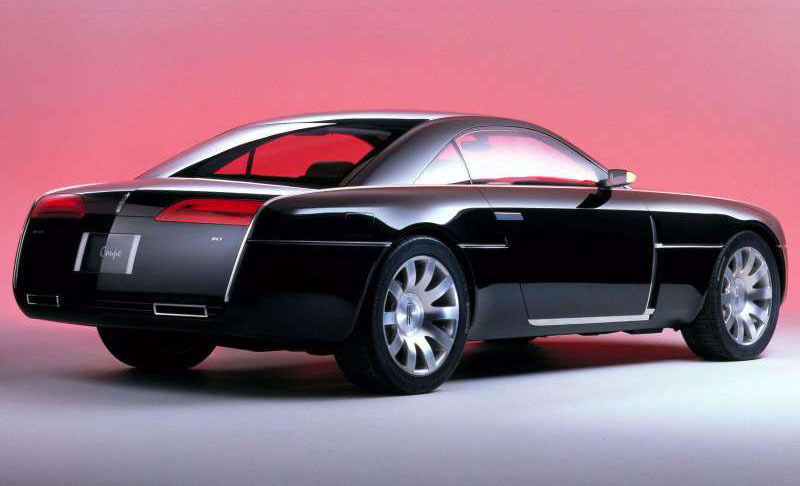 While positively received, the personal-luxury coupe segment that the Mark VIII competed in was in decline, leading to its discontinuation after the 1998 model year. As of the 2014 model year, it is currently the last of the Mark series. 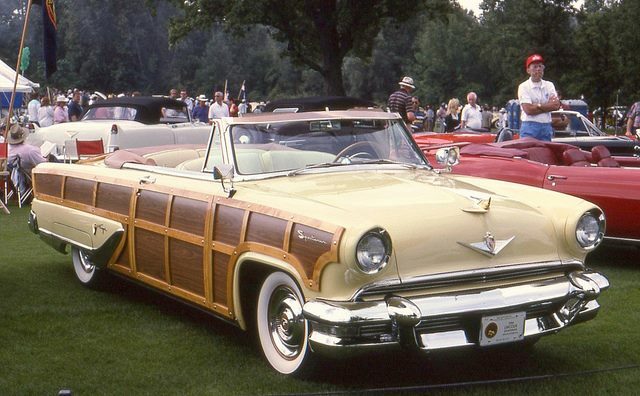 During the 1990s, Lincoln had fallen behind Japanese, European, and American competitors, primarily due to an aging product lineup. 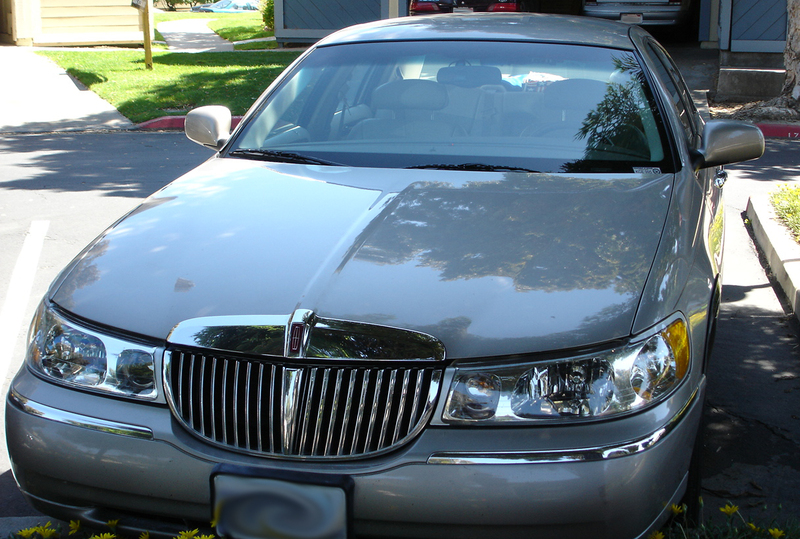 In 1998, the Lincoln-Mercury division underwent a major change as it became part of the operations of Ford Motor Company’s Premier Automotive Group; PAG was a division meant to oversee the collective operation of the global Ford luxury-vehicle brands. 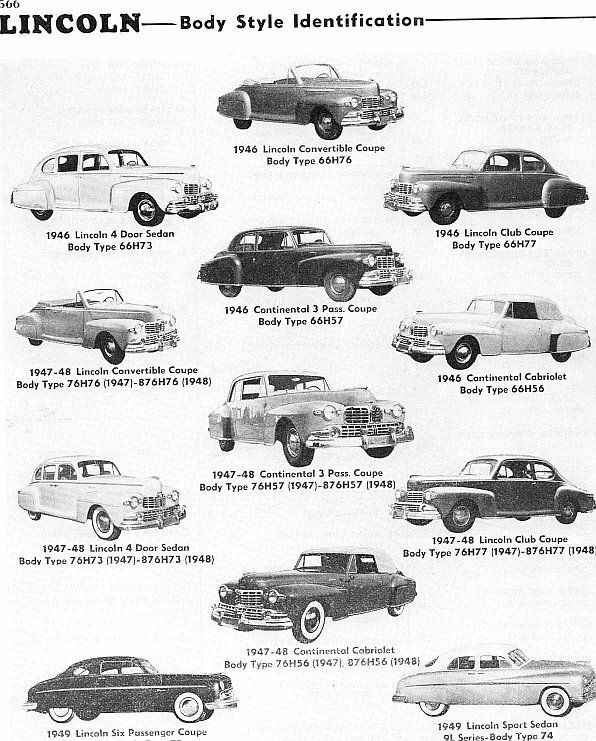 This allowed Lincoln to develop models alongside import car companies owned by Ford (Jaguar, Volvo). 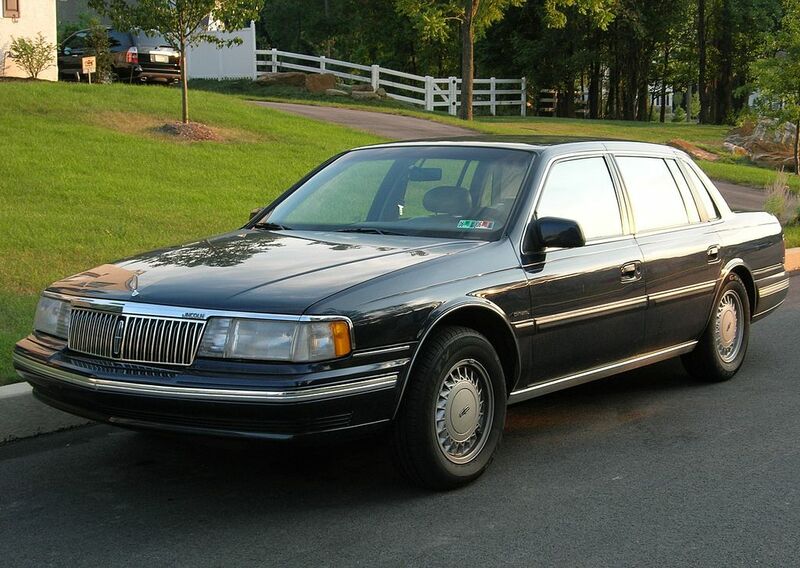 For 1998, the Town Car and Continental underwent major styling updates. 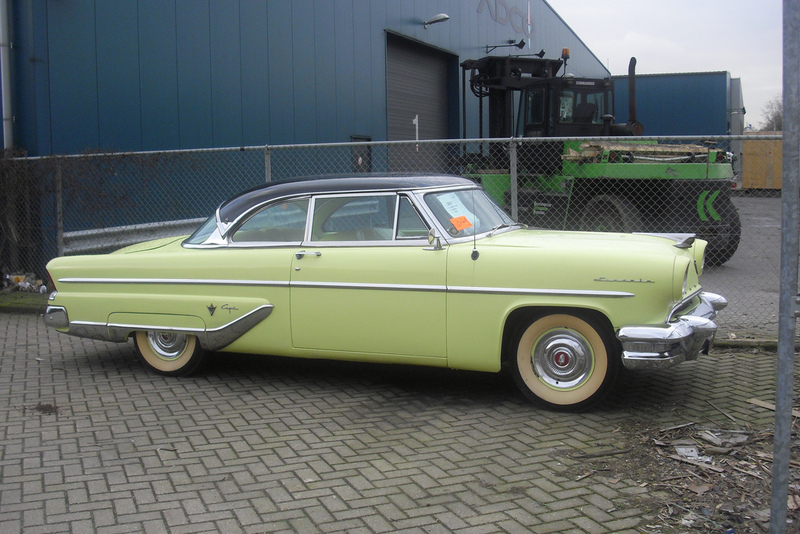 Coinciding with the integration into PAG, the styling of the Town Car would bear a slight European influence in its design. 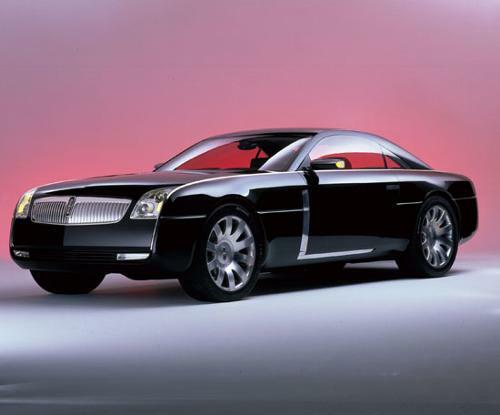 For 2000, the products of the PAG alliance came to market as Lincoln introduced its smallest car ever, the LS. 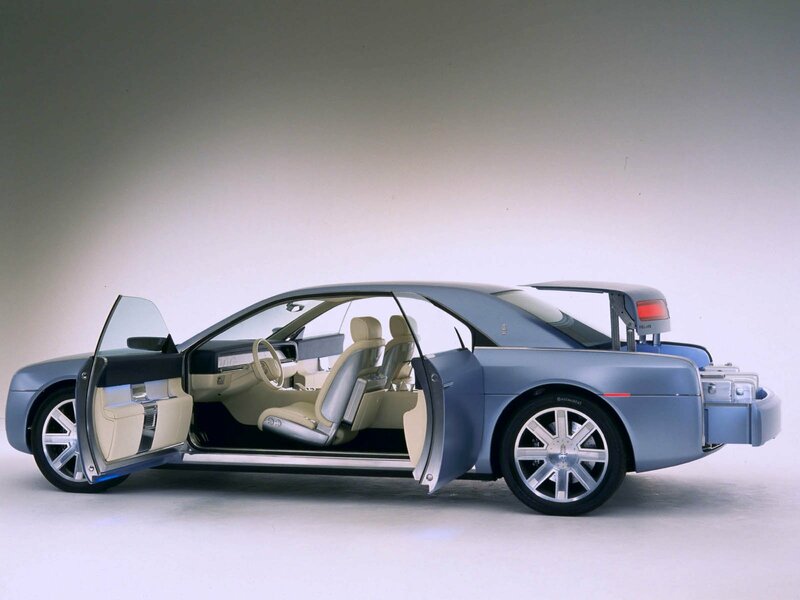 A mid-size sports sedan sharing a common chassis developed with Jaguar, the LS was unofficially the replacement for the Mark VIII. 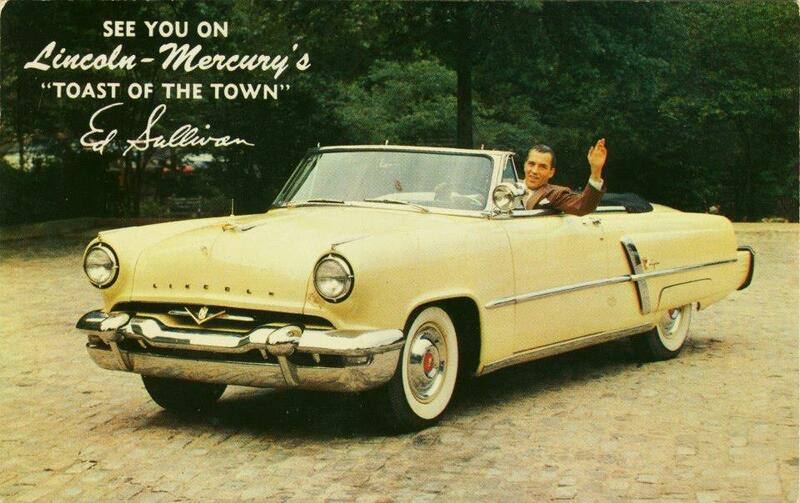 In 2002, after 52 years of production, the Continental nameplate was retired. 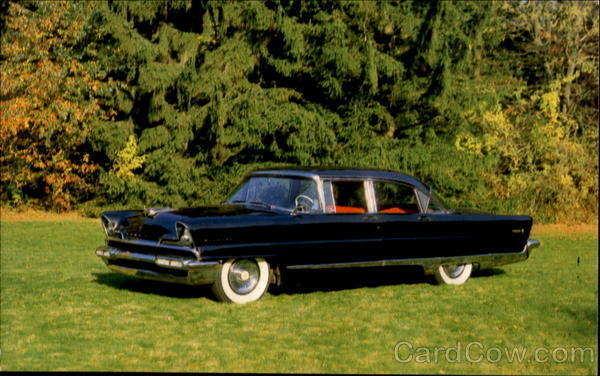 Having grown largely identical in size and styling to the Town Car, the role of the Continental was taken over by the LS. 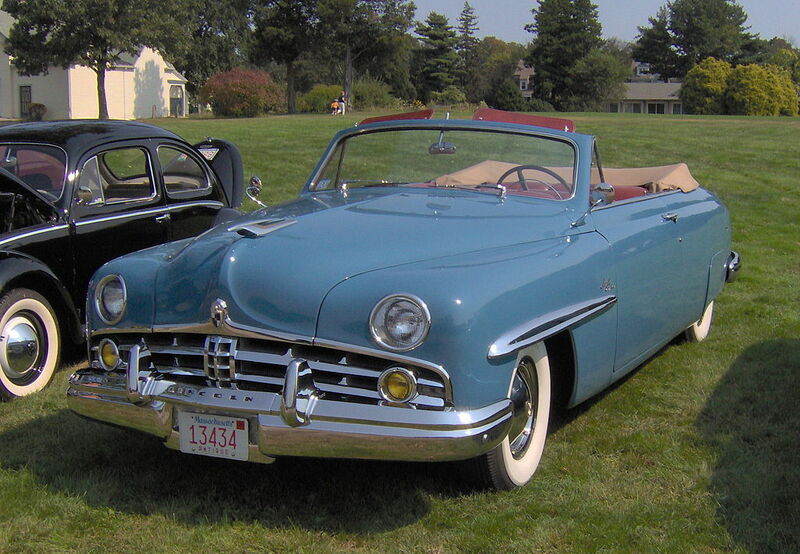 The same year, as Ford re-strategized the role of Premier Automotive Group, the Lincoln-Mercury Division was removed from PAG. In 2005, Ford developed The Way Forward restructuring plan. 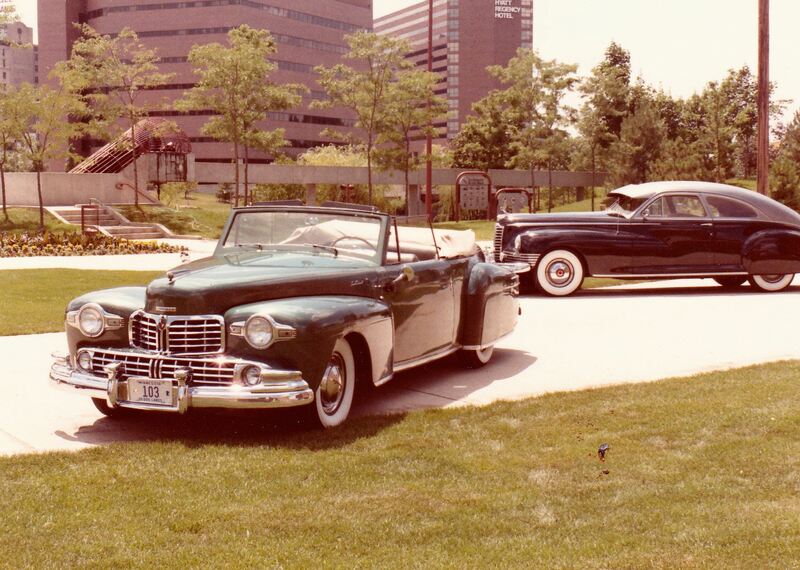 As part of the plan, the Wixom Assembly Plant, the assembly point of all Lincoln cars since 1957 (aside from the Versailles) was slated for closure. Consequently, the LS was discontinued after 2006. 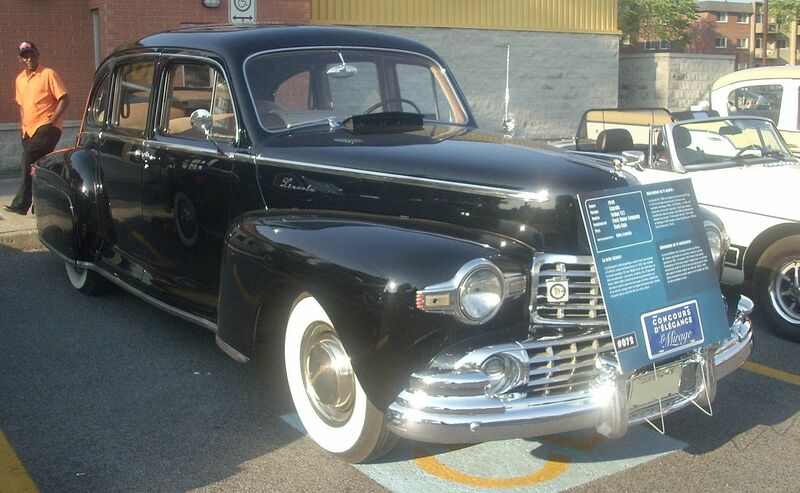 Town Car production joined that of the Ford Crown Victoria and Mercury Grand Marquis in St. Thomas, Ontario. In 2011, as part of the closure of that facility, the Town Car was discontinued. 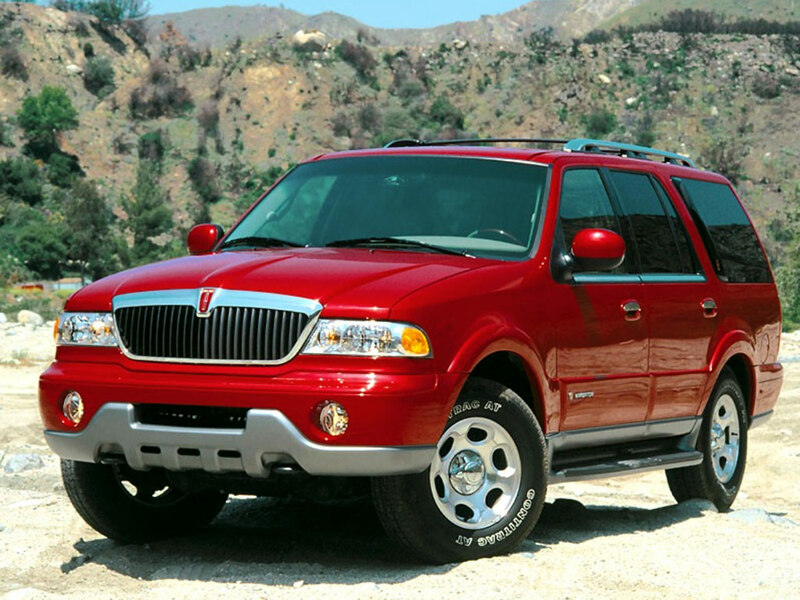 For 1998, Lincoln introduced its first sport-utility vehicle, the Navigator. A restyled Ford Expedition, the Navigator was the first all-new Lincoln product line since the Versailles. 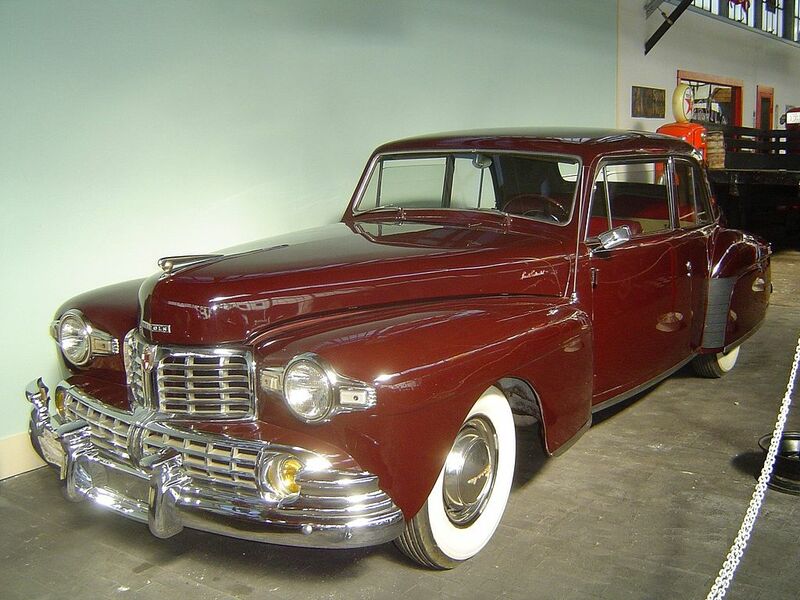 The Navigator met with a positive reception in the market, leading to the introduction of the Cadillac Escalade. 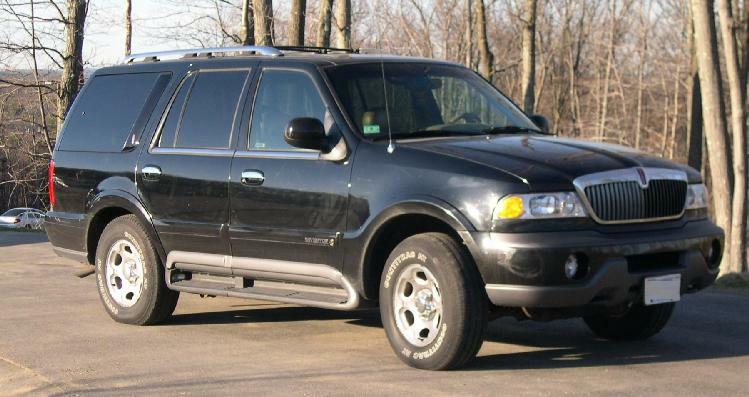 In 2003, the Aviator was introduced; based on the Ford Explorer, the Aviator was styled like a scaled-down version of the Navigator. However, its high price would lead to low sales. 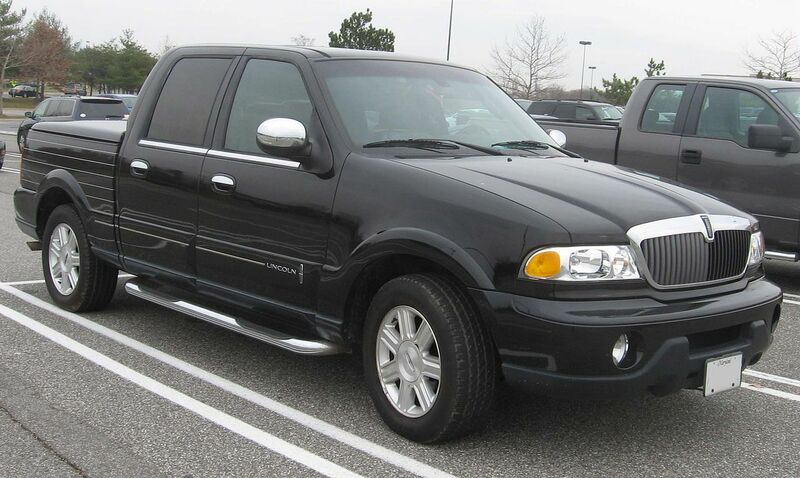 In 2002, the Blackwood was introduced; based on the Ford F-150 SuperCrew with Lincoln Navigator front sheetmetal, the Blackwood wore a customized cargo box redesigned as a trunk. As the name suggested, Blackwoods were only painted black from the factory. Slow sales led to its cancellation after only one year in the US market. In 2005, the Mark LT replaced the Blackwood. While still fitted with luxury trim, the Mark LT had two things unavailable on the Blackwood: 4-wheel drive and a proper pickup bed. While more successful than its predecessor, the Mark LT was not included as part of the F-Series redesign for 2009 (in the United States); it continues to be sold in Mexico. 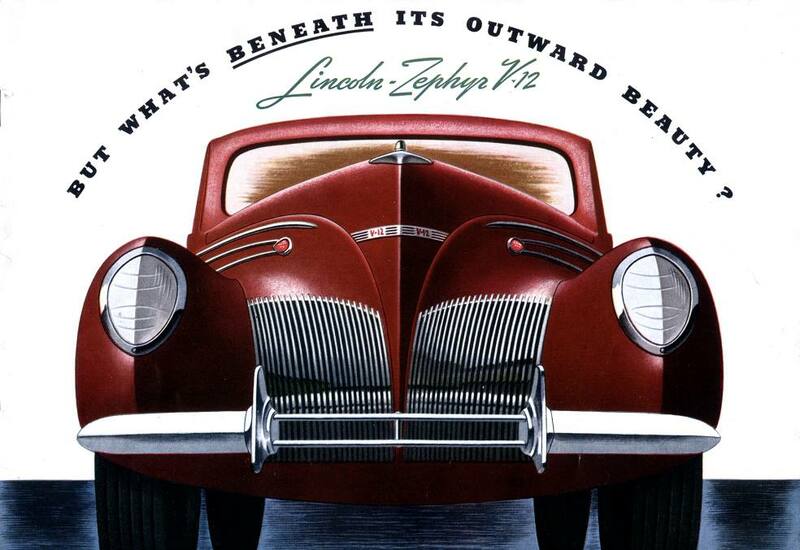 In 2006, Lincoln introduced an all-new mid-size sport-sedan, reviving the Zephyr nameplate. 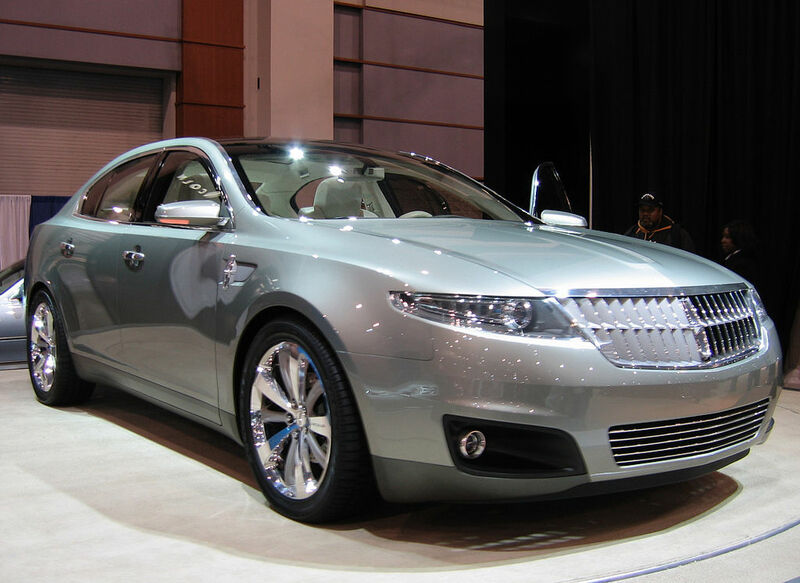 For 2007, as part of a minor revision, Lincoln changed the name to MKZ. 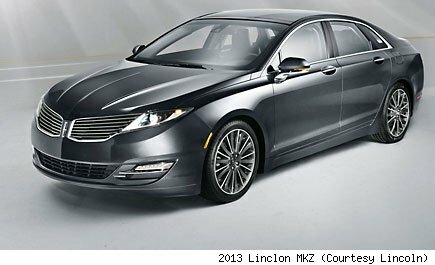 Sharing the nomenclature with a 2004 concept car, MKZ (“emm-kay-zee”) would begin a transition of the Lincoln model lineup. 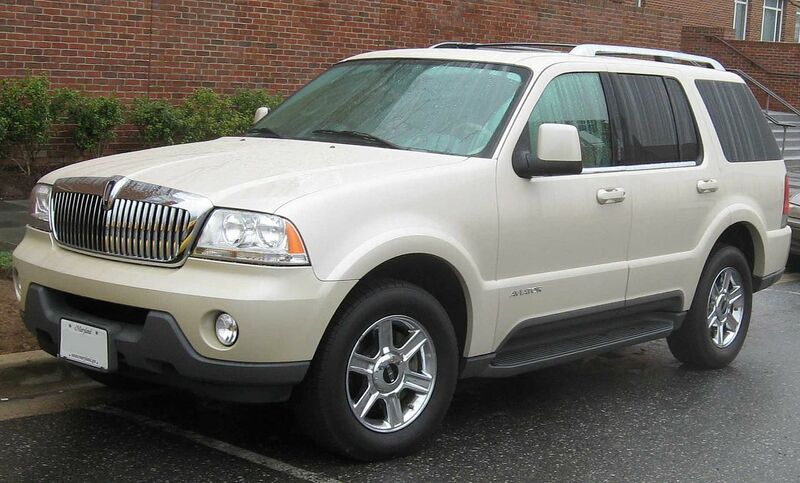 For example, the 2007 MKX crossover SUV had been shown in concept form as a future Lincoln Aviator; however, in production form, it was renamed and based upon the Ford Edge. 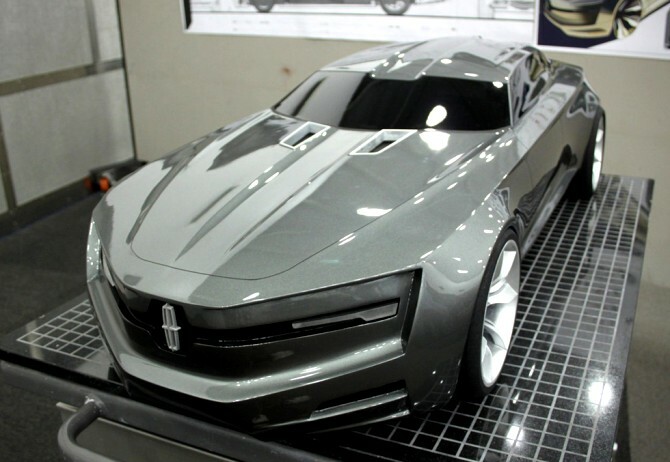 The 2007 Lincoln MKR concept car debuted what would become a major styling feature of contemporary Lincolns: a split “bow-wave” grille, influenced in part by the original Lincoln Zephyr; it marked the debut of the Ford EcoBoost V6. 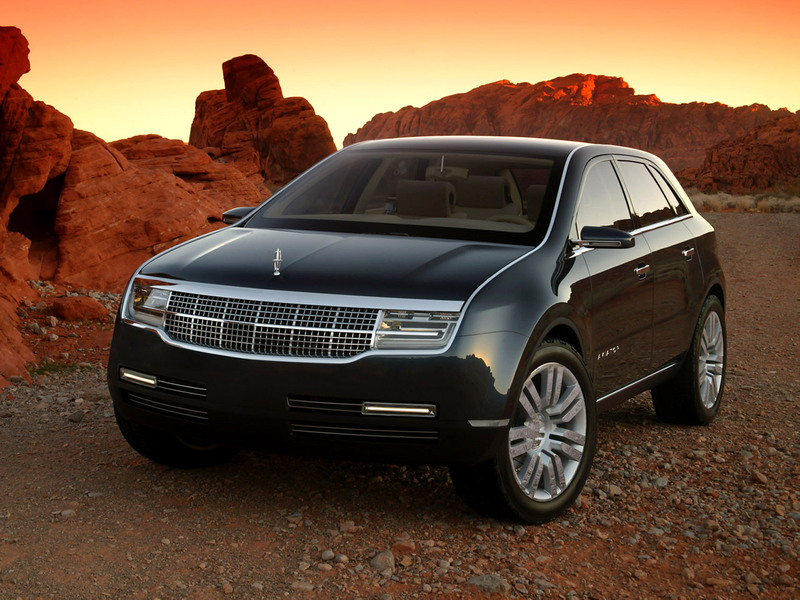 In 2009, Lincoln introduced the MKS, largely the replacement for the Town Car. 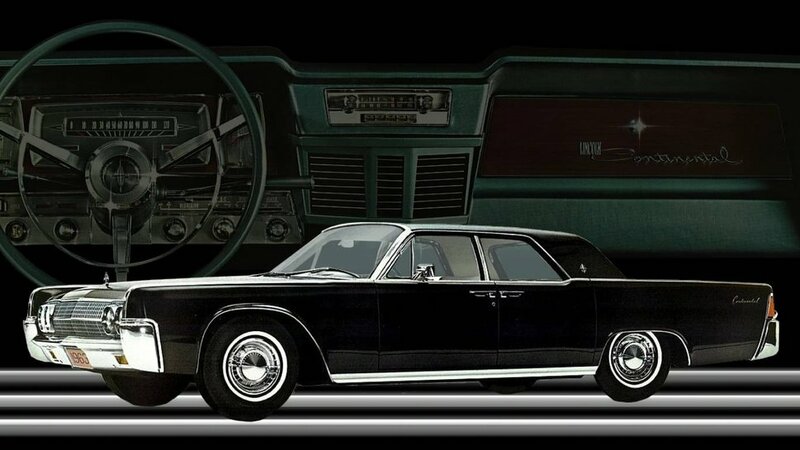 Approximately the same size as the 2002 Continental, the MKS uses the Ford D3 platform derived from Volvo P2 shared with the Ford Taurus. 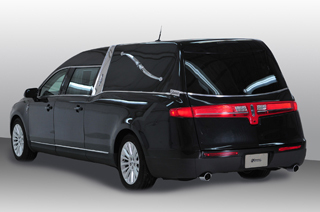 For 2010, the MKT was introduced; it is a full-size crossover SUV sharing a chassis with the Ford Flex. 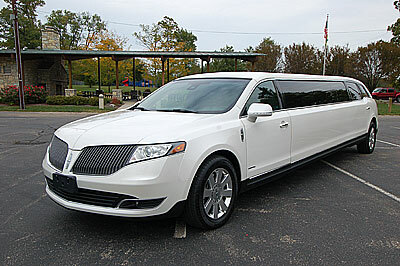 Although the MKT has no direct predecessor, Lincoln developed variants of it specialized for livery and limousine use; these have been badged as Lincoln MKT Town Cars. 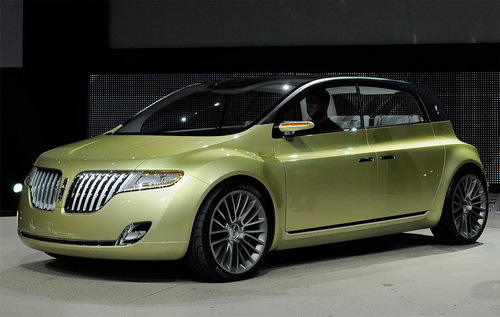 On December 3, 2012 Ford changed the name of the Lincoln division to The Lincoln Motor Company. 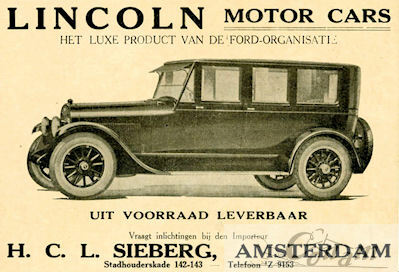 To help differentiate Lincoln-branded products from Ford-branded products, Ford established unique design, product development and sales teams for Lincoln. 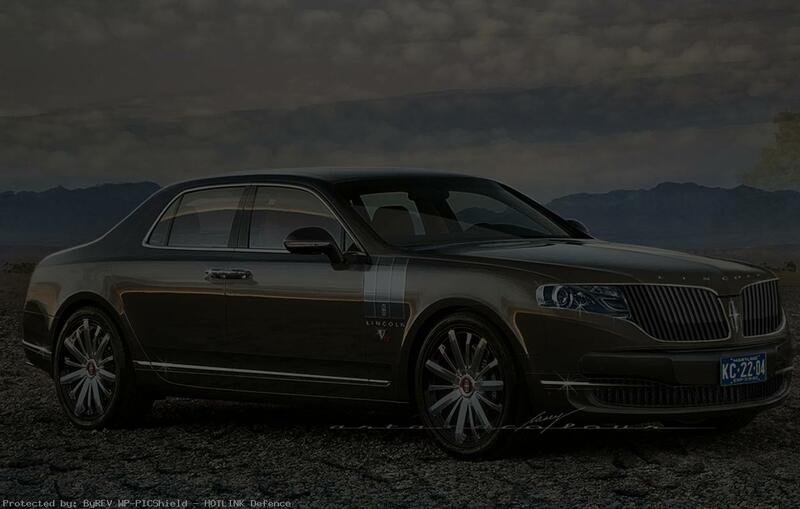 In addition to the name change, the Lincoln Motor Company will introduce several all new vehicles in the years to come. 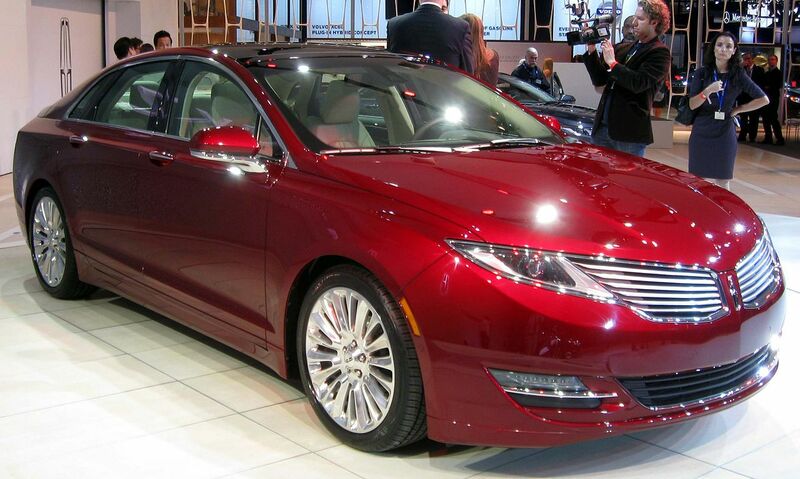 The first of these new vehicles was the second-generation MKZ, which went on sale in early 2013. 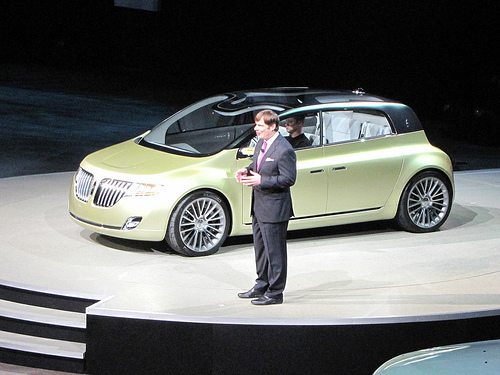 Ford appointed Jim Farley to lead the Lincoln Motor Co.
Lincoln achieved its two best sales years to date in 1989 (200,315) and 1990 (231,660) thanks largely to the continuing popularity of the redesigned Continental, introduced in December 1987, and success of the redesigned Town Car introduced in October 1989. 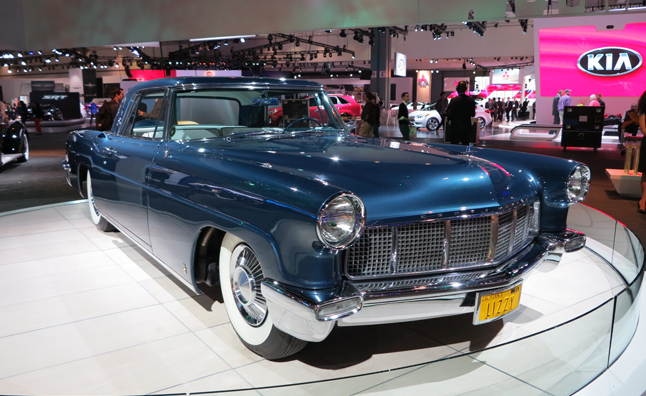 Lincoln would go on to beat Cadillac in sales in 1998 and again in 2000 but, like other domestic brands, Lincoln sales declined over the next several years. Ford hopes to increase the brand’s sales to 162,000 vehicles by 2015 with the introduction of seven all-new or significantly redesigned models. 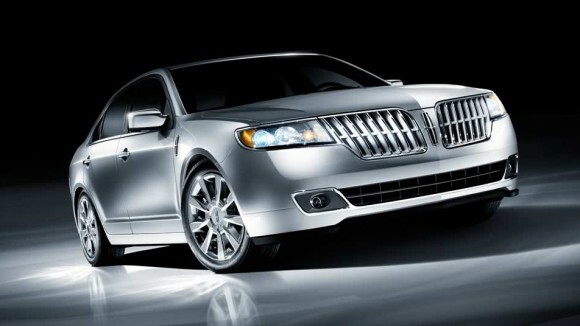 Lincoln vehicles are officially available in Bahrain, Canada, Jordan, Kuwait, Lebanon, Mexico, Oman, Qatar, Saudi Arabia, South Korea, the United Arab Emirates, the United States – and its territories: American Samoa, the American Virgin Islands, Guam, the Northern Mariana Islands, and Puerto Rico – and Yemen. 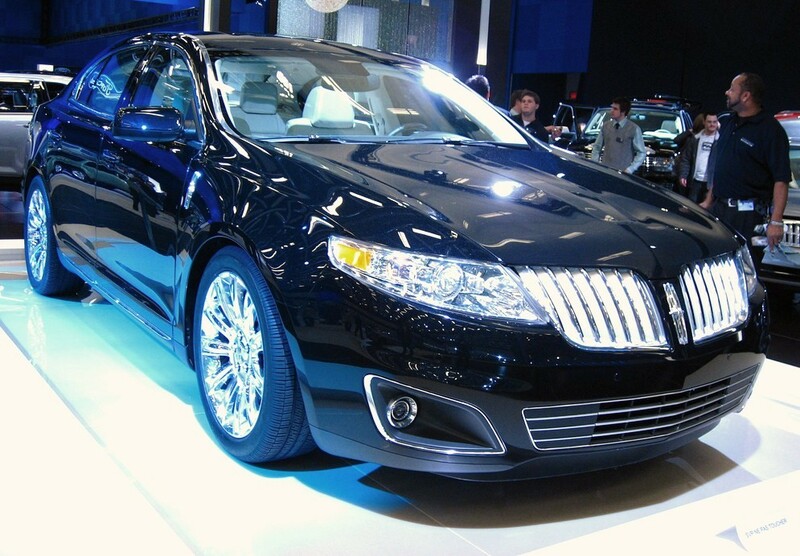 Lincoln competes with other luxury brands, like Acura of Honda, Audi of Volkswagen, Cadillac of General Motors, Infiniti of Nissan, Land Rover of Tata, and Lexus of Toyota. 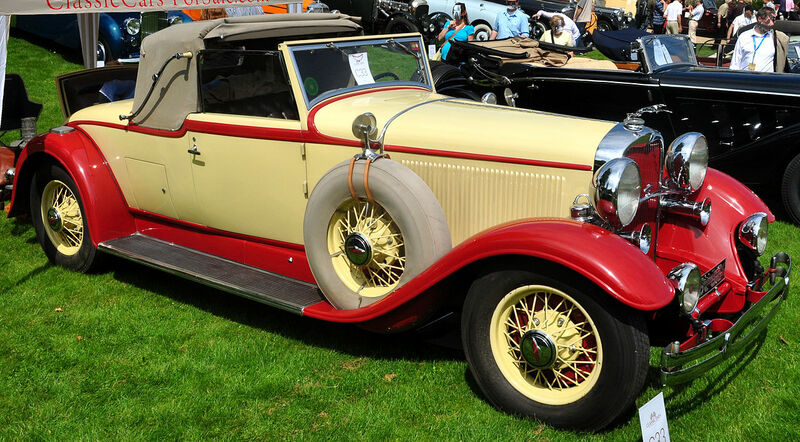 In 1927, Lincoln attached a greyhound as the hood ornament, then in the 1930s used a coat of arms with a red cross in the center and a knight’s helmet at the top as the official emblem. The introduction of a coat of arms for Lincoln coincided with the introduction of a Ford coat of arms starting in the mid-1950s. 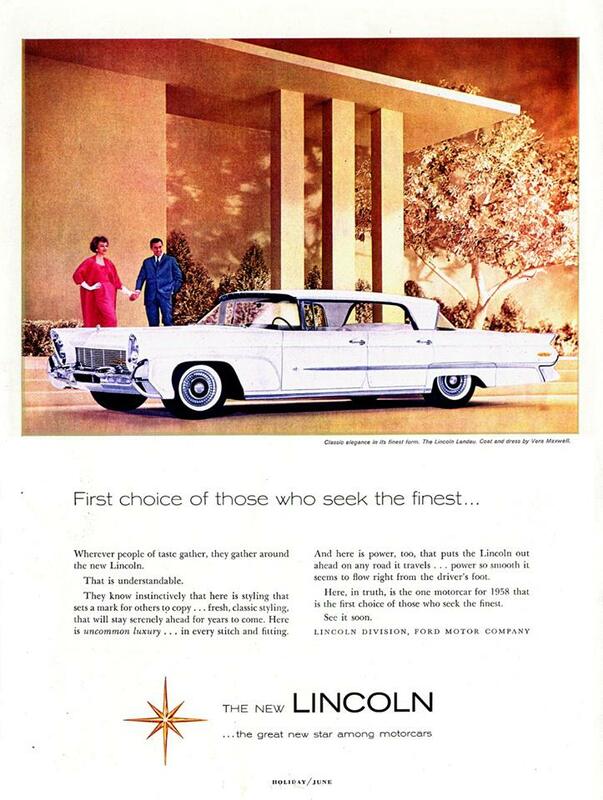 The coat of arms appeared on various Lincoln models until the mid-1950s when the coat of arms evolved into the framed, four-pointed star that is currently in use. 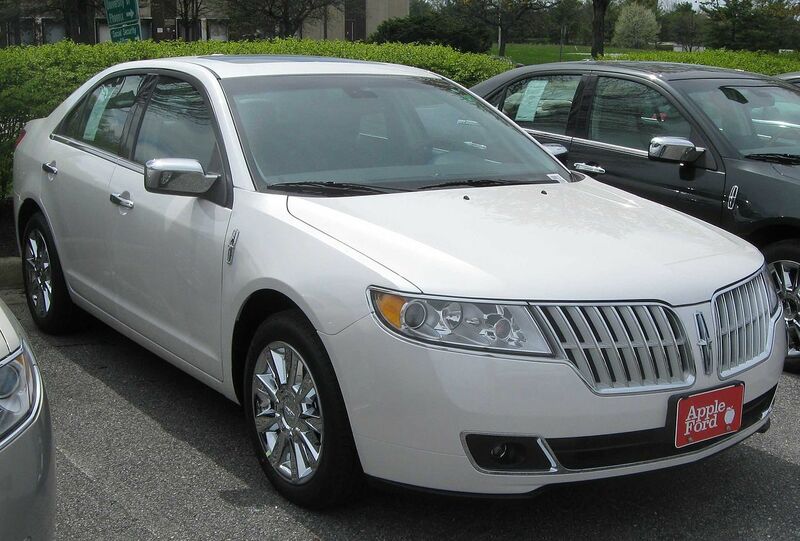 In the 2007 model year, Lincoln introduced an alphanumeric nomenclature with most models bearing a three-letter designation starting with “MK”. 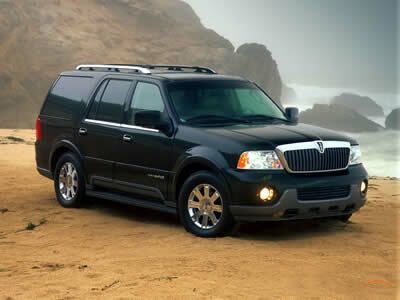 Today, only the Navigator and the Mexican-market Mark LT names remain while all other models use the new nomenclature. 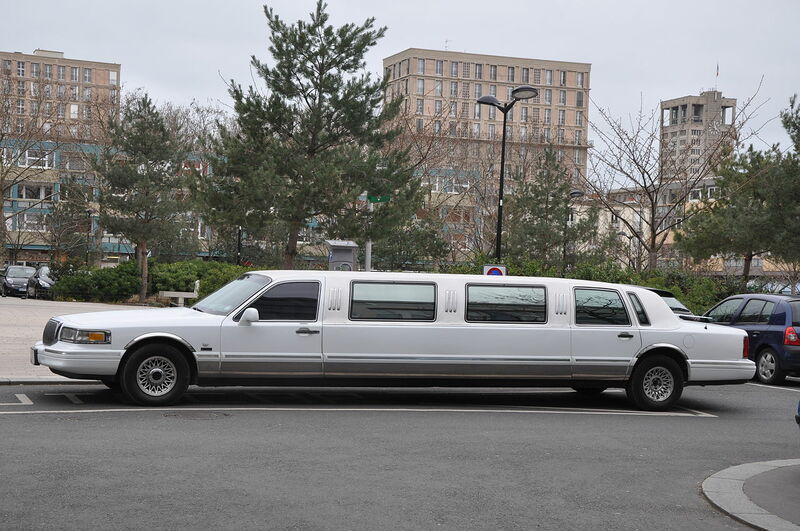 Livery and limousine versions of the MKT use the Town Car name. 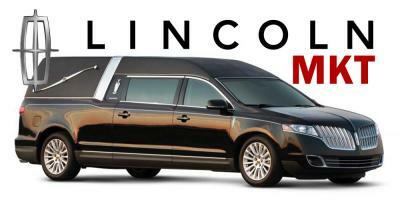 Lincoln has a long history of providing official state limousines for the U.S. President. 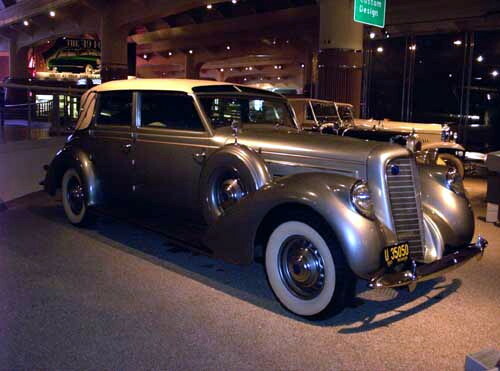 The “Sunshine Special” on display at the Henry Ford Museum. 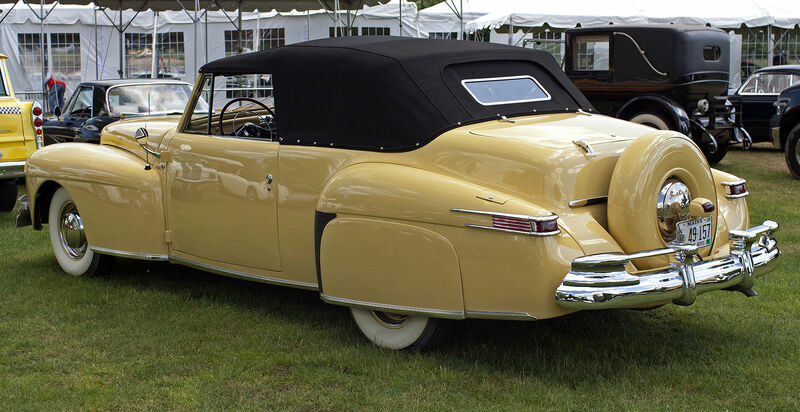 The first car specially built for presidential use was the 1939 Lincoln K-Series V12 convertible called the “Sunshine Special“, used by Franklin D. Roosevelt. It remained in use until 1948. 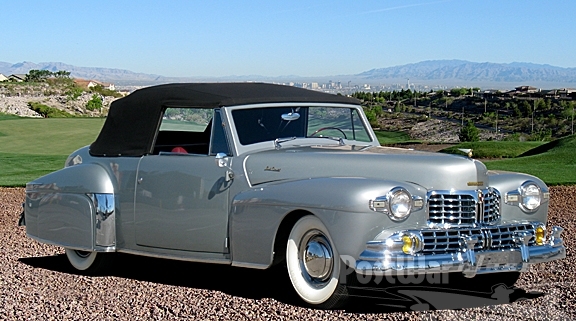 A 1950 Lincoln Cosmopolitan called the “Bubble Top” was used by Presidents Harry S. Truman, Dwight D. Eisenhower, John F. Kennedy, and once by Lyndon B. Johnson. It was retired in 1965. 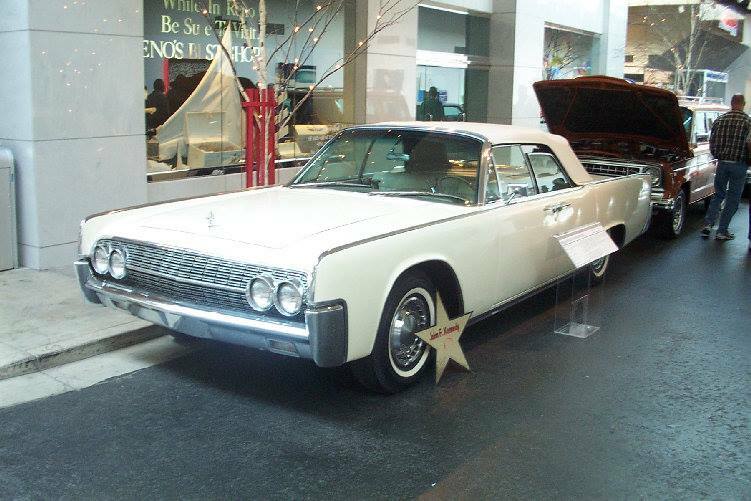 Perhaps the most famous Lincoln Presidential state car was a 1961 Lincoln Continental convertible, custom built by Hess and Eisenhart of Cincinnati, and known as the SS-100-X, designed for use by John F. Kennedy. 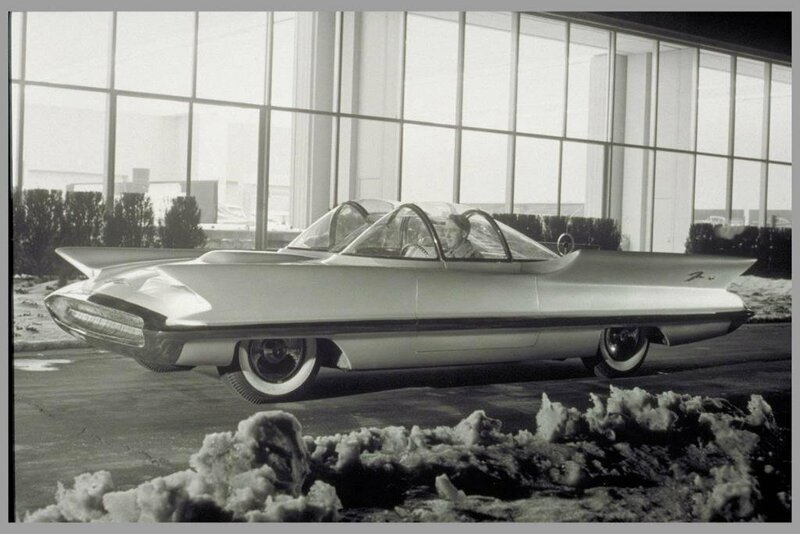 Designed to be an open-top car to give the President better visibility and a better ability to interact with citizens, it also included a “plexiglas” bubble top to be used in the event of inclement weather. 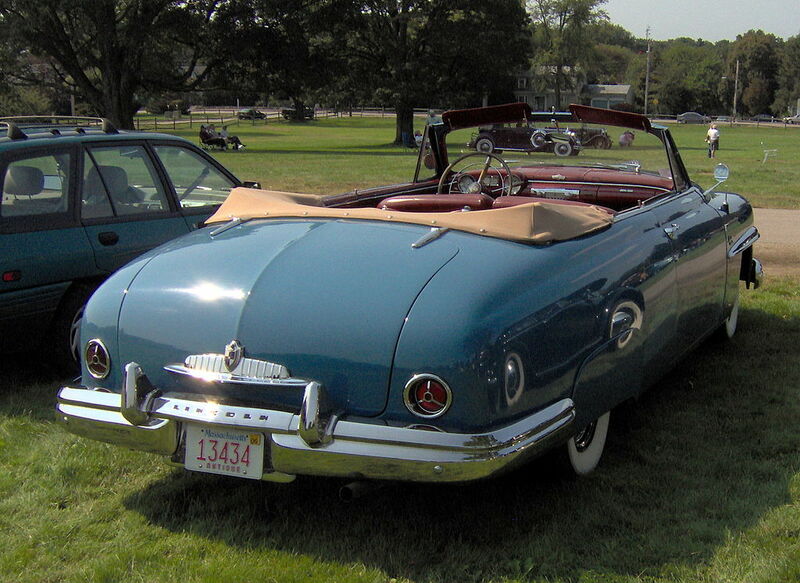 The 1961 vehicle was notorious for its inadequate cooling of the rear of the passenger cabin while the bubble top was in place, particularly in sunshine. 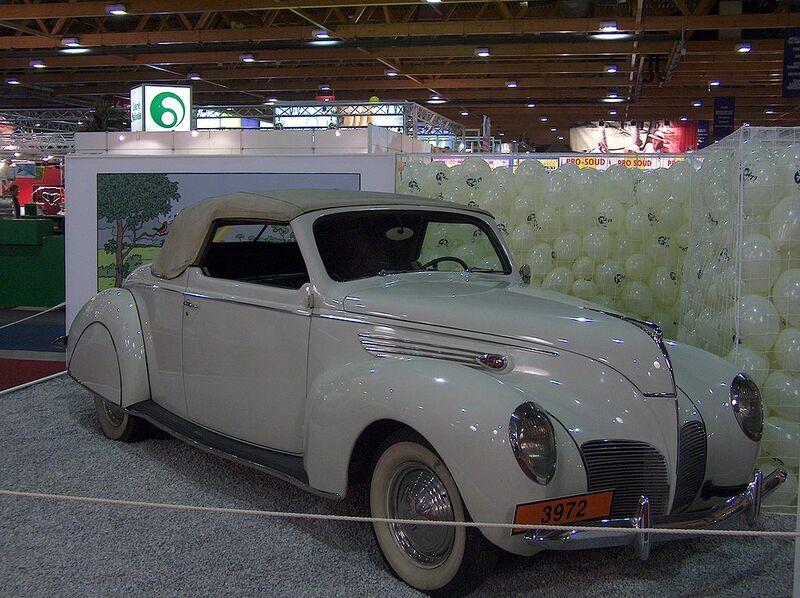 In order to prevent excessive heat and discomfort to the passengers, the top was often removed prior to parades. 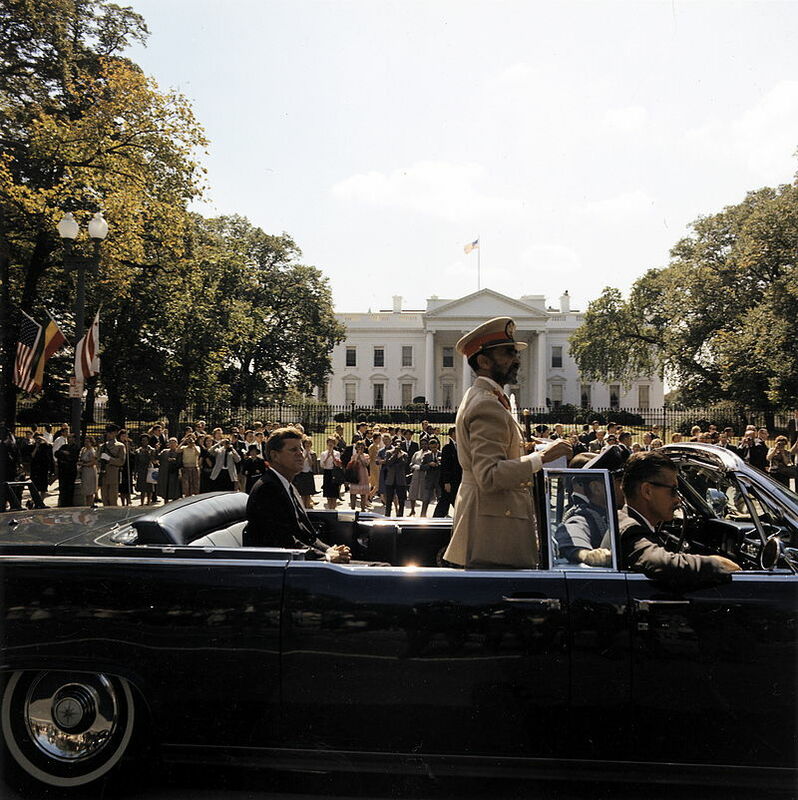 Kennedy notably used it when welcoming Ethiopian King Haile Selassie in several parades in DC and New York. 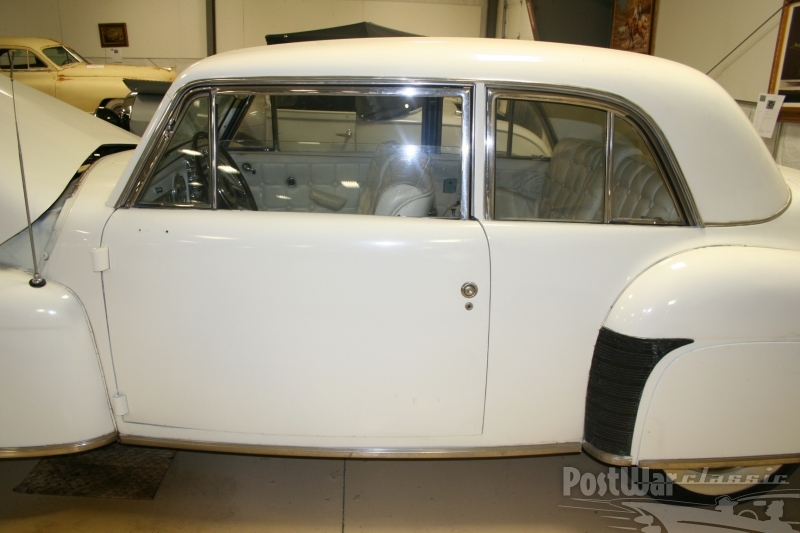 (see image above) It was in the back of this car that Kennedy was assassinated. Due to security concerns following Kennedy’s assassination, it was temporarily removed from service. 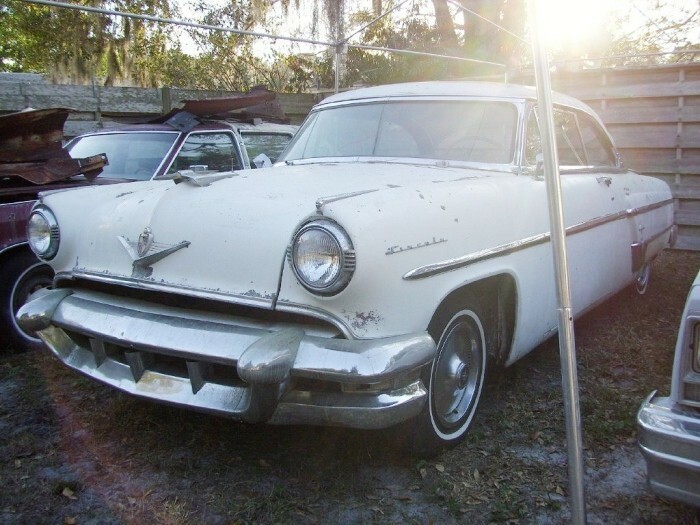 While it was once rumored that Kennedy’s successor, Lyndon Johnson, had ordered it destroyed, it instead was retrofitted with armor plating and a fixed, permanent sedan roof. 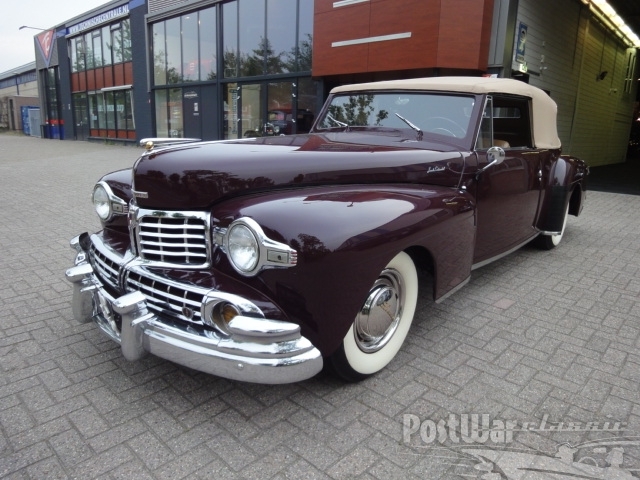 It reentered service and was used by Johnson and his successor, Richard Nixon. 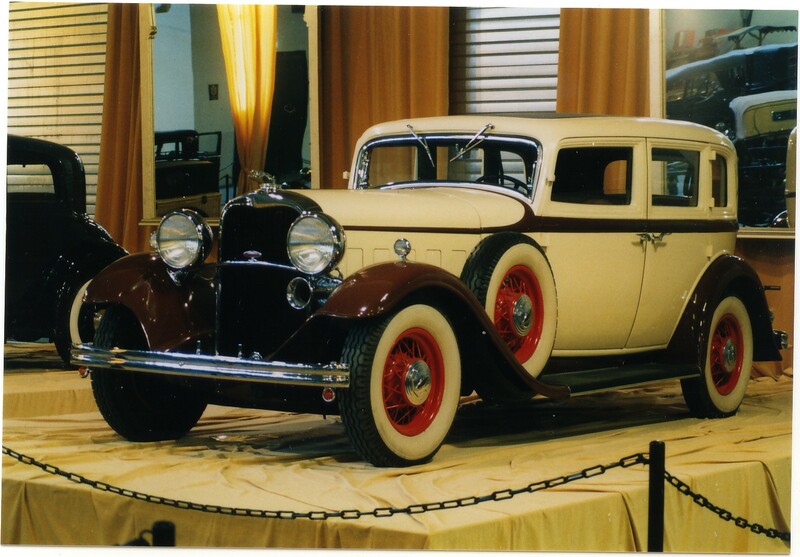 It was eventually retired in 1977 and is now on display at the Henry Ford Museum in Dearborn, Michigan. 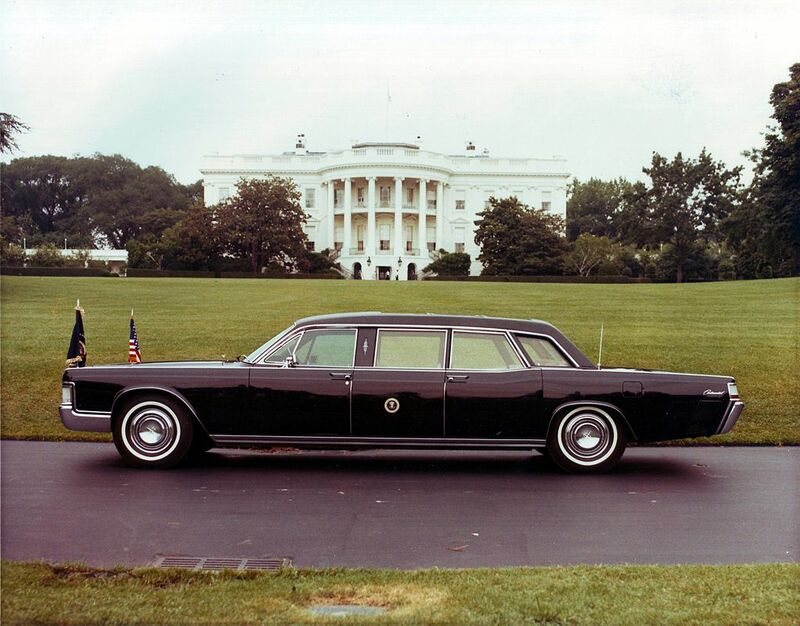 The Johnson Administration also used three 1965 Lincoln Continental Executive limousines: Two limousines for the President and one for Secretary of Defense Robert McNamara, as well as a 1968 “stretch” Lincoln to be used in Washington, D.C., and Austin, Texas. 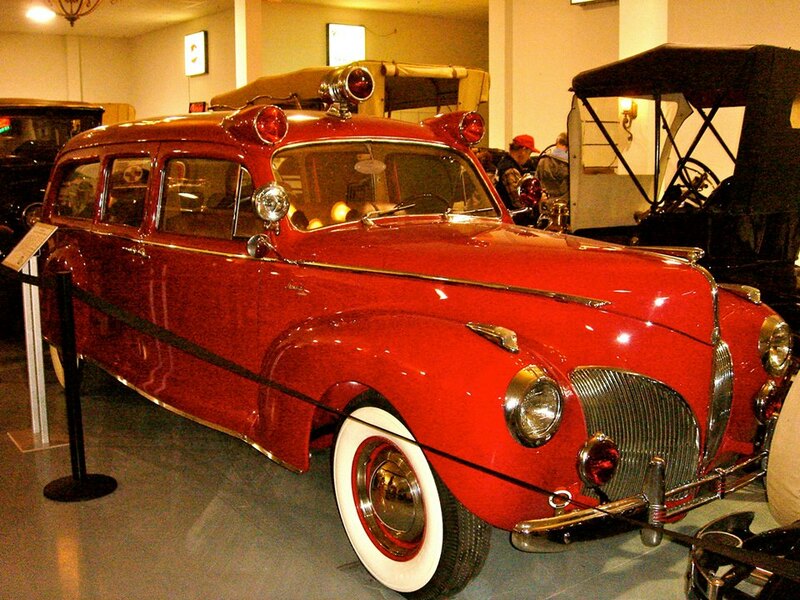 This vehicle is on display at the Lyndon Baines Johnson Library and Museum. 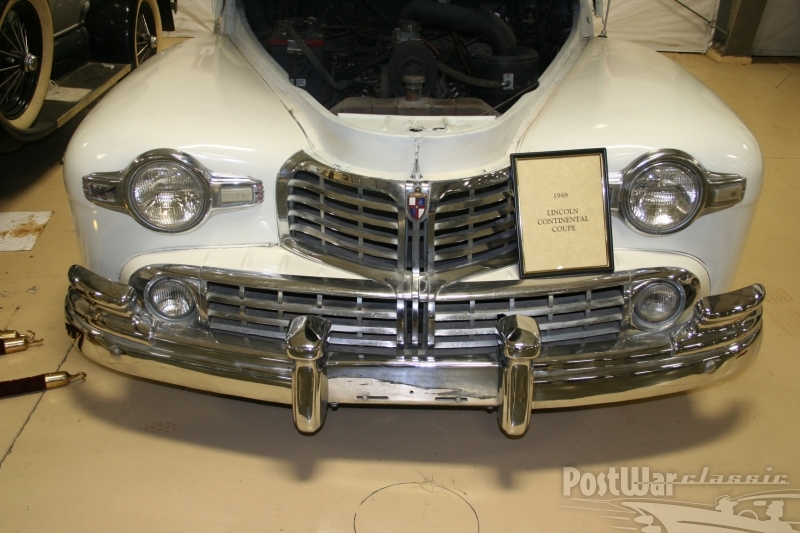 A state car based on a 1969 Lincoln was commissioned for Richard Nixon. 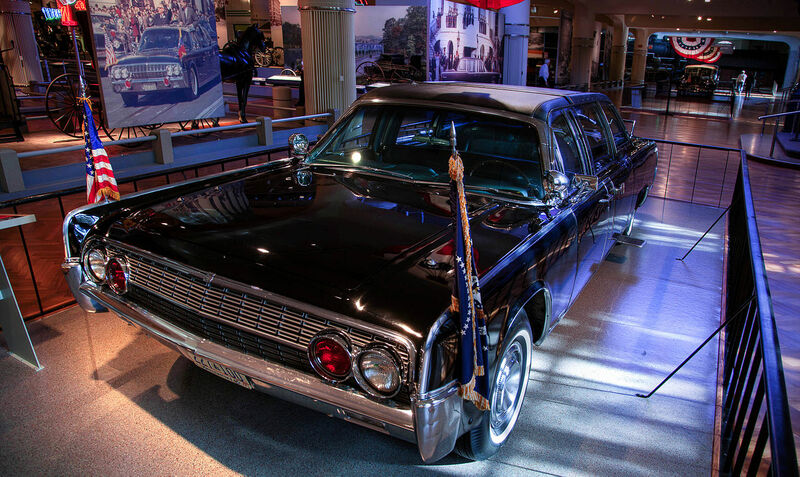 Constructed by Lehman-Peterson of Chicago, this vehicle also had an added sunroof so that Nixon could stand upright when appearing before parade-goers if desired. 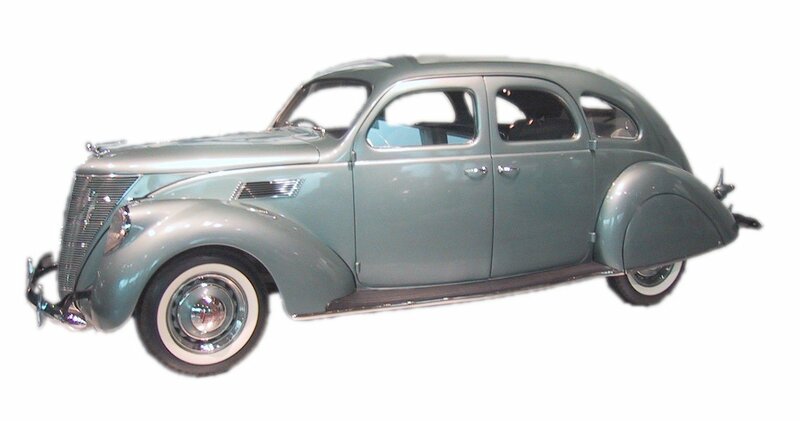 This vehicle was equipped with several features, such as retractable hand grips and running boards, options later copied by Hess and Eisenhart. 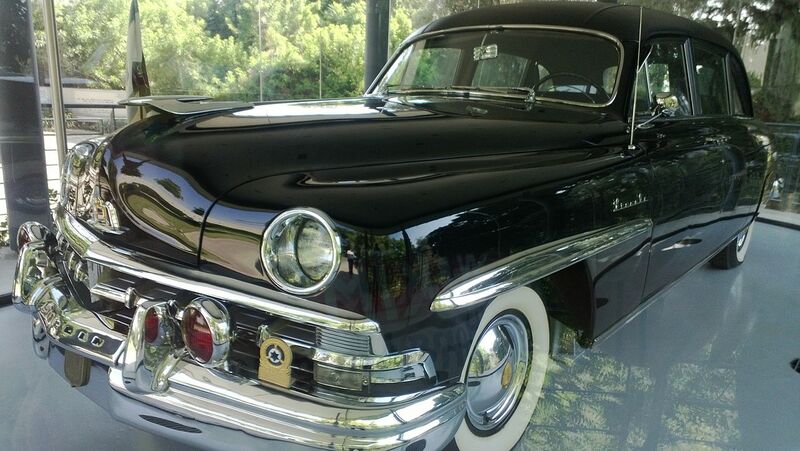 This car is now located at the Nixon Library in Yorba Linda, California. 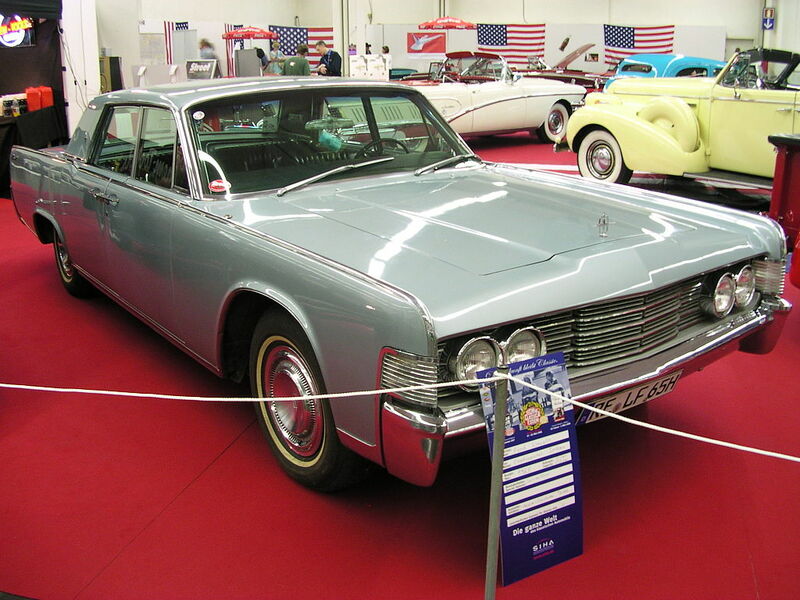 The 1969 Continental would be replaced as the front-line state car in 1974 when Ford supplied a 1972 Continental model which was stretched to 22 feet (7 m), outfitted with armor plating and bullet-resistant glass and powered by a 460 cu in (7.5 L) V8 engine. While intended for Nixon, it was instead used by his successor, Gerald Ford, following Nixon’s resignation. 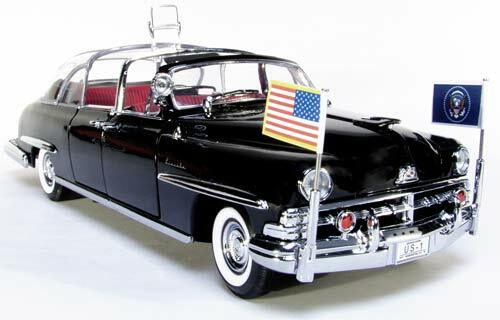 It was later used by Jimmy Carter and Ronald Reagan, until it was replaced by a Cadillac Brougham in 1983. 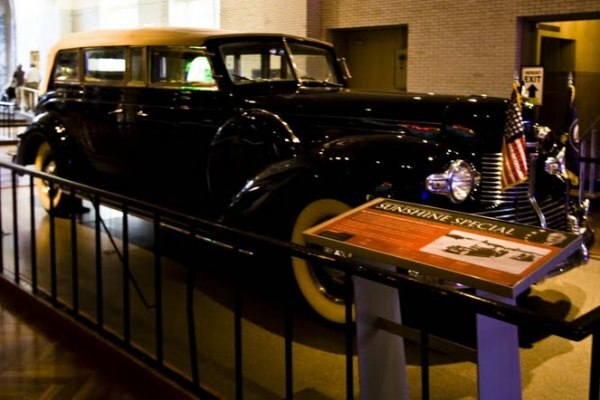 Like the SS-100-X, this state vehicle has lasting notoriety due to its presence at two assassination attempts against Presidents; it was used for a quick getaway by Gerald Ford following Sara Jane Moore‘s assassination attempt against him in 1975, and most notably, at John Hinckley, Jr.‘s assassination attempt against Ronald Reagan in 1981. It was the armor plating on the car that wounded Reagan, as no shot directly hit him; the near-fatal shot that struck him had originally hit the side of the car and ricocheted off the bulletproof armor. Reagan was quickly plunged into the car, which transported him to George Washington University hospital. 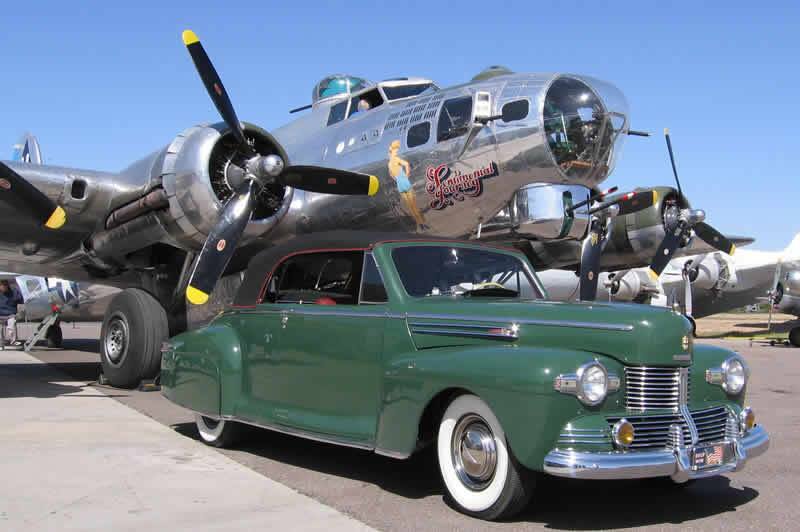 Today, the car is on display at the Henry Ford Museum alongside the Sunshine Special and SS-100-X. 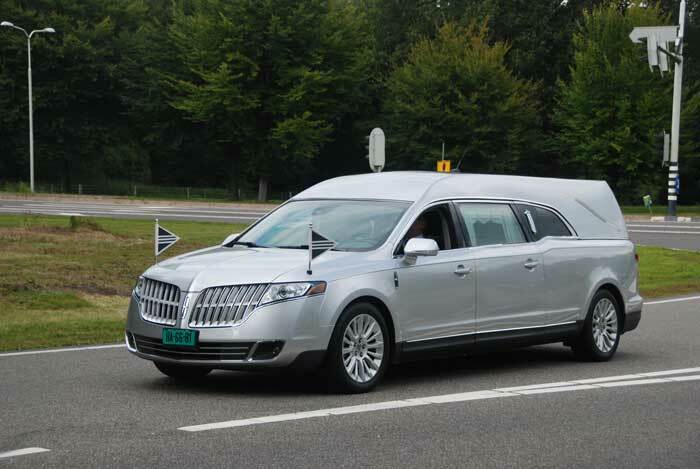 The last Lincoln (as of 2013) to be used as a Presidential state car was a 1989 Lincoln Town Car commissioned for George H. W. Bush. To compensate for the thick armor plating and bulletproof glass, the height of the roof was raised several inches. To compensate for the added weight, the chassis was fitted with a 460 cu in (7.5 L) EFI V8 coupled to a E4OD 4-speed automatic transmission; the powertrain was sourced from a Ford F-250 three-quarter ton pickup. 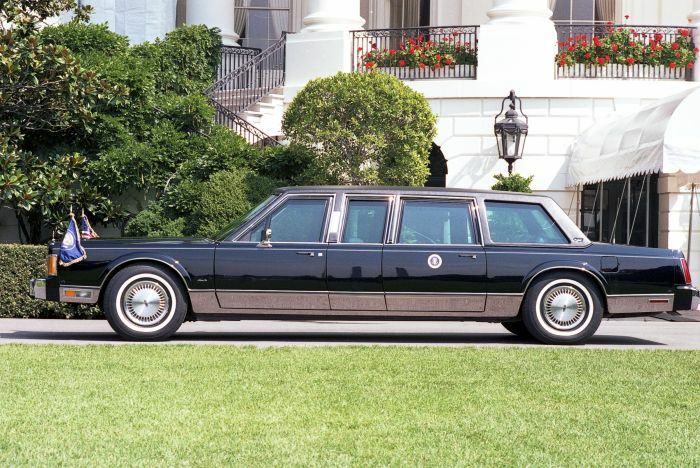 Upon its retirement when Bush left office in 1993, the 1989 Town Car became the last Lincoln vehicle to be used in the Presidential fleet. Today it is on display at the George Bush Presidential Library. 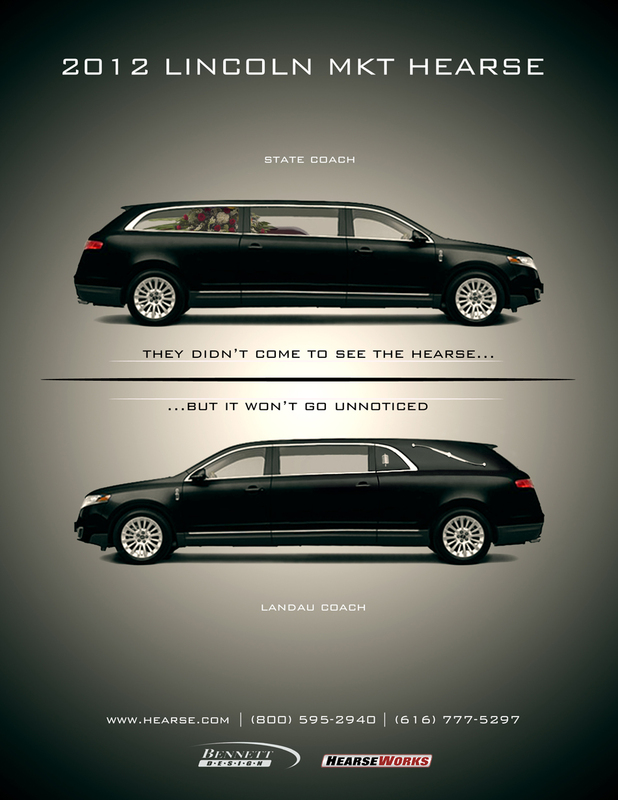 Subsequent Presidents Bill Clinton and George W. Bush along with current President Barack Obama have used custom-built Cadillac vehicles as their state cars.